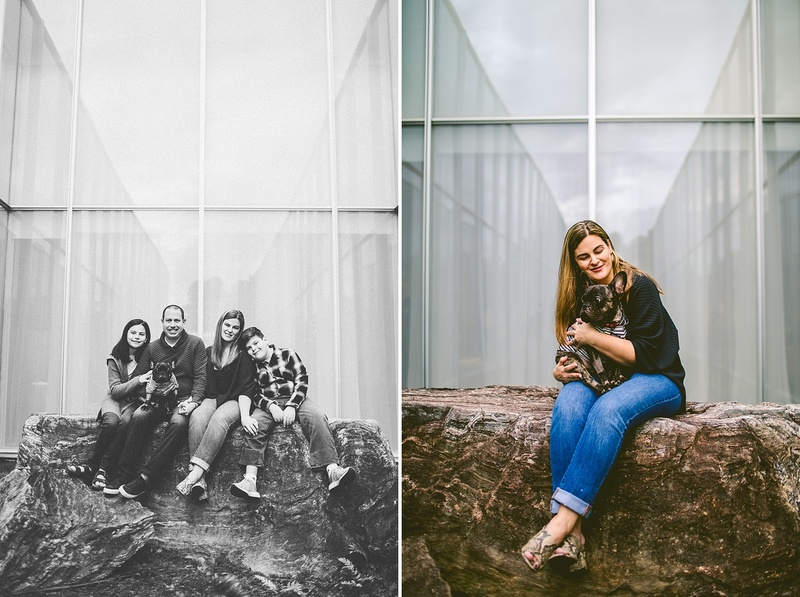 Ya’ll know these guys so they don’t really need any introduction, but we will say that meet a lot of people on this job, but Jo, Brad, Laurel, and Sam are some of our favorites. 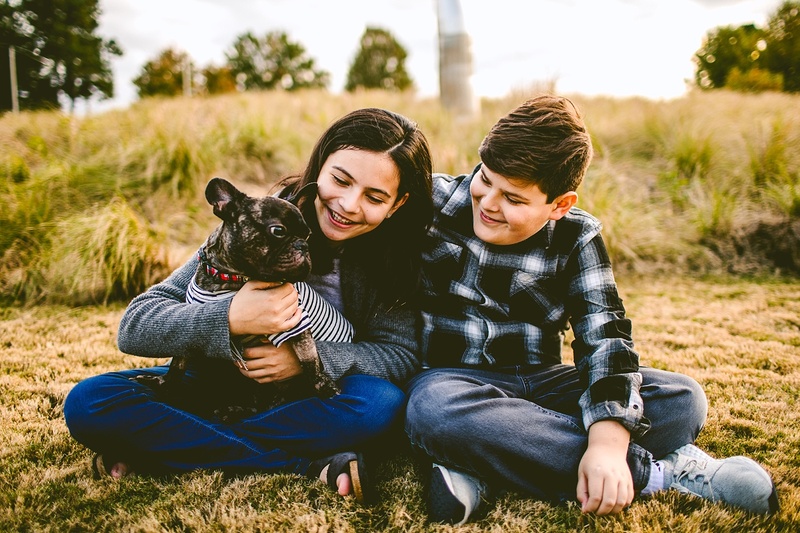 They’ve kept in touch with us and invite us to their lake house and cook us dinner and let us play with their french bulldog and send us text messages when Carrie Fisher dies. 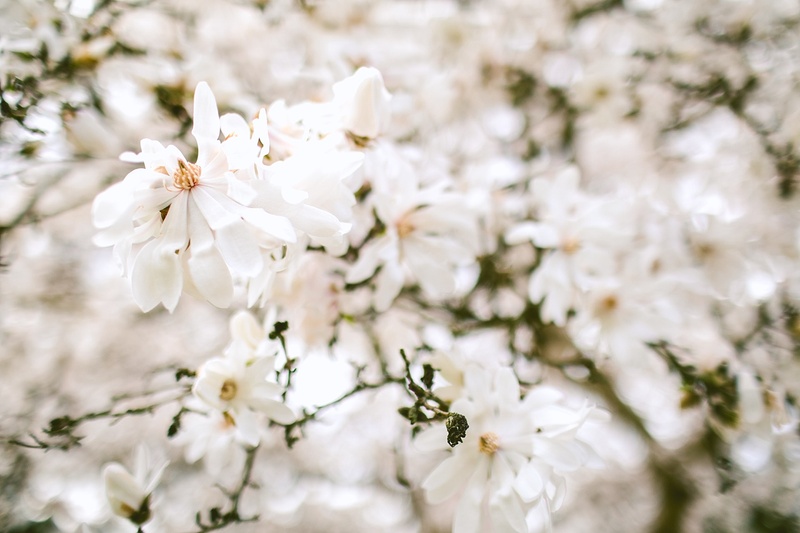 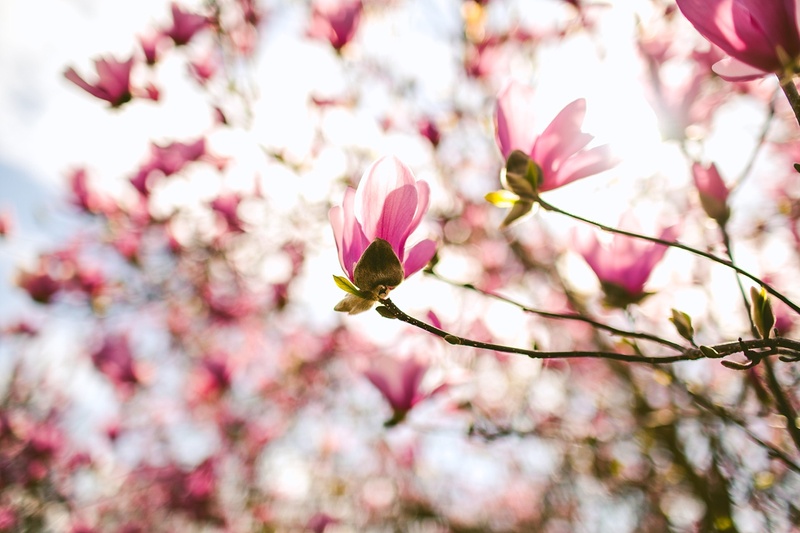 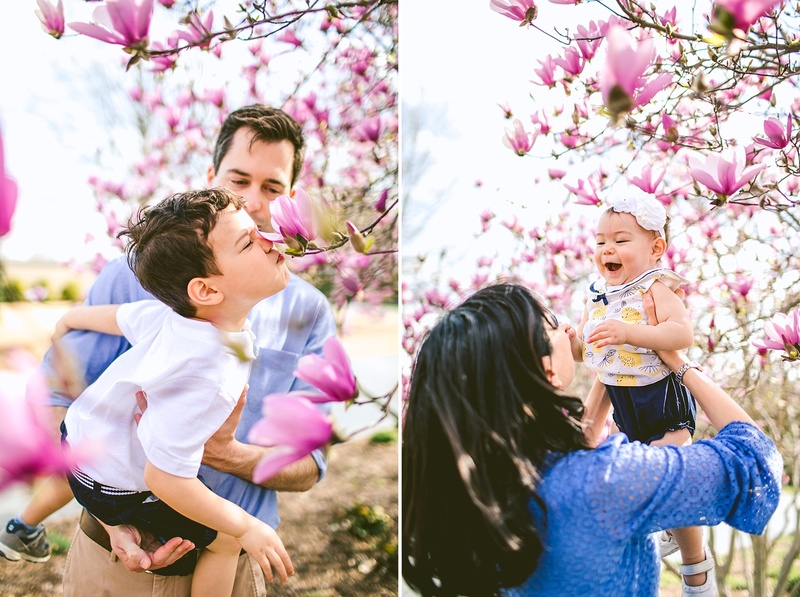 We love them, and they are near and dear to our hearts. 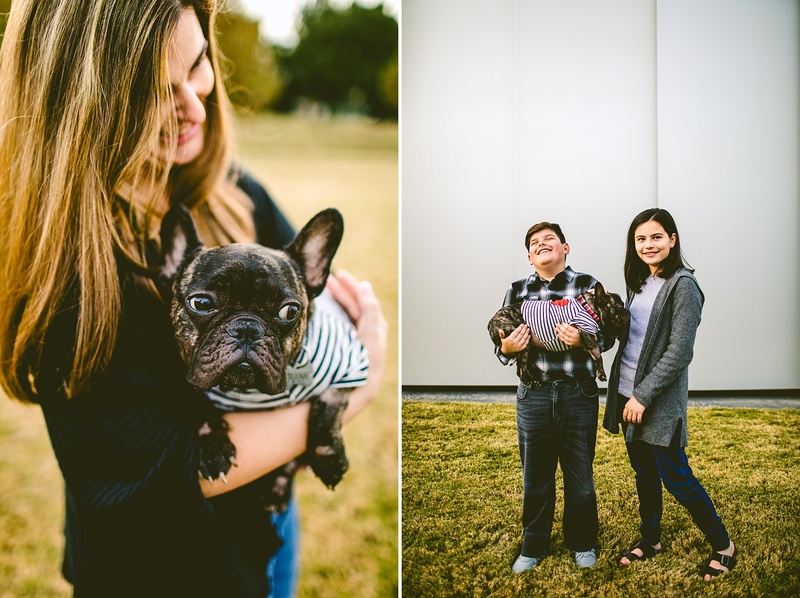 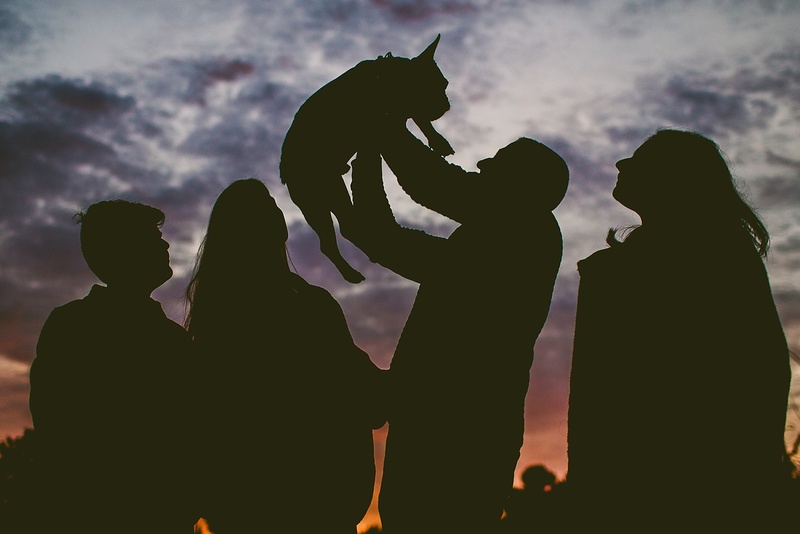 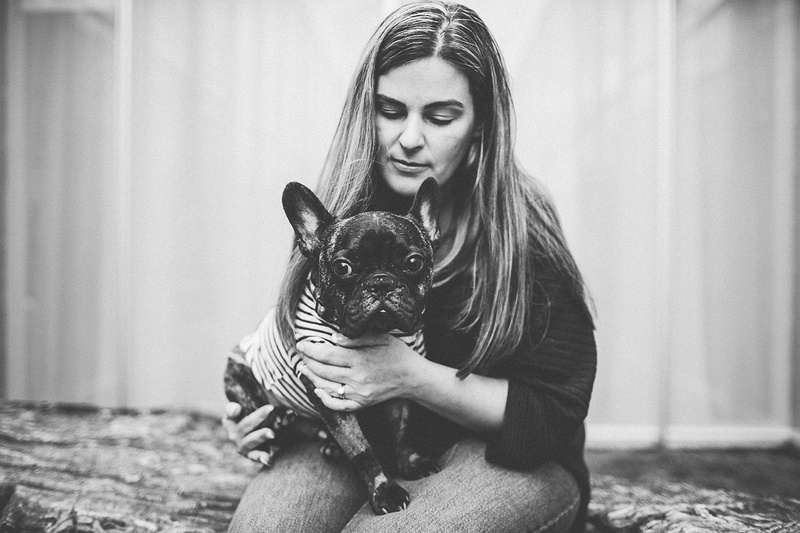 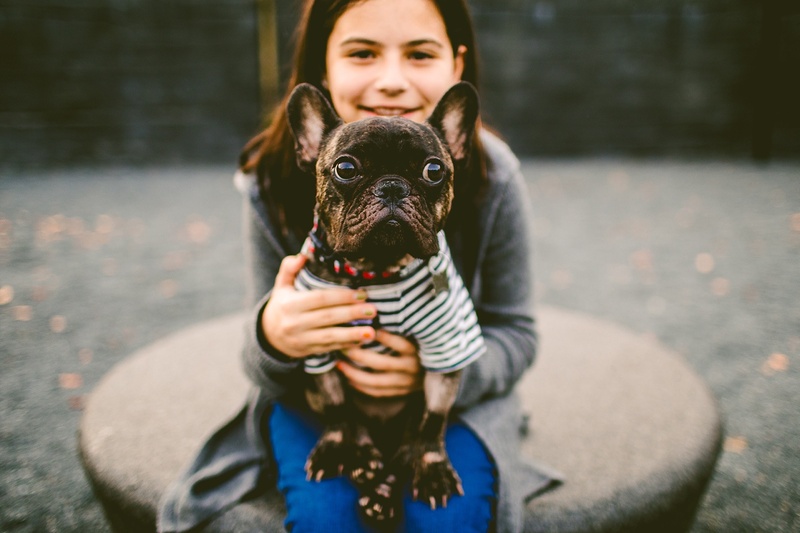 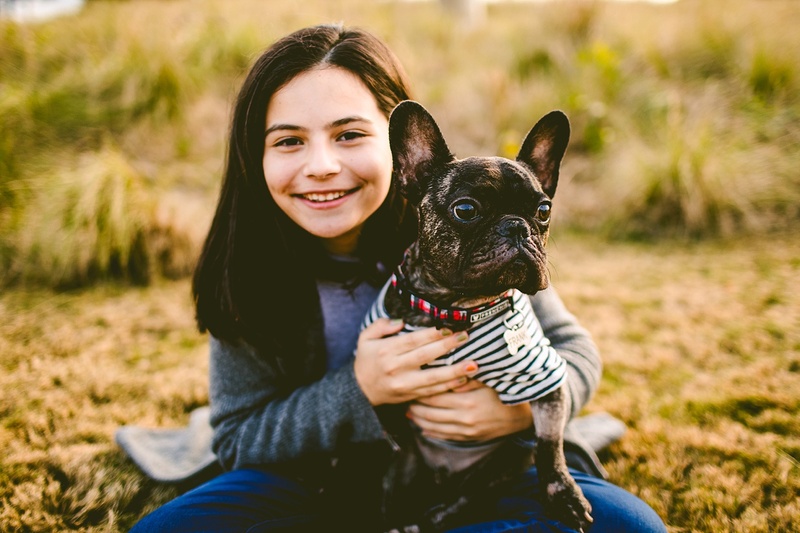 We photographed them last year with Frank, their newly adopted French Bulldog who has become, perhaps, the most babied and spoiled of the family and is possibly the favorite child (I know Laurel and Sam won’t be offended by this statement but will likely agree with me, so I feel like it’s fine to put that out there). 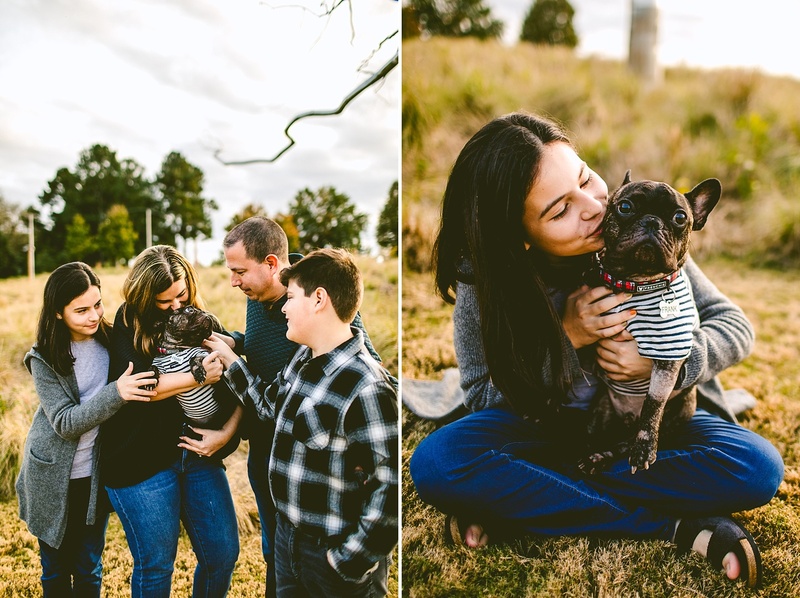 They LOVE him, and how could you not, given that face!? 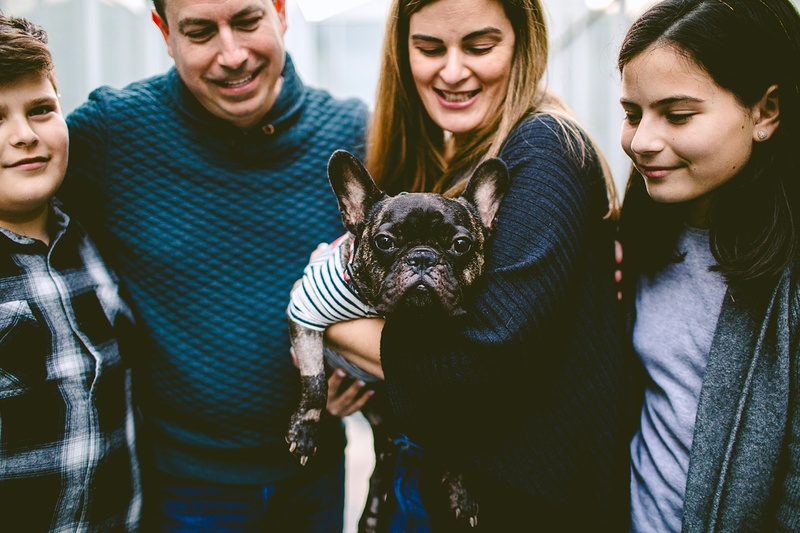 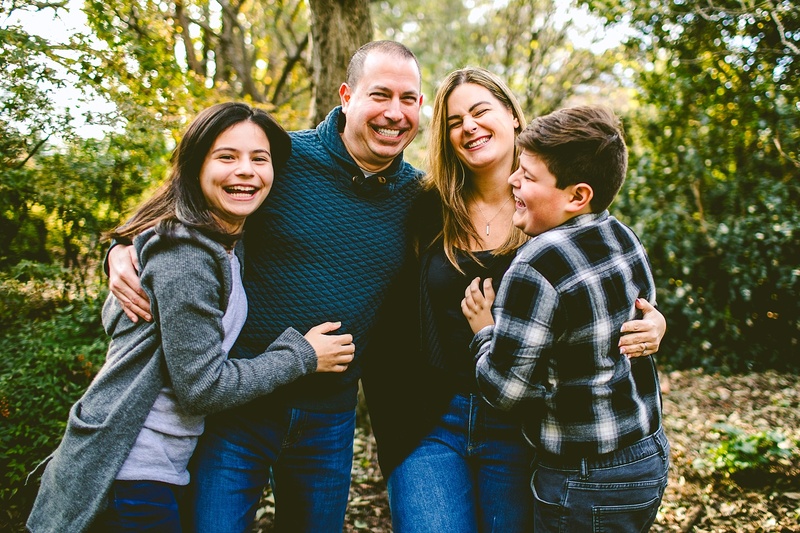 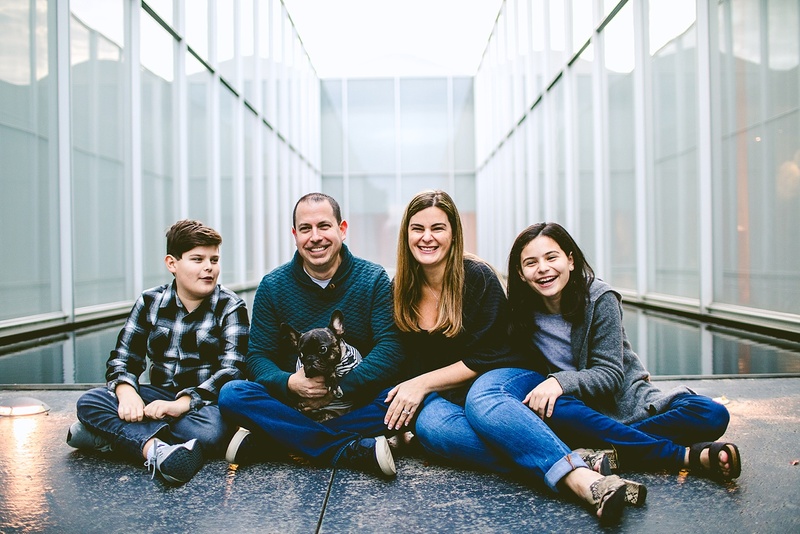 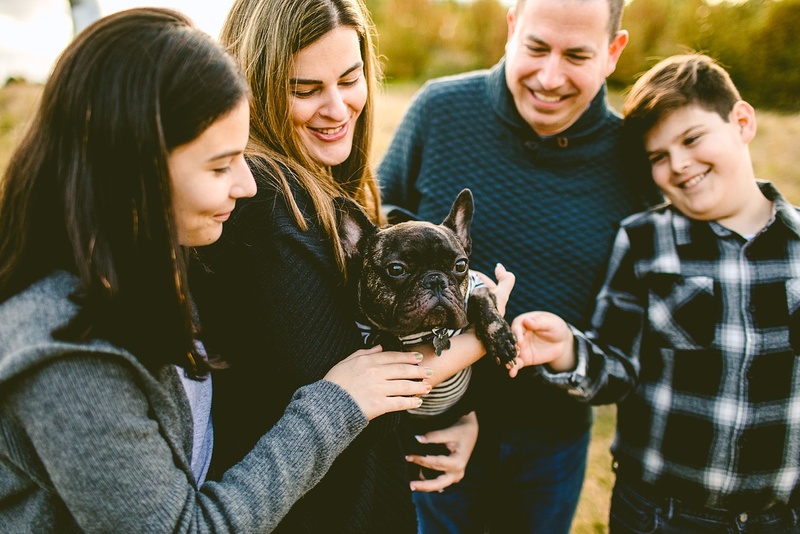 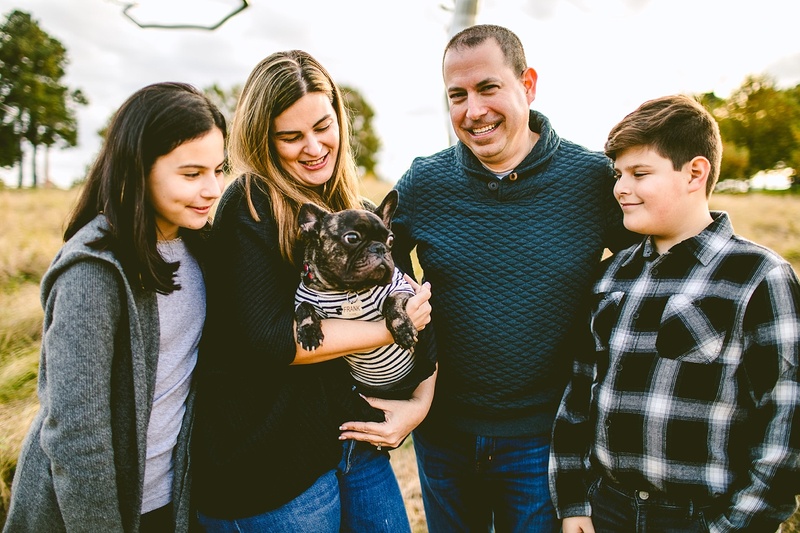 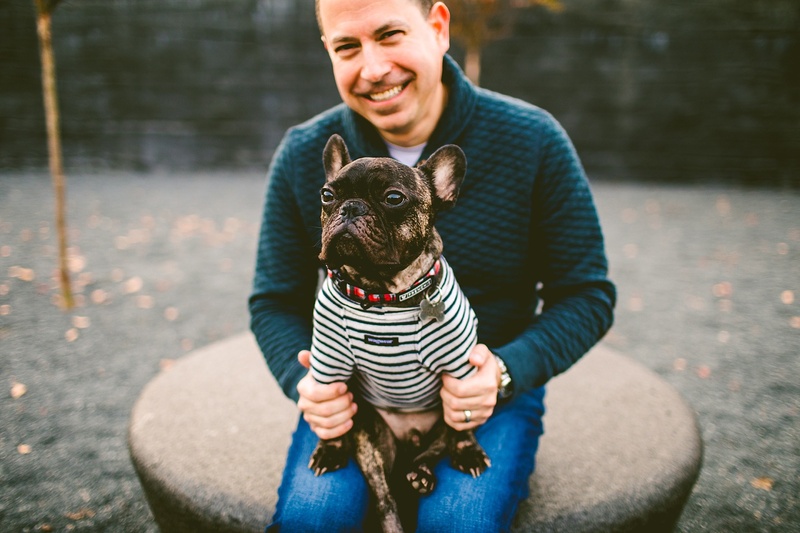 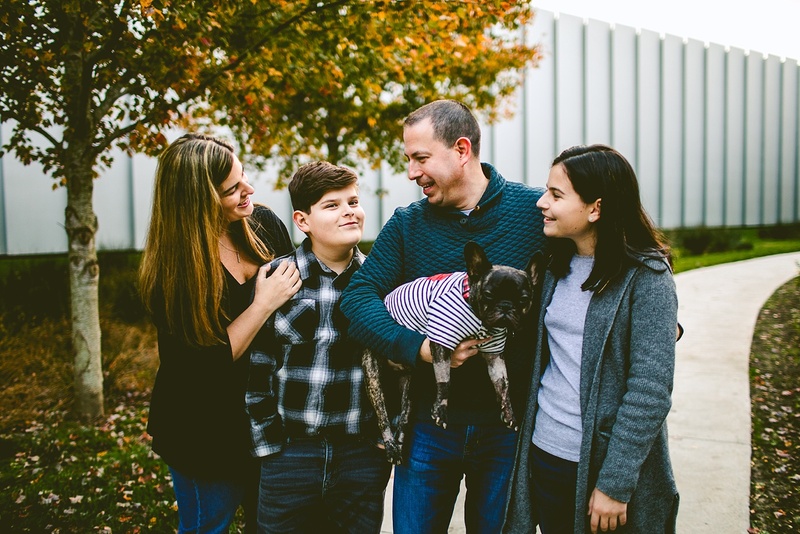 And lucky for Frank, he was adopted into a family who took their adoption of him seriously, and so they are doing everything they can to get Frank back on a path to health and wellness after some pretty devastating news. 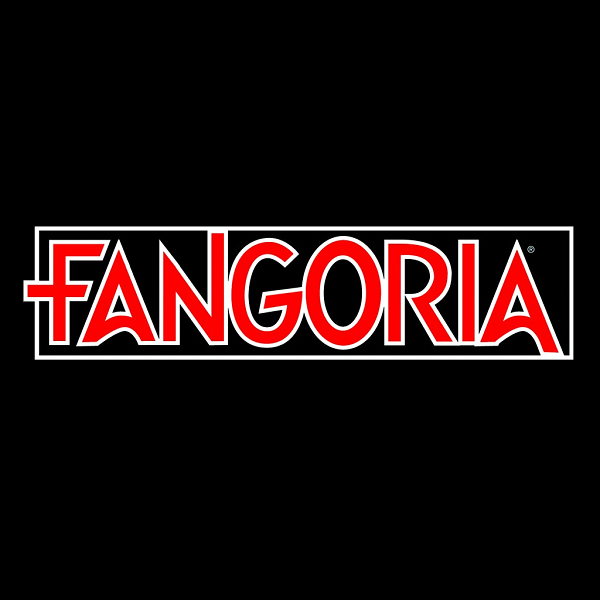 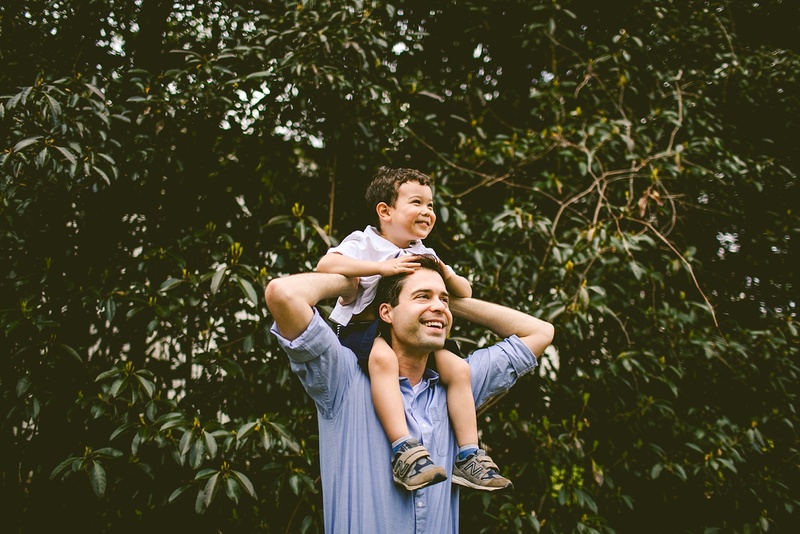 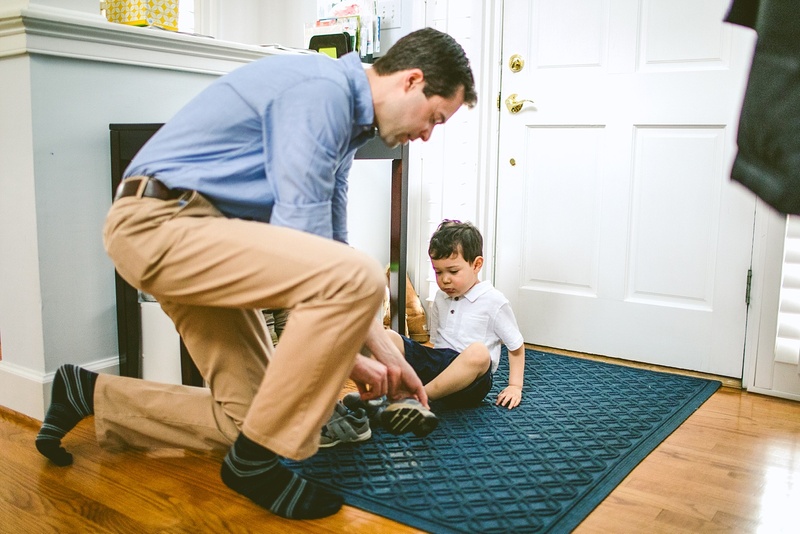 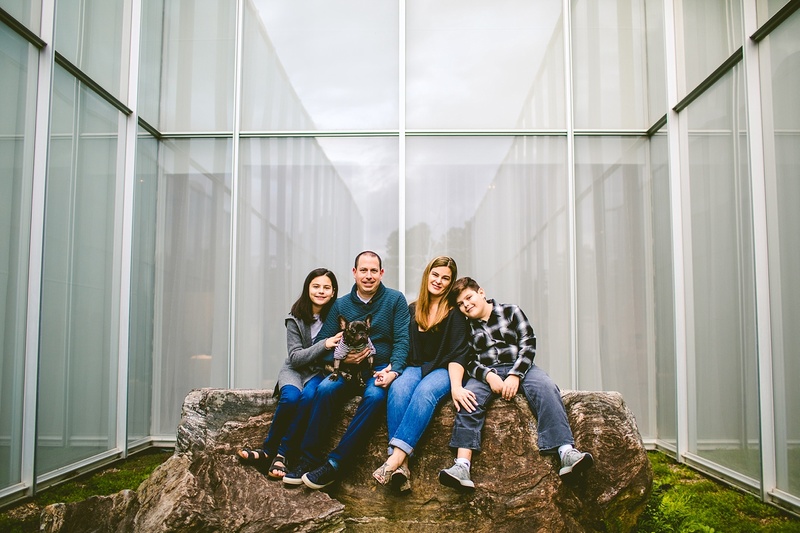 Frank was diagnosed with Granulomatous Meningoencephalitis. 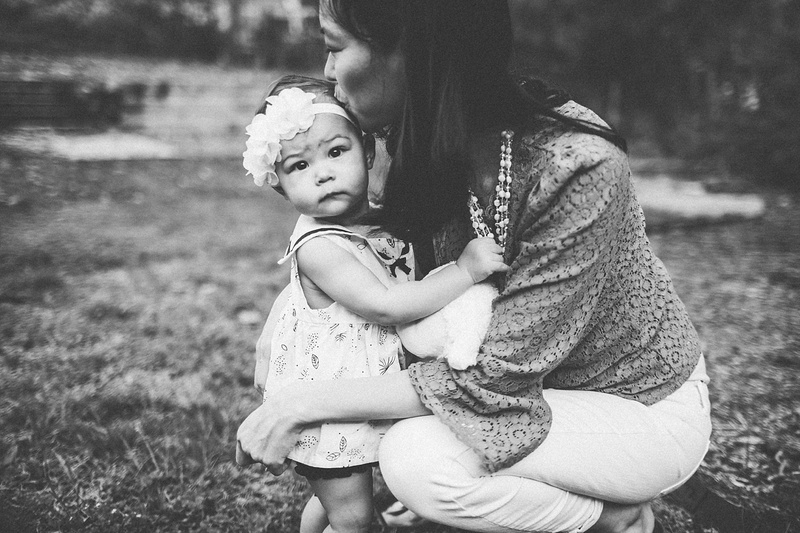 Essentially, it’s an autoimmune disease brought on by a bad reaction to a vaccination. 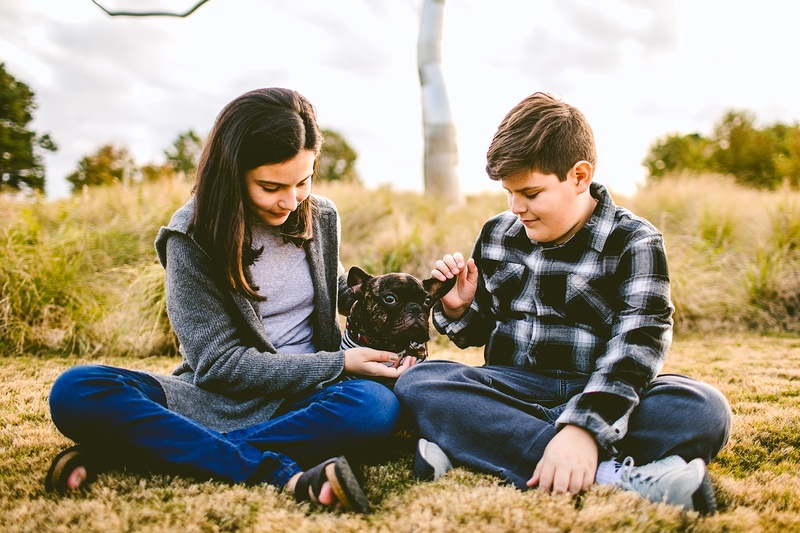 He’s had seizures and pneumonia, as well as other significant reactions to the disease and the drugs used to treat it. 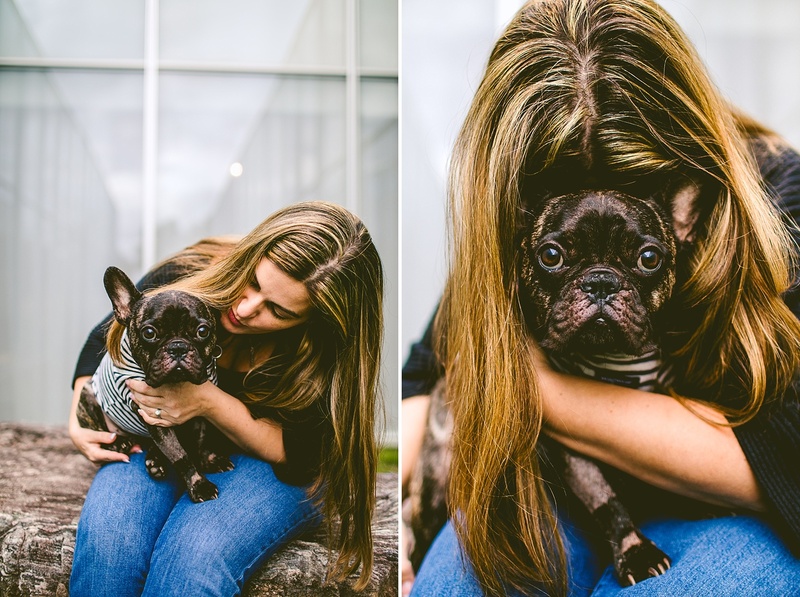 Currently, he is doing quite well on chemo and is a very strong, brave little pup. 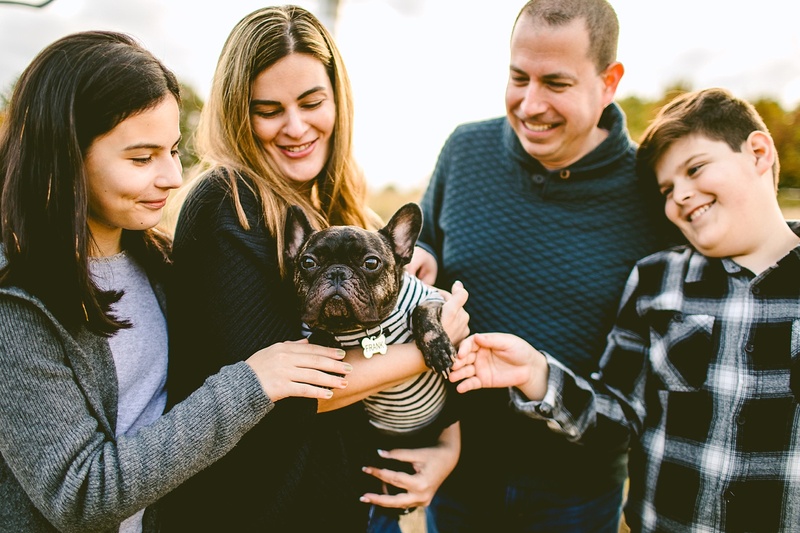 He is on the upswing and his family is taking great care of him in conjuncture with the NC State Veterinary Hospital Neurology Team. 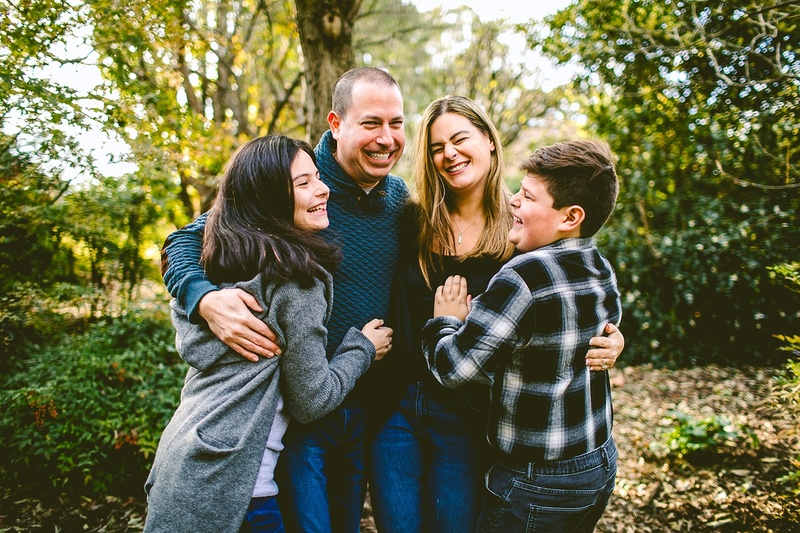 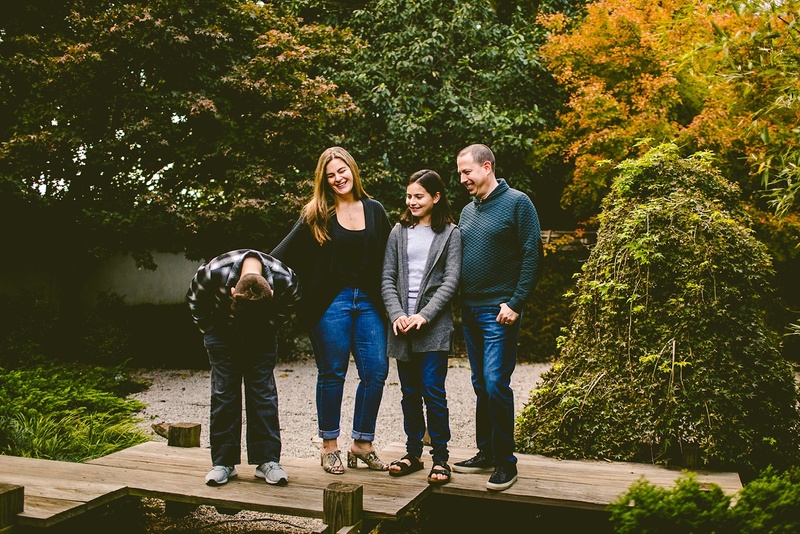 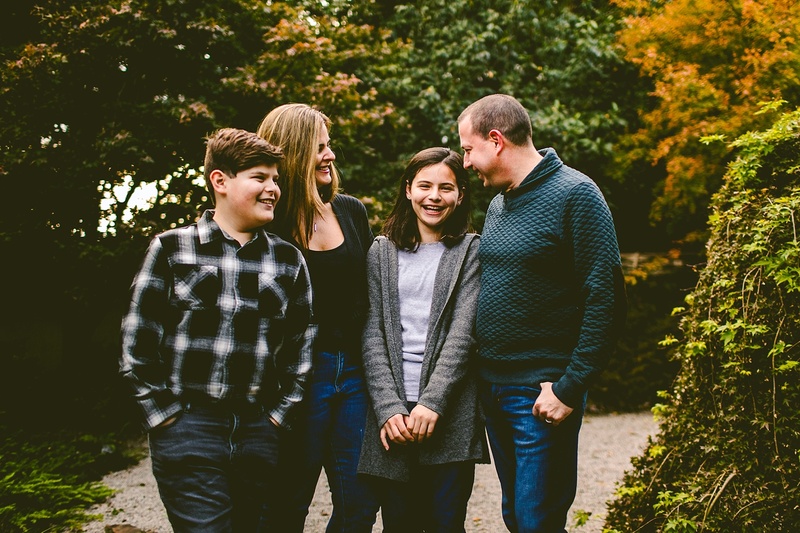 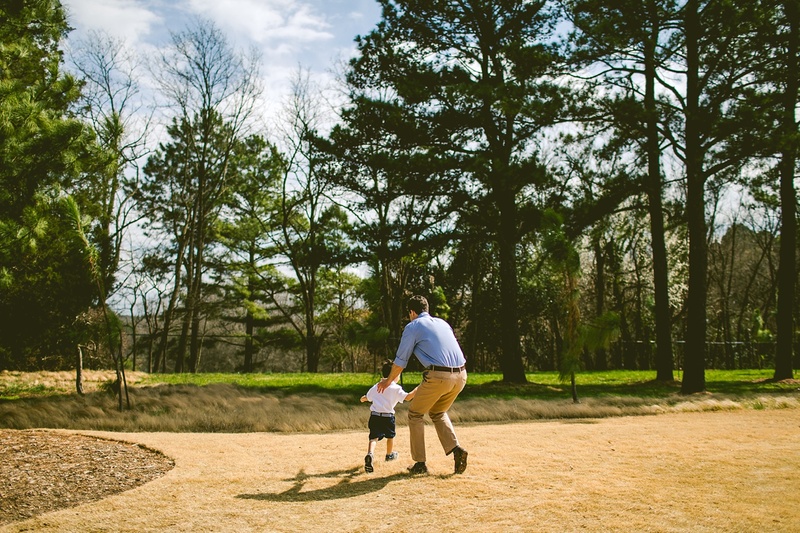 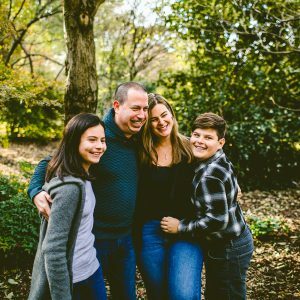 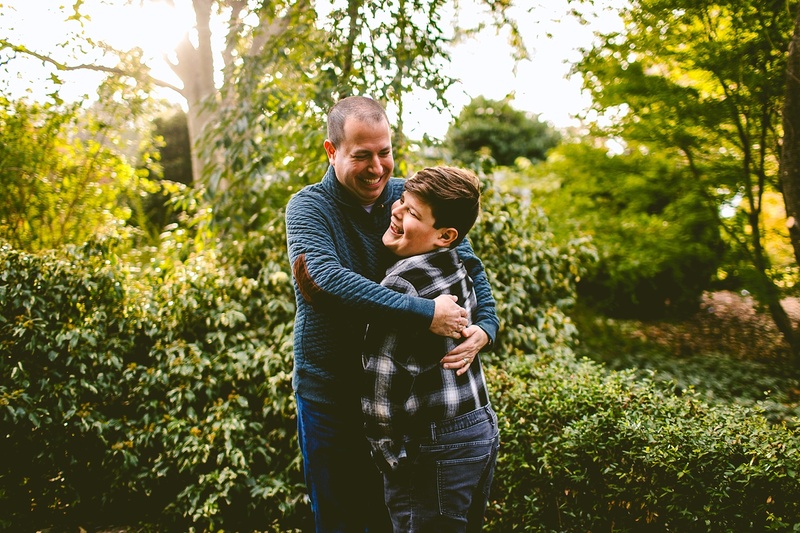 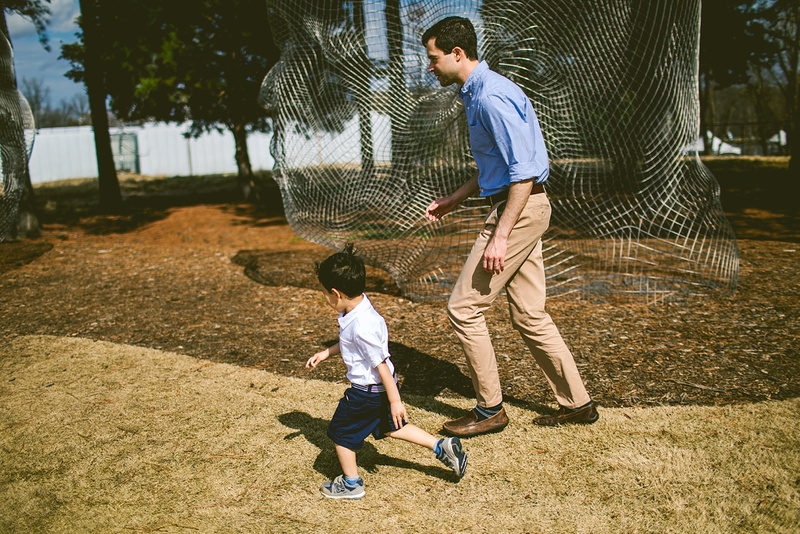 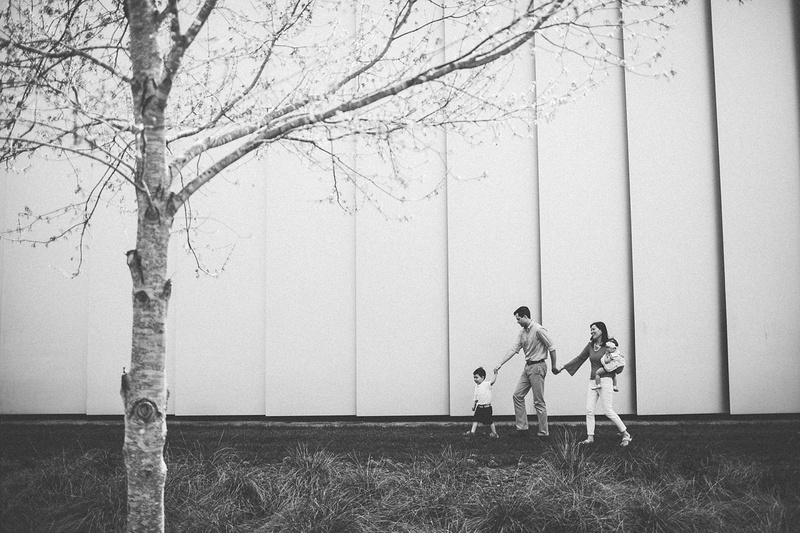 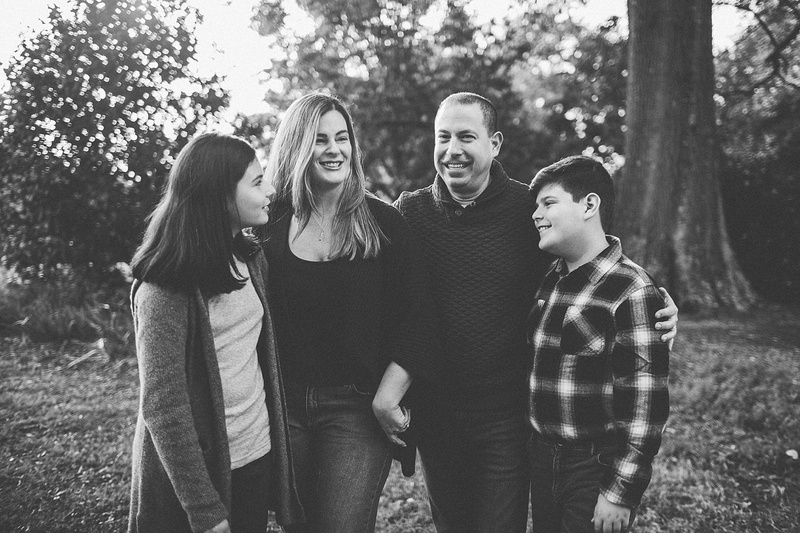 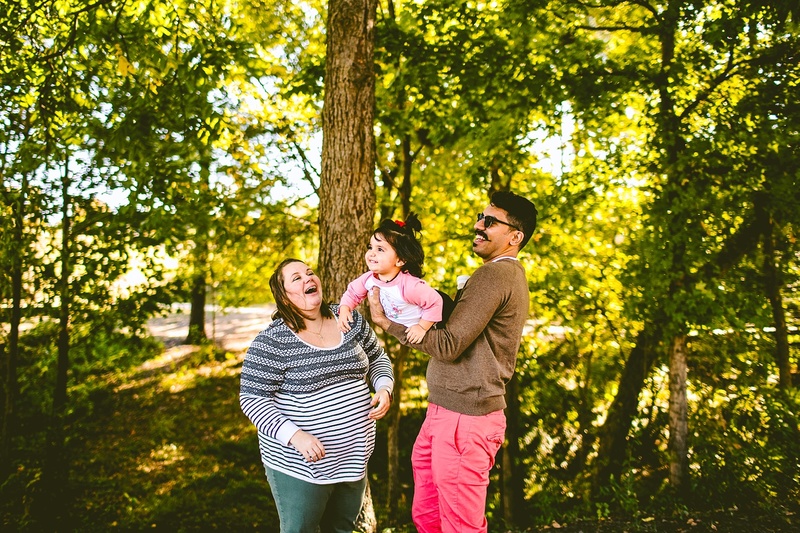 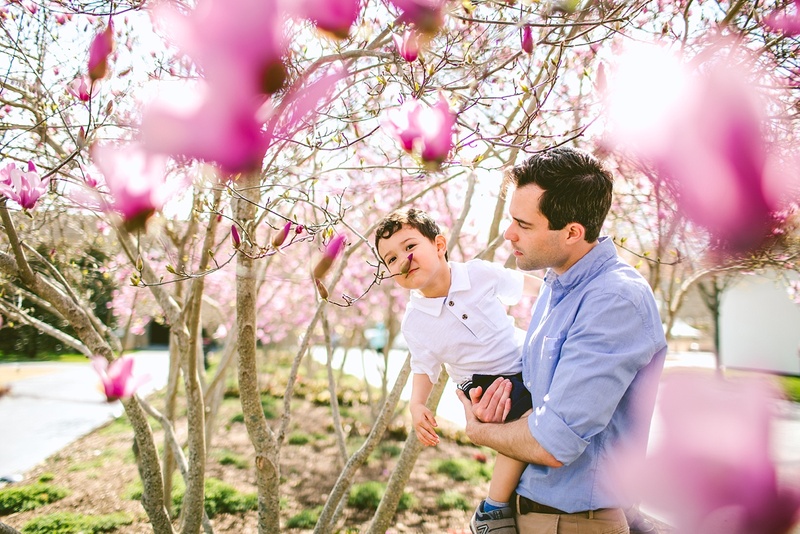 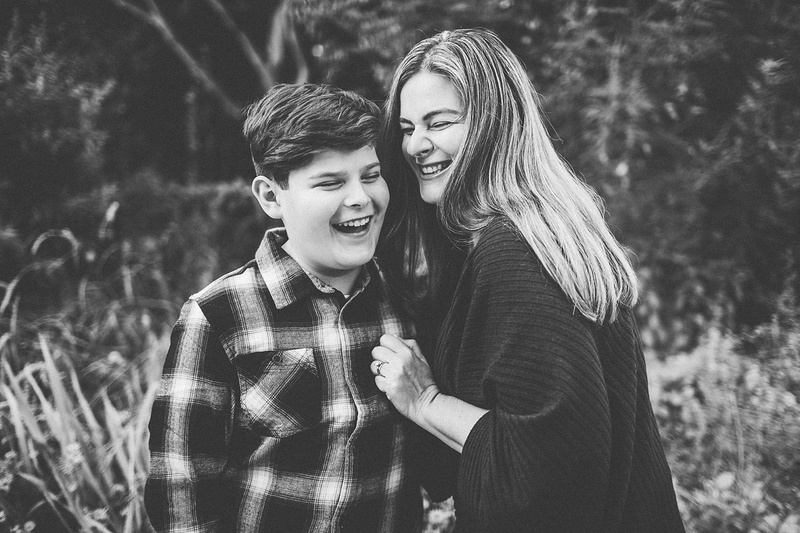 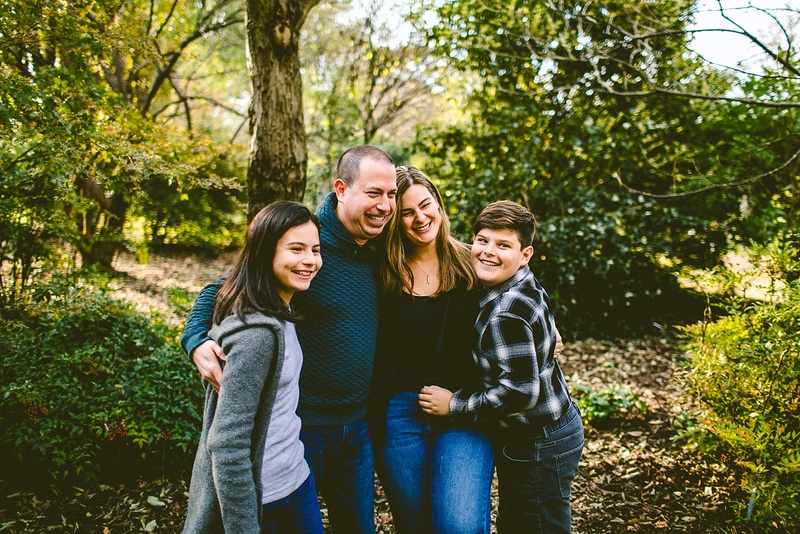 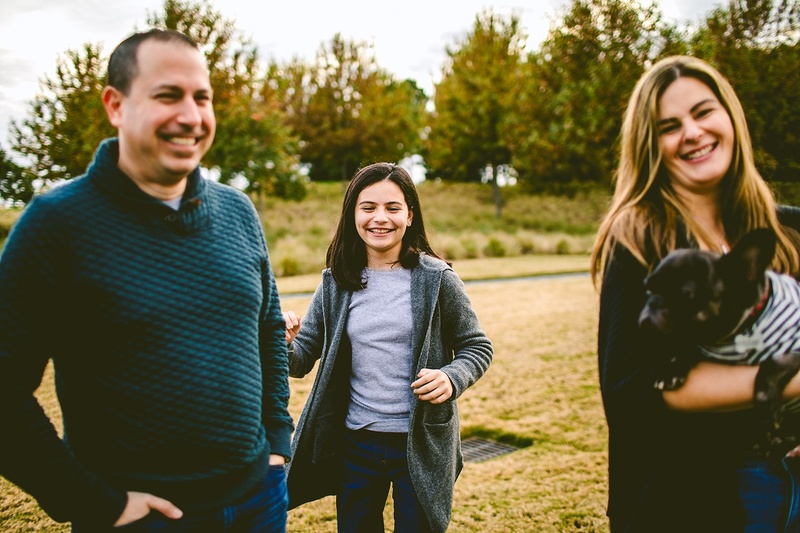 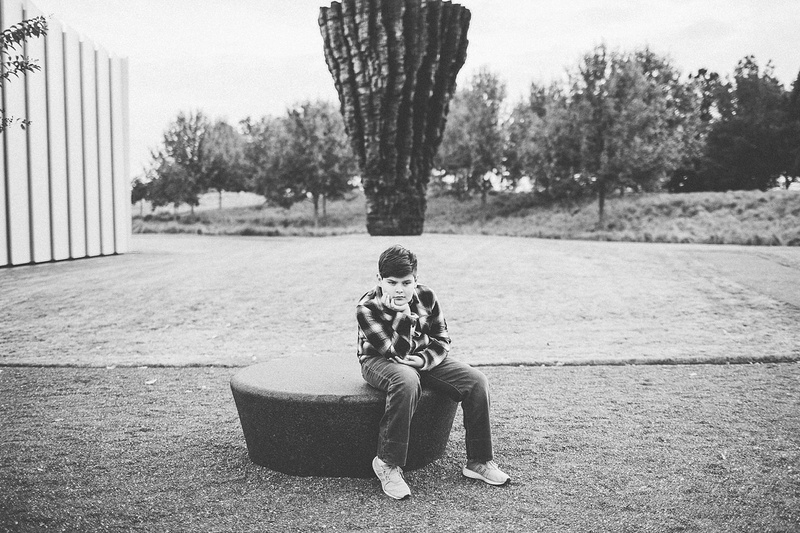 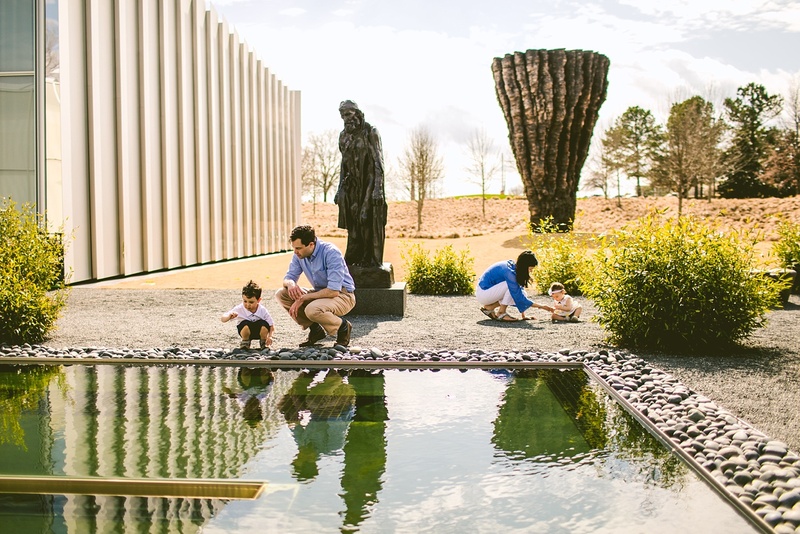 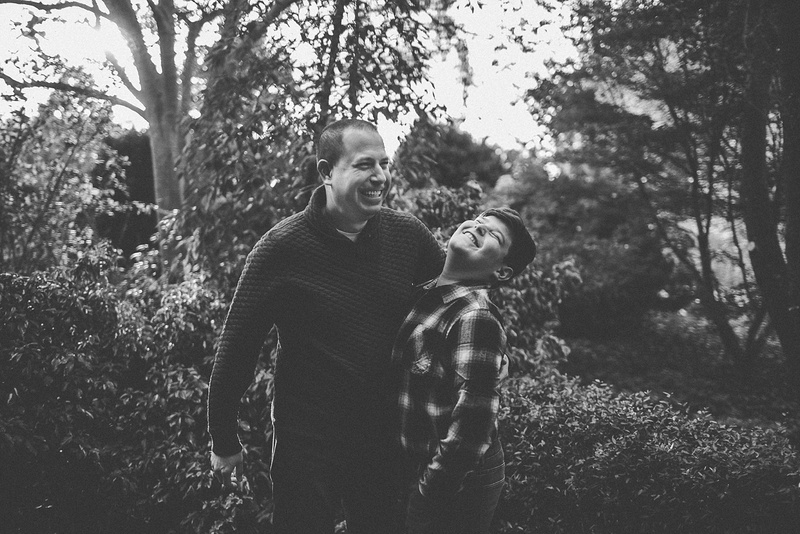 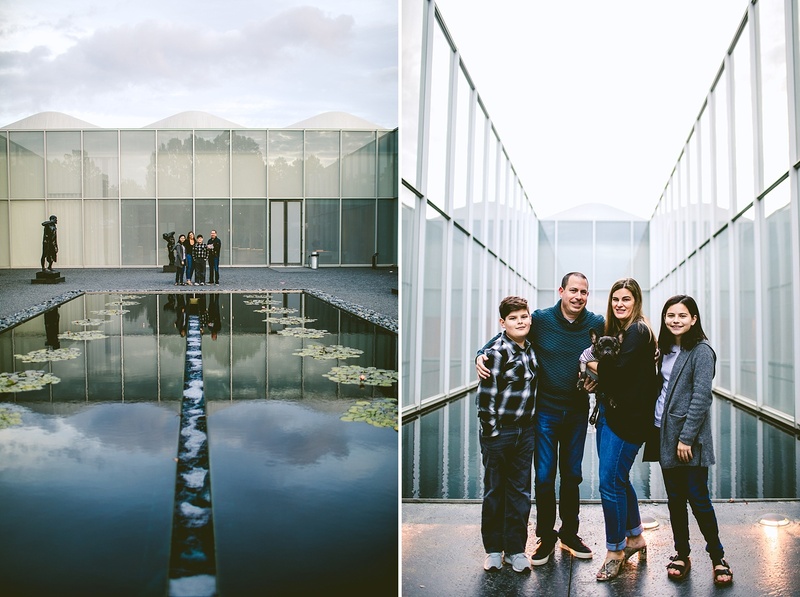 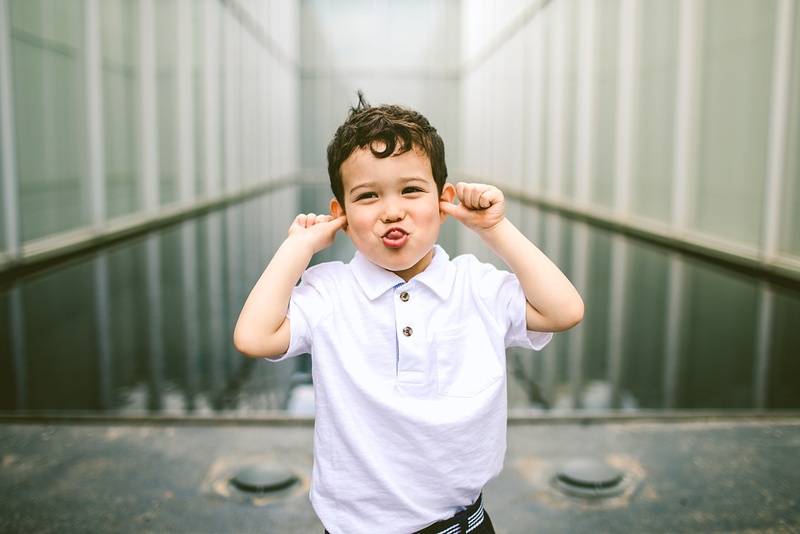 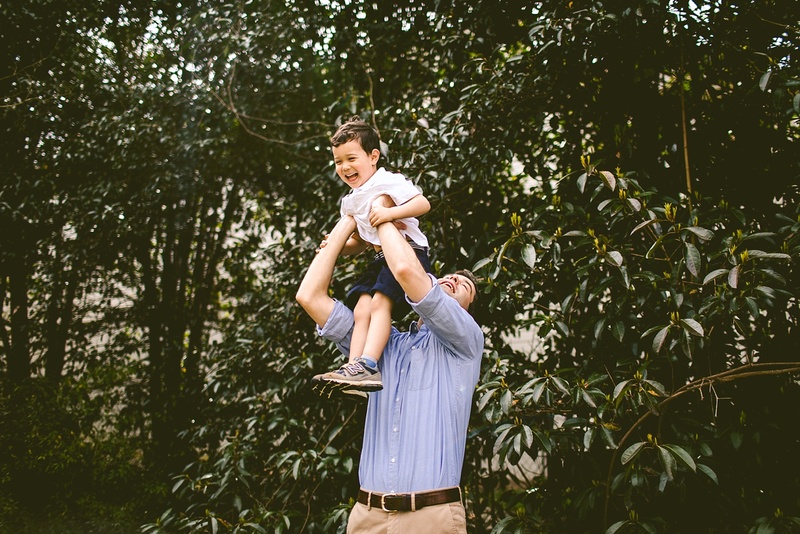 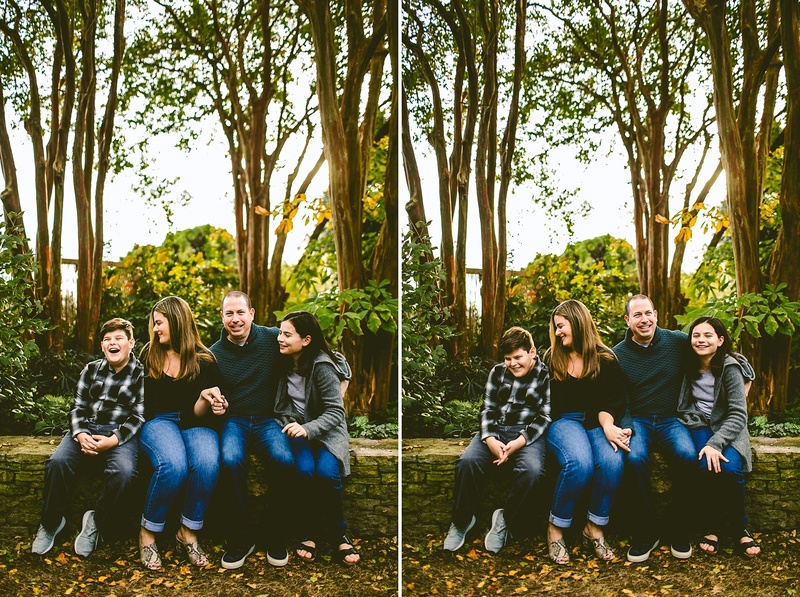 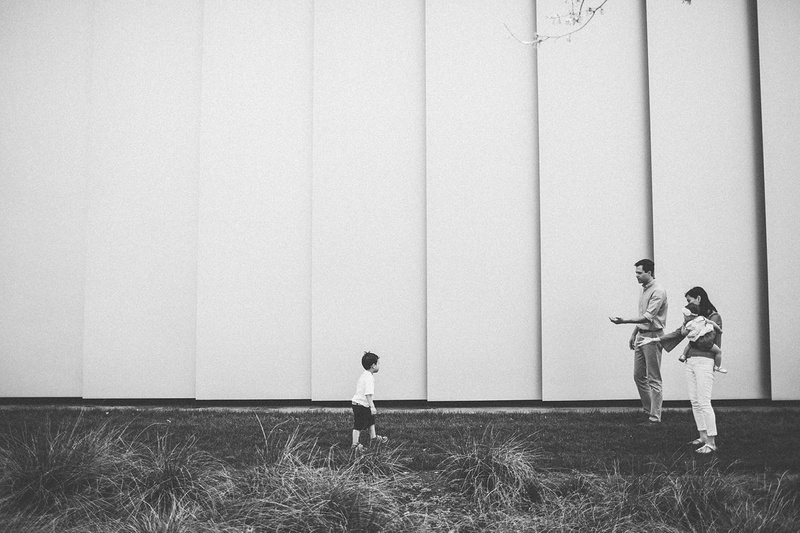 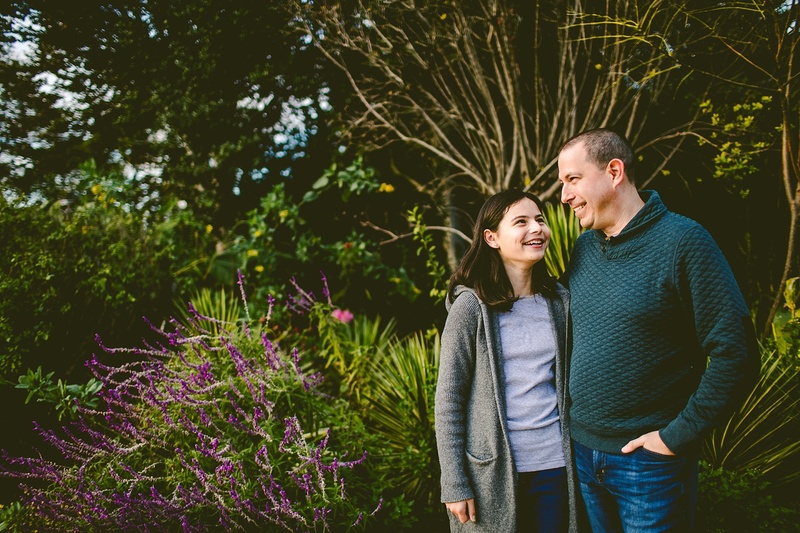 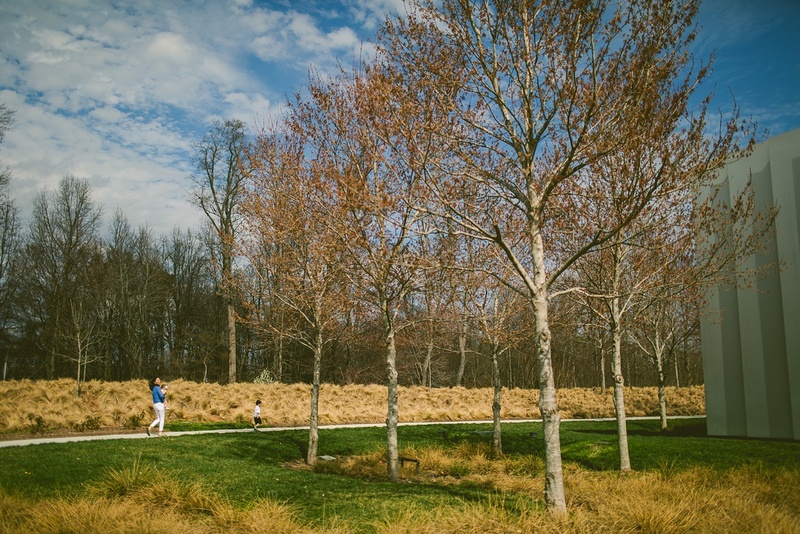 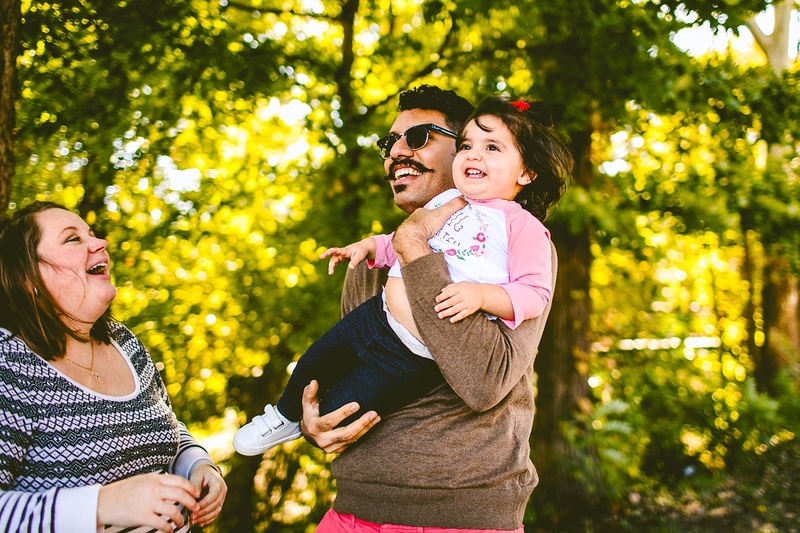 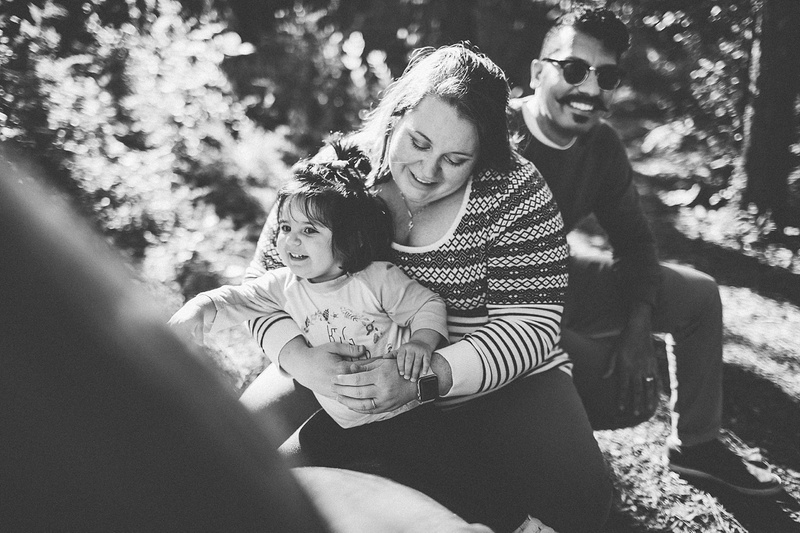 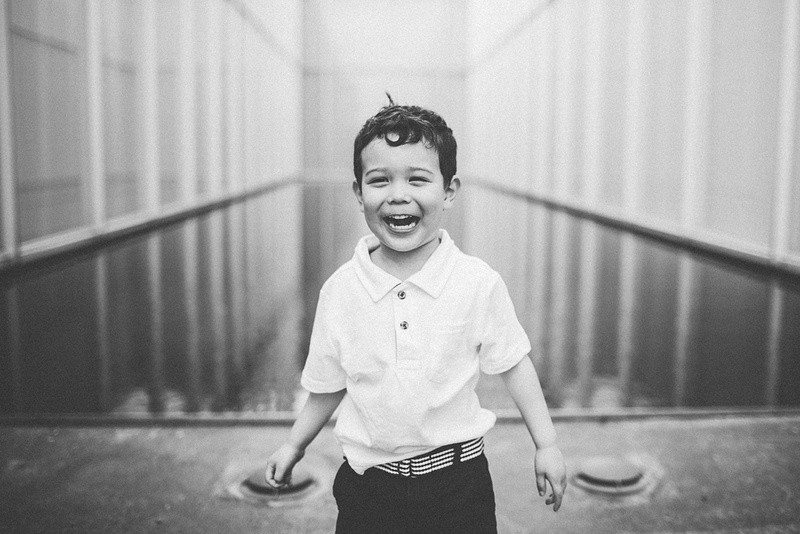 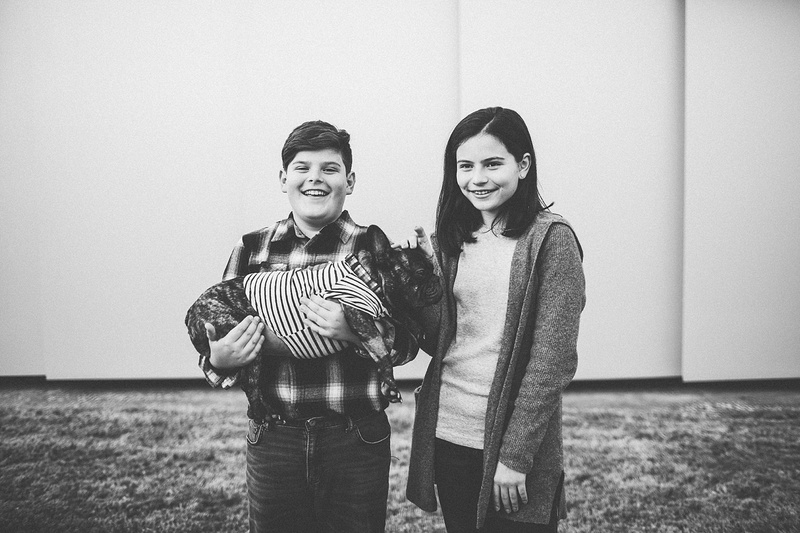 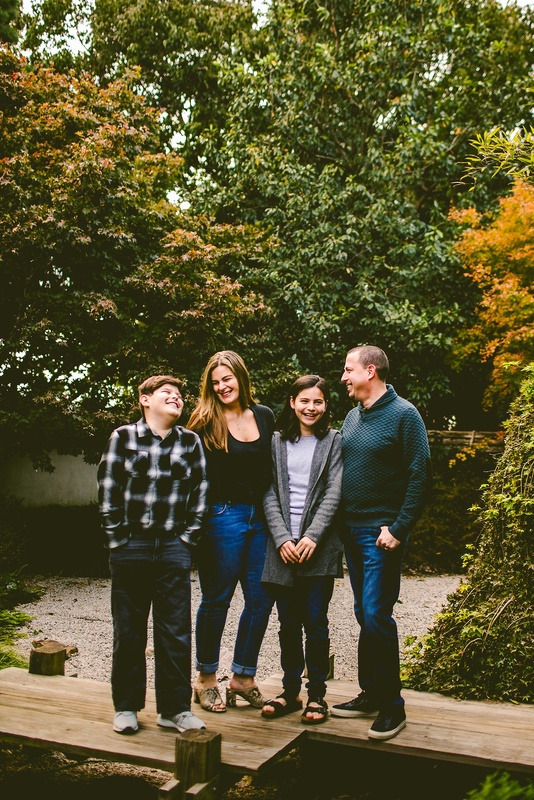 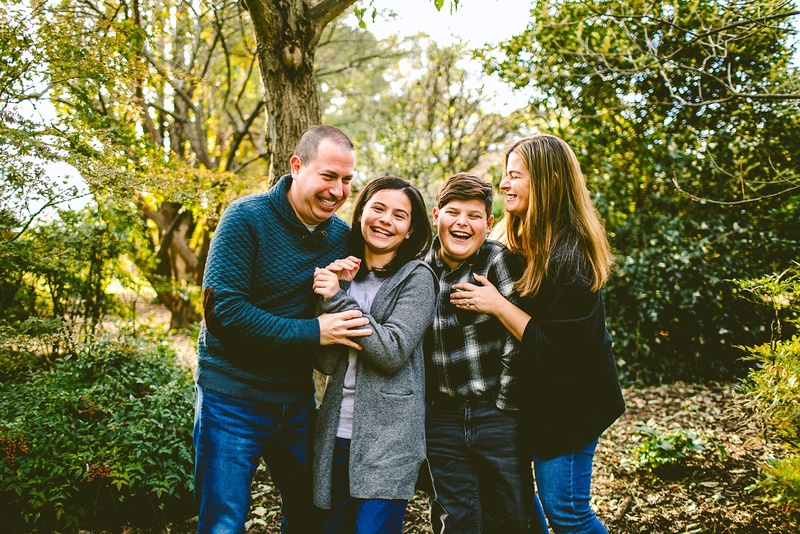 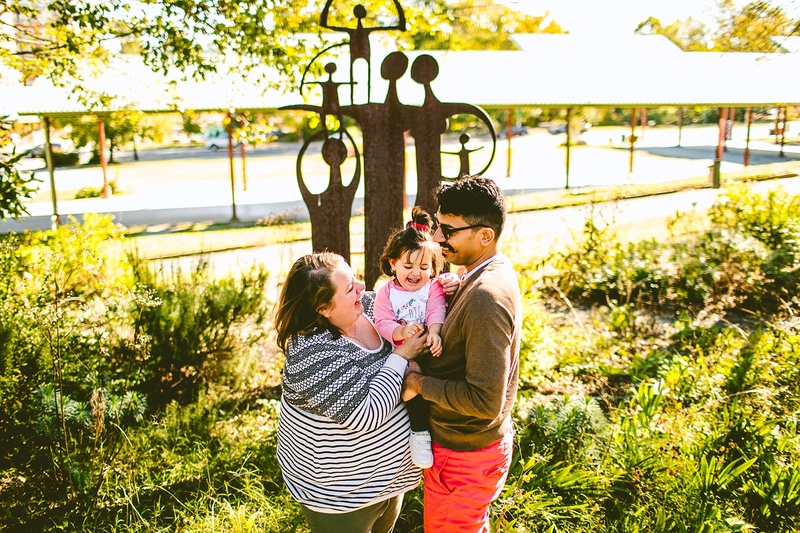 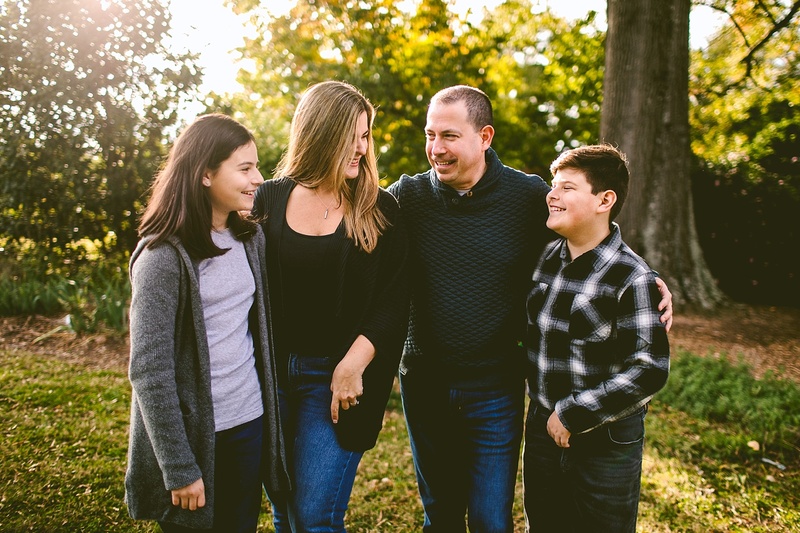 So this year – we did their family pictures at the arboretum, but Frank was recovering at this current juncture from a recent hospital stay, so he was only able to join us for half of the pictures. 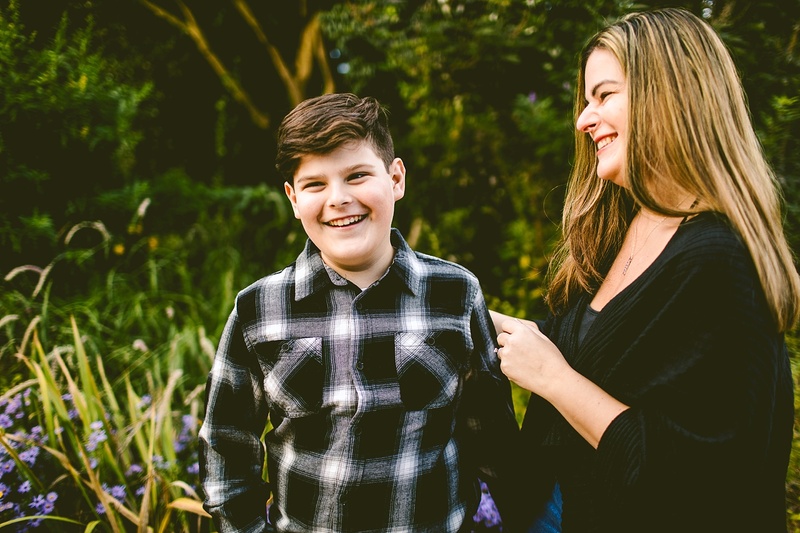 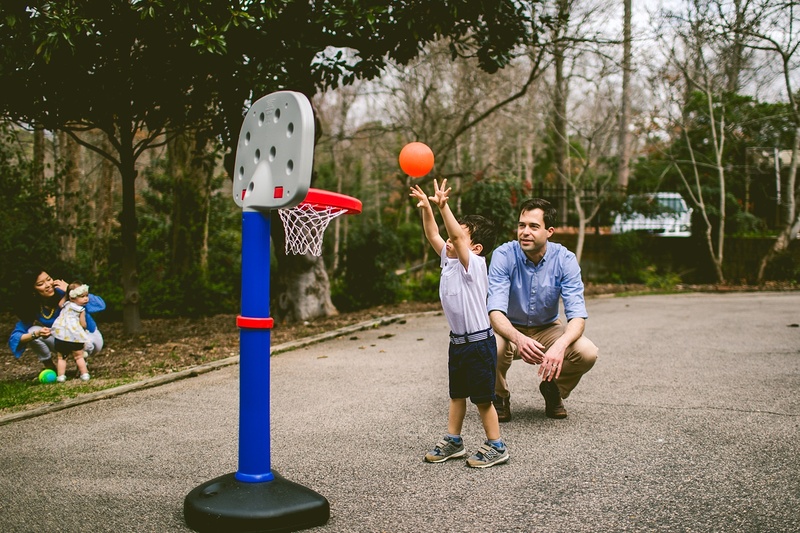 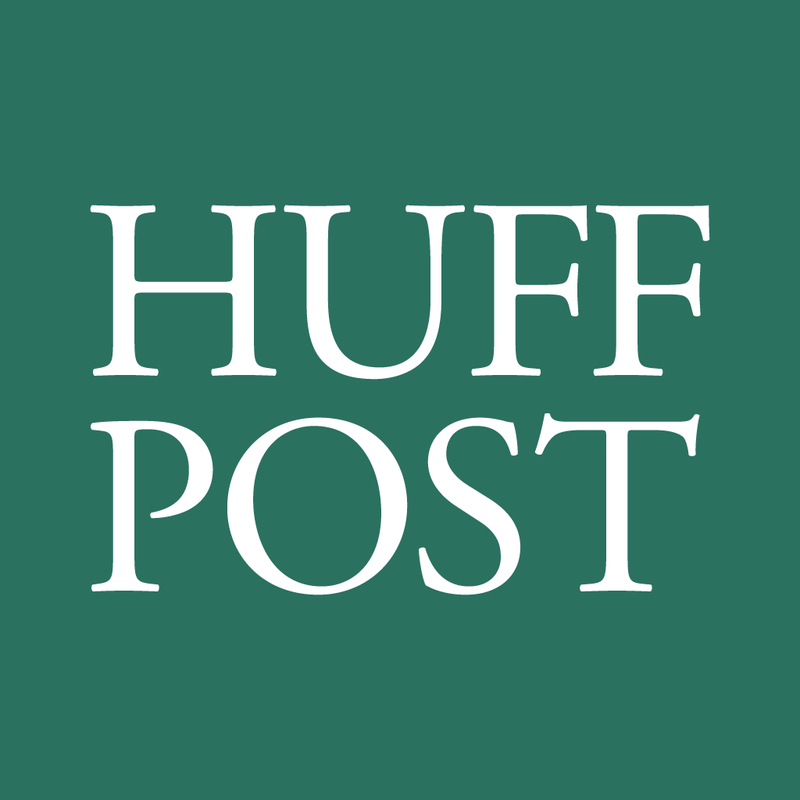 He has since made significant strides and we are so happy for him! 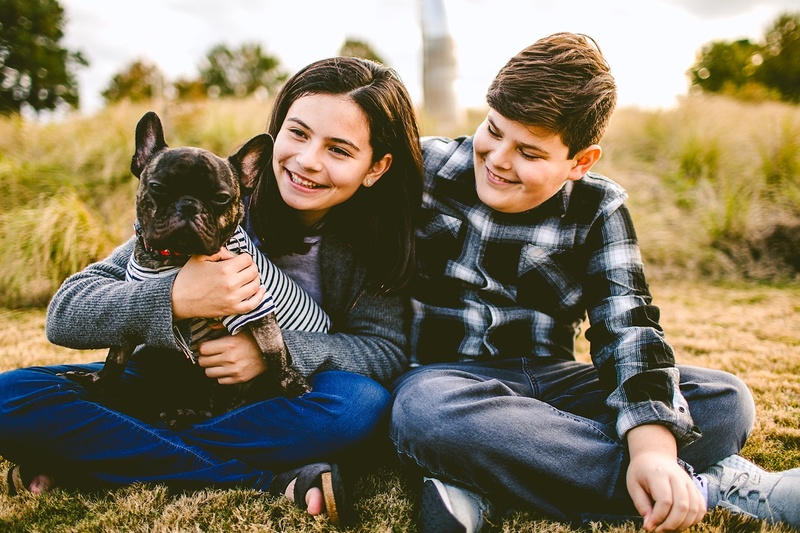 He is still sporting his veterinary hospital haircut in these pictures but also sporting a cool French t-shirt to represent his heritage. 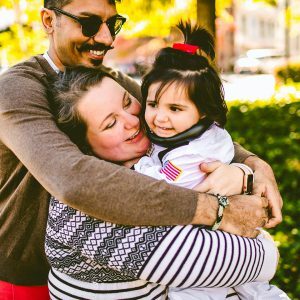 We’re so glad that Frank has this wonderful family in his life, and WE’RE so happy to have this wonderful family in OUR lives. 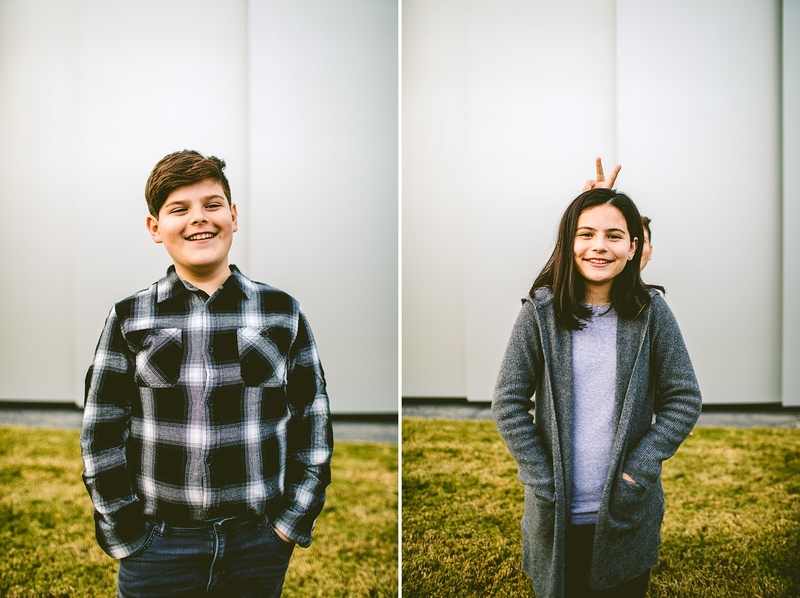 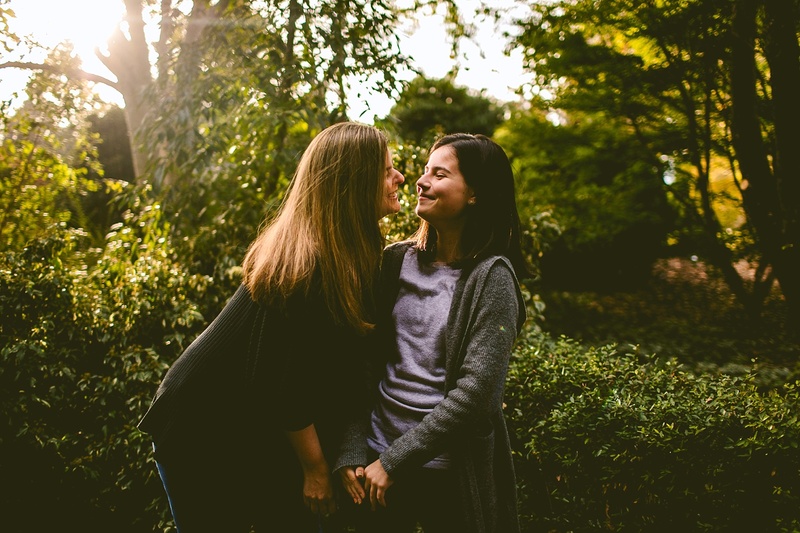 Sam and Laurel remain two of our most favorite children, and they just keep getting funnier and more amazing as they get older. 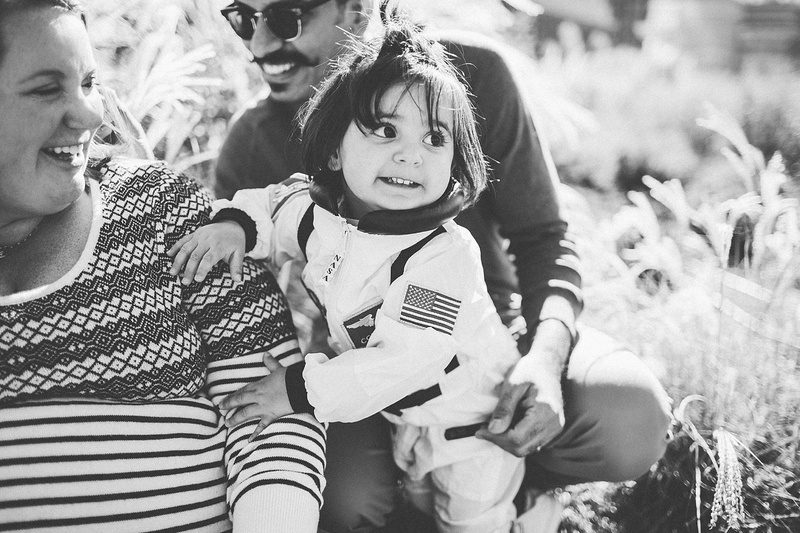 Probably because they have some pretty great parents whom we adore. 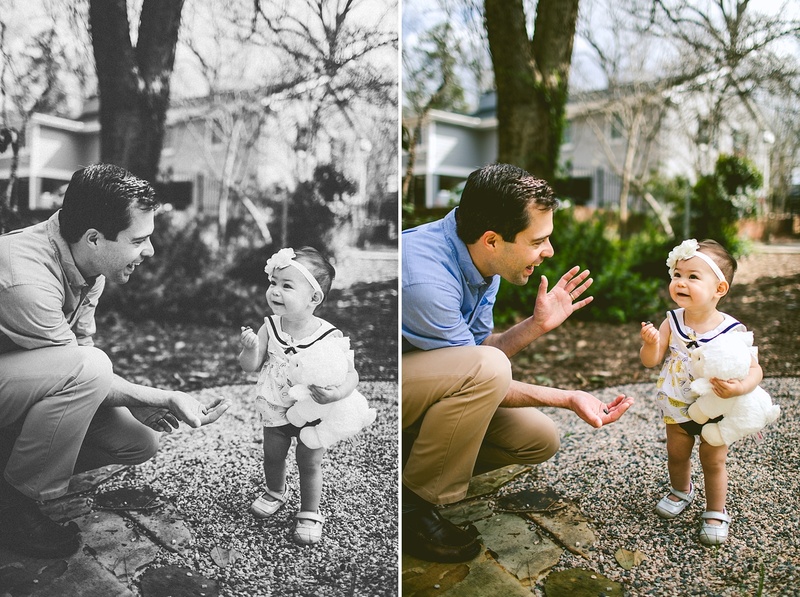 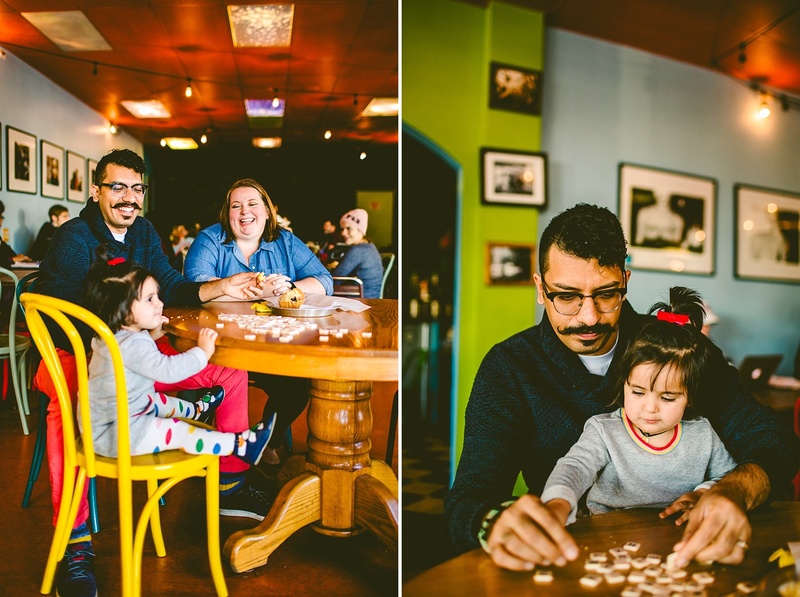 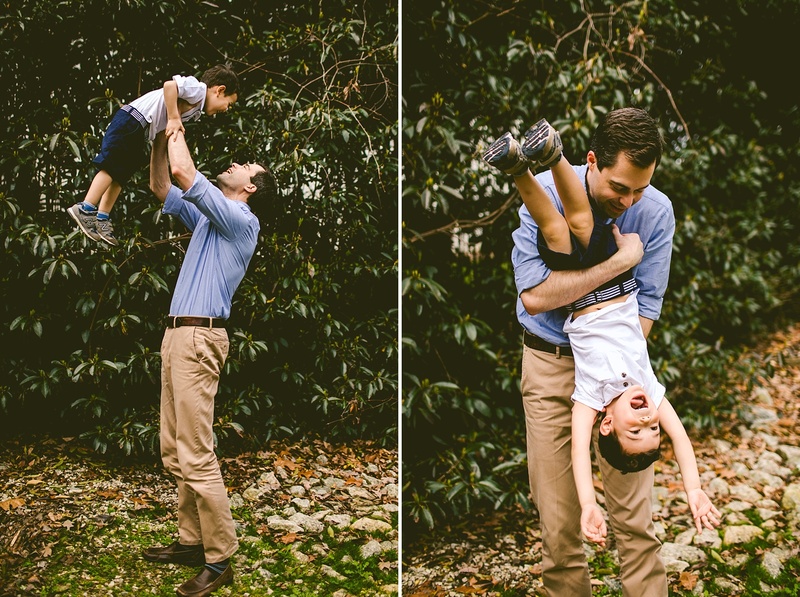 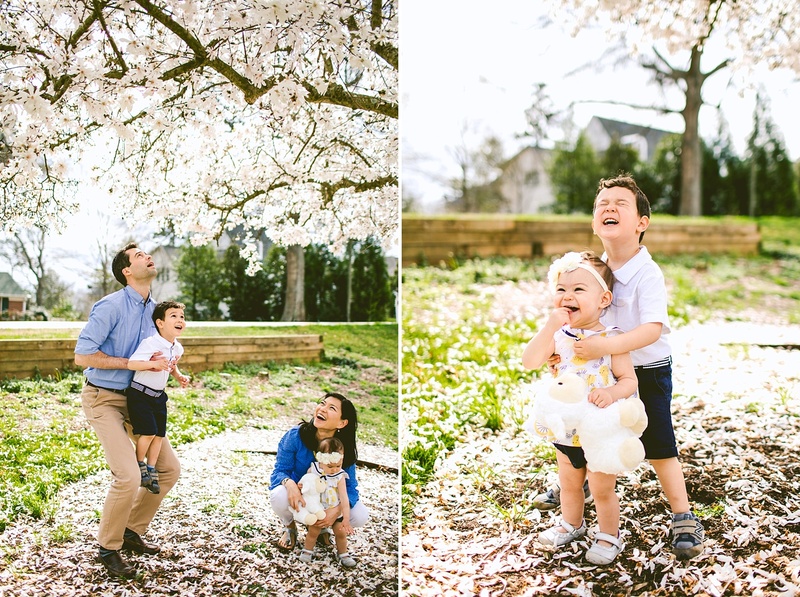 Happy to photograph this family once again! 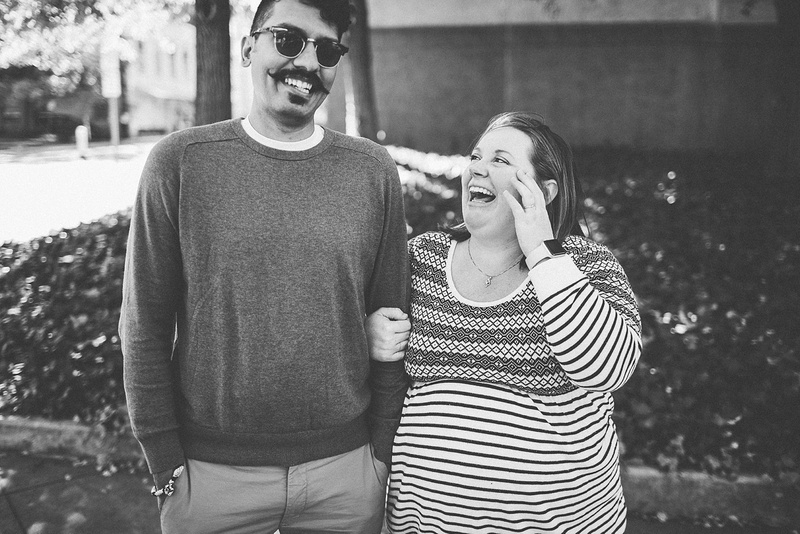 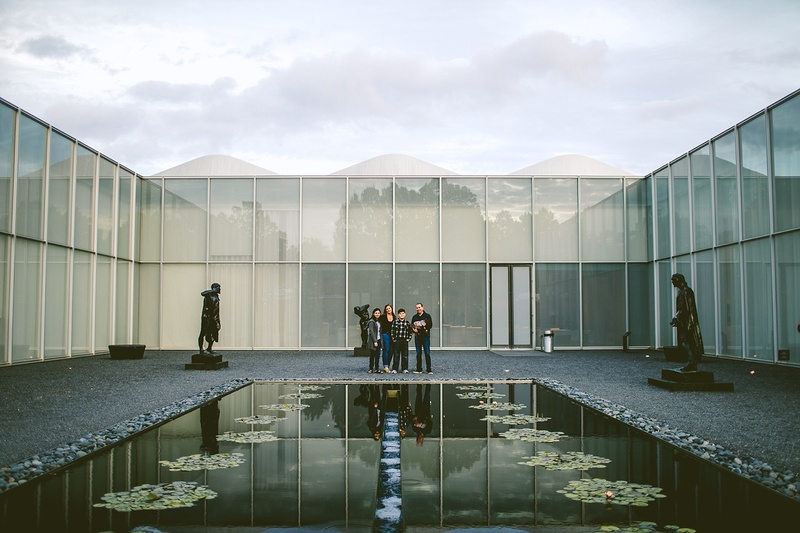 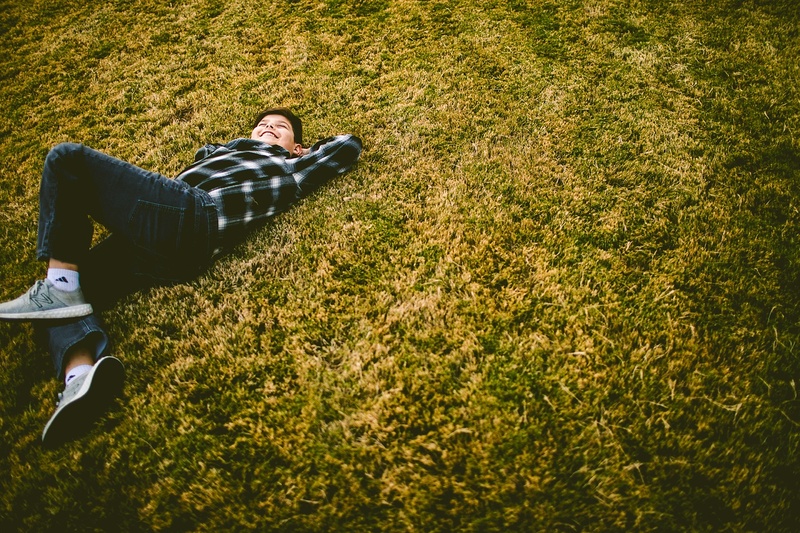 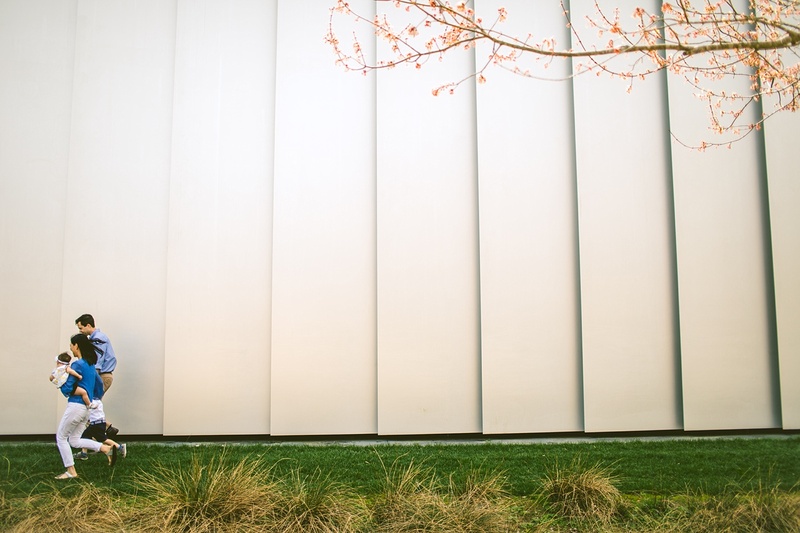 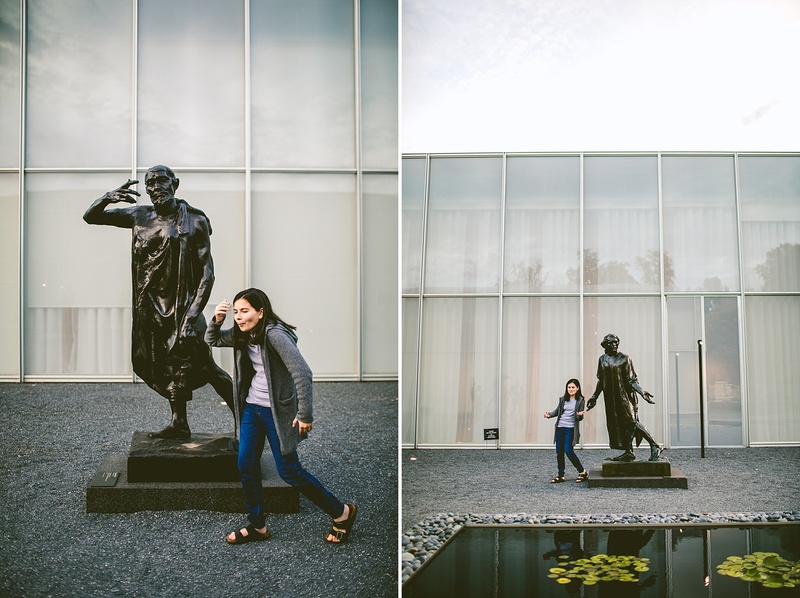 GUYS remember Annie+Kunal’s engagement session from way back in 2014? 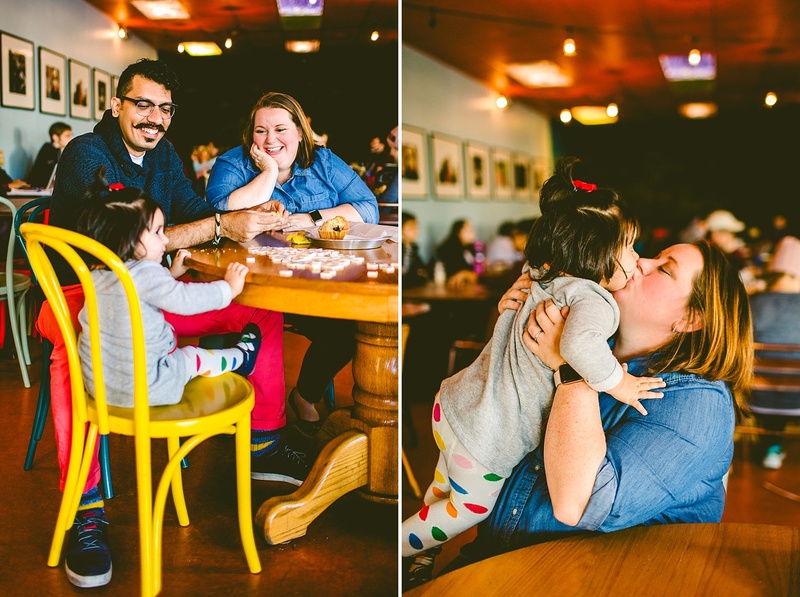 We went to Bean Trader’s and then to downtown Durham where Annie and Kunal would frequent. 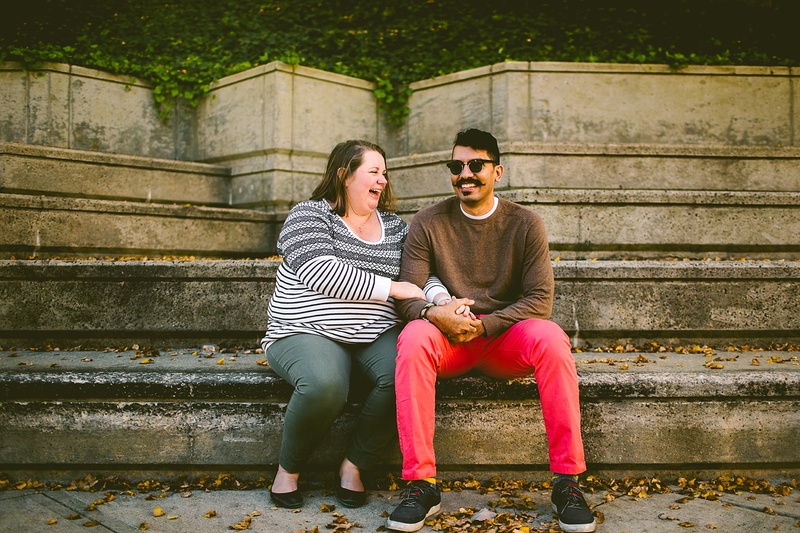 Then they got married and left us for Albuquerque where, apparently, Kunal grew his hair down to his lower back and we are SO UPSET THAT WE DIDN’T GET A CHANCE TO SEE THIS. 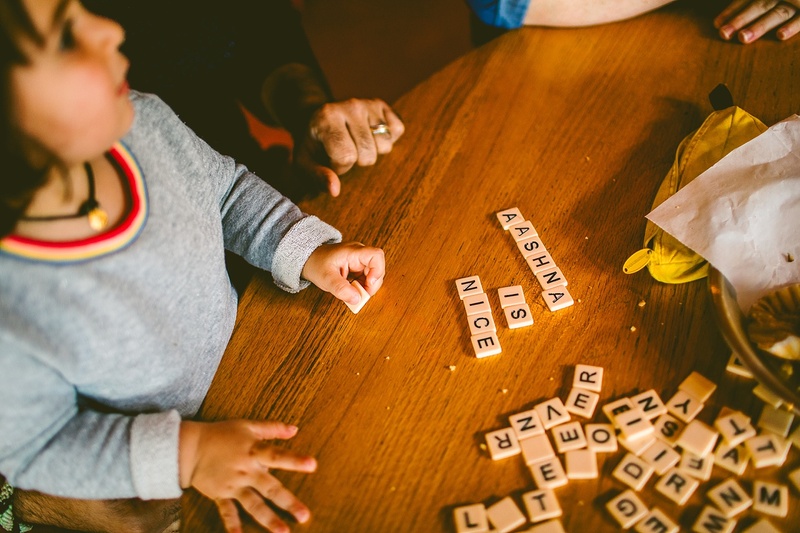 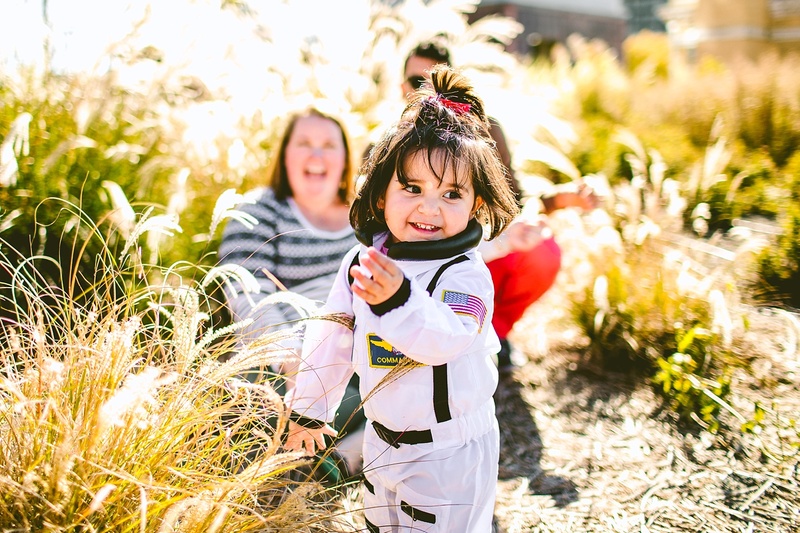 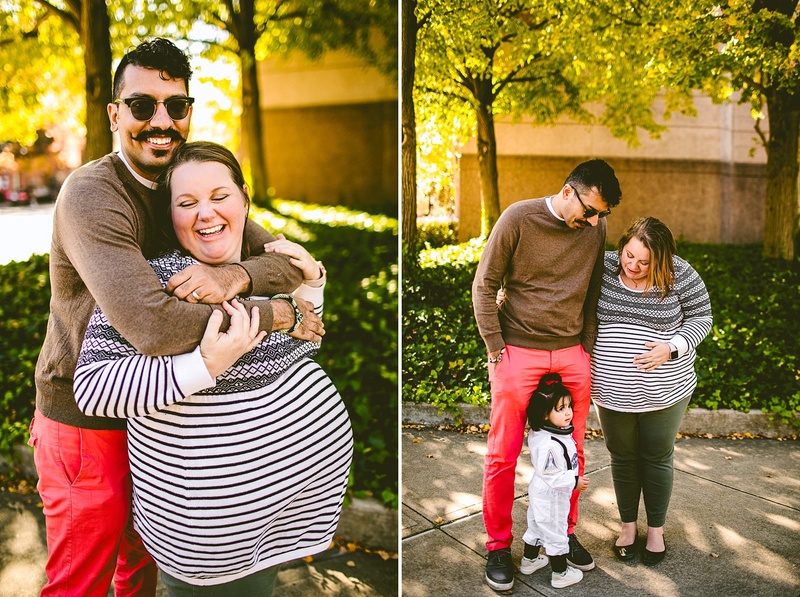 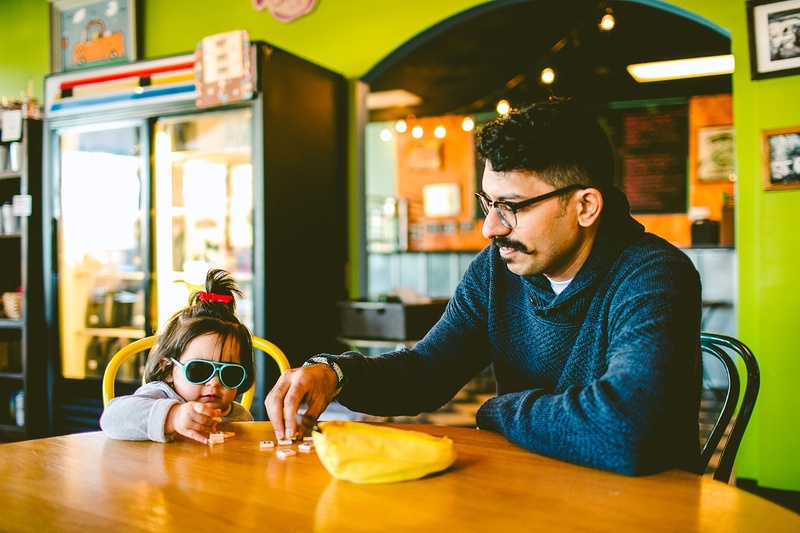 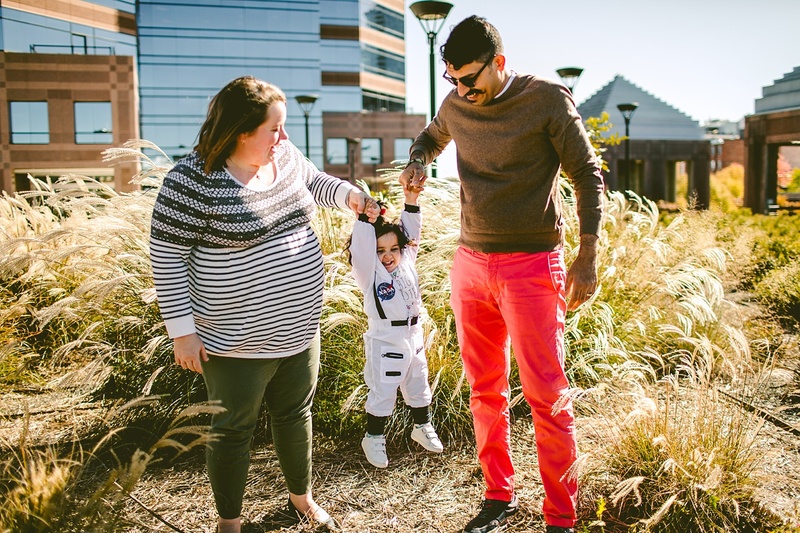 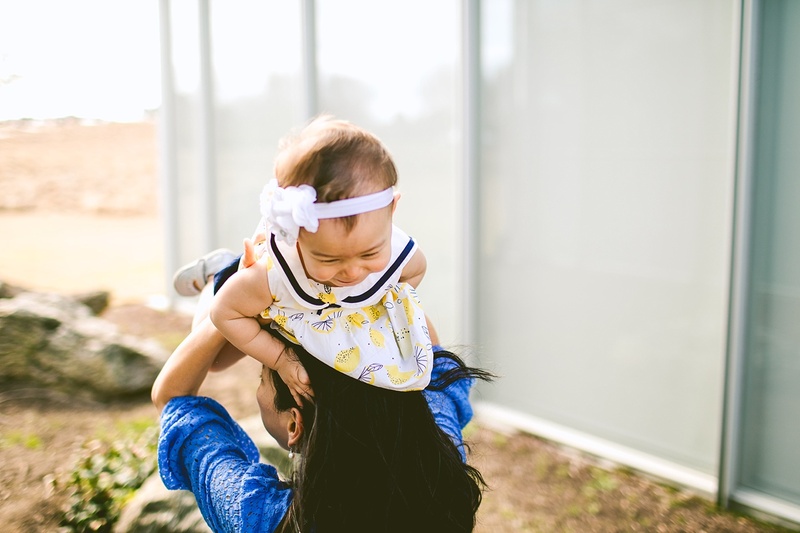 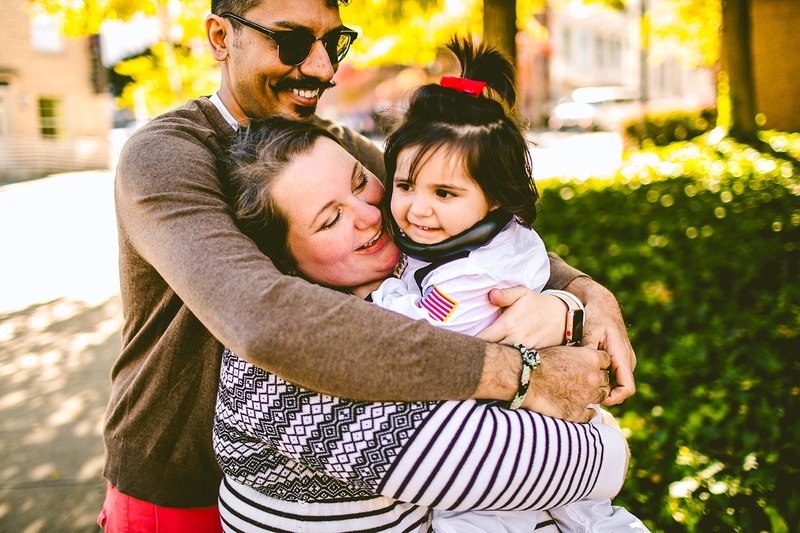 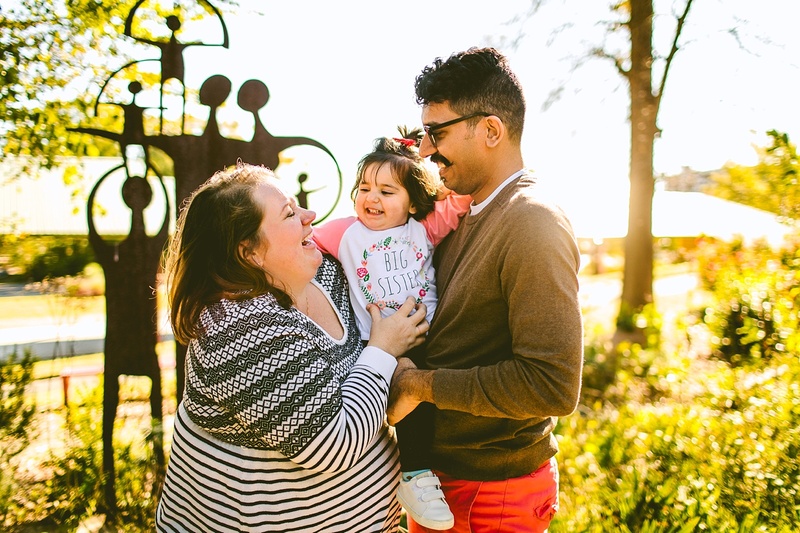 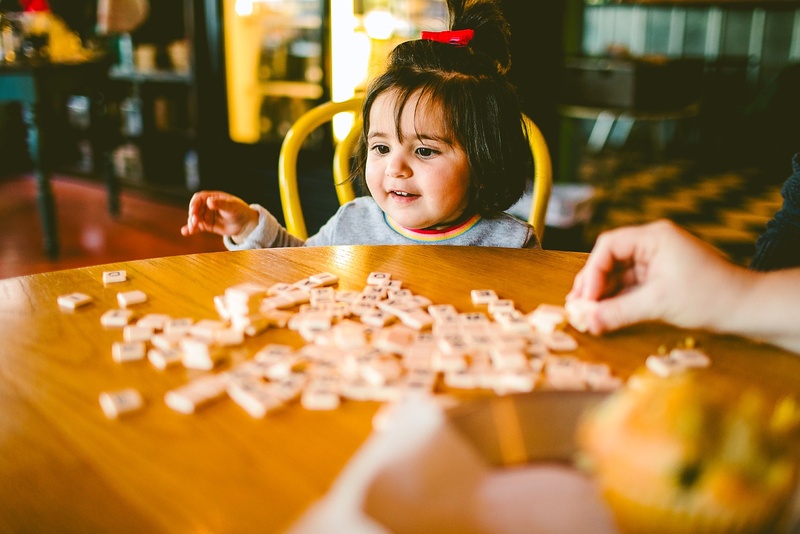 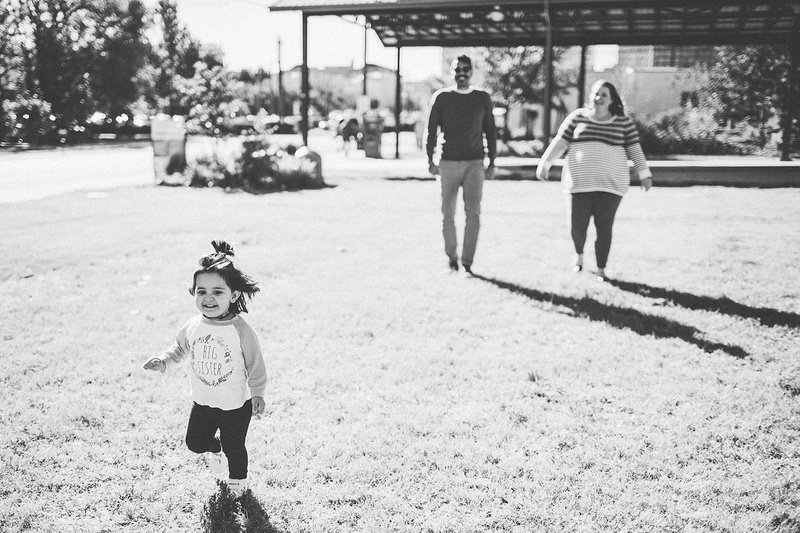 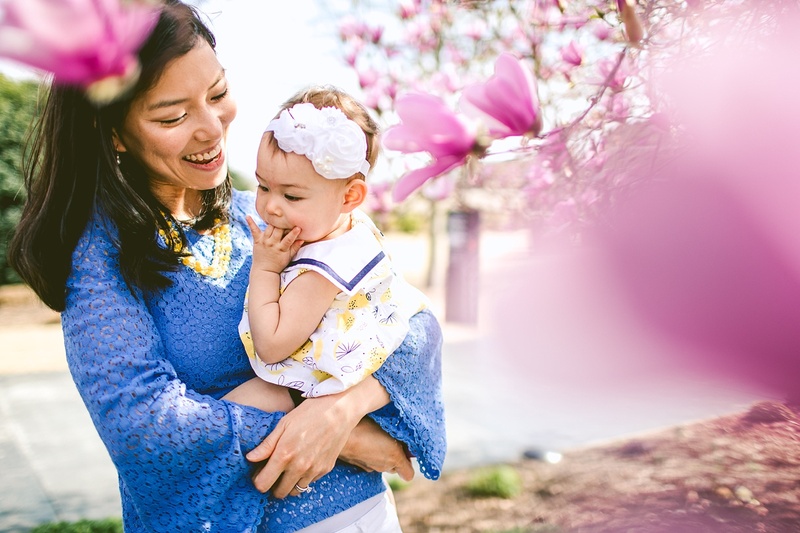 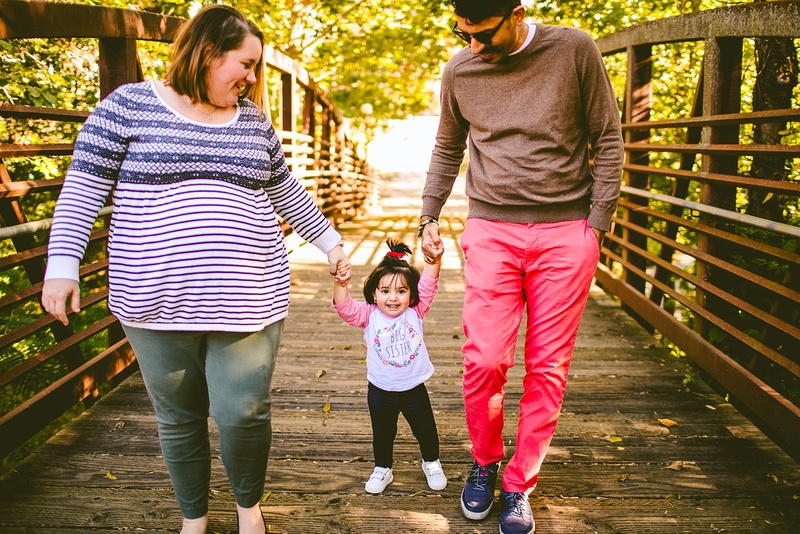 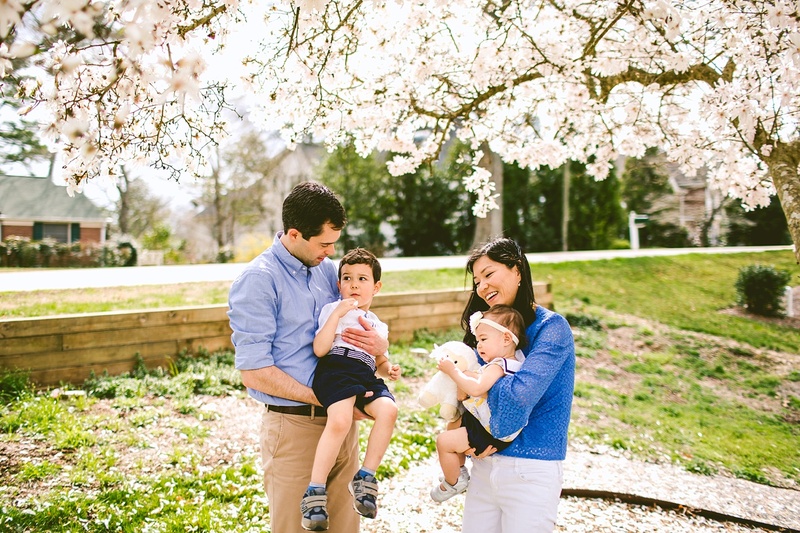 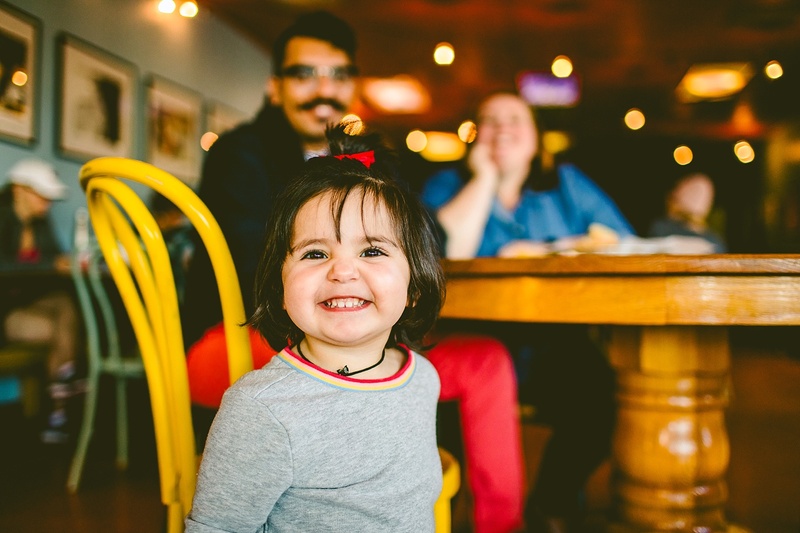 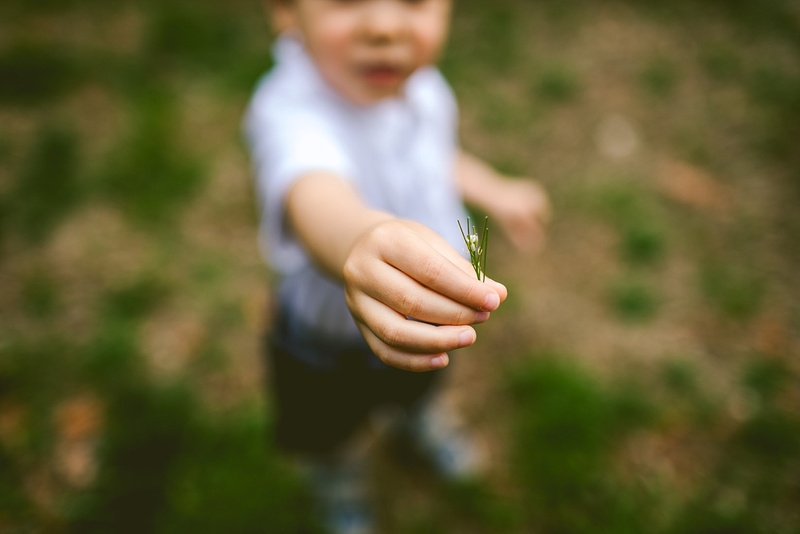 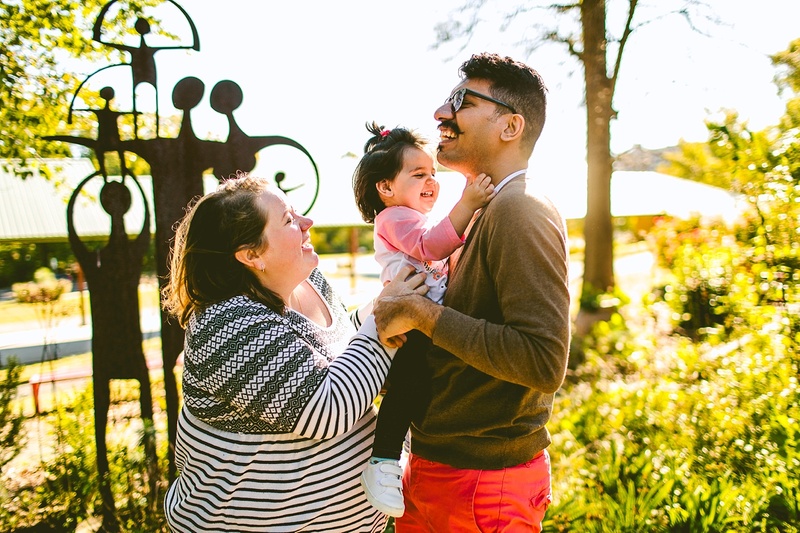 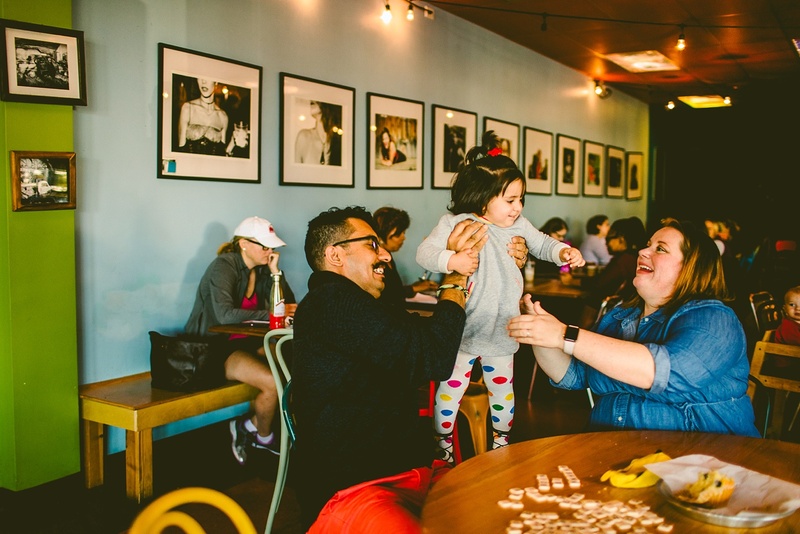 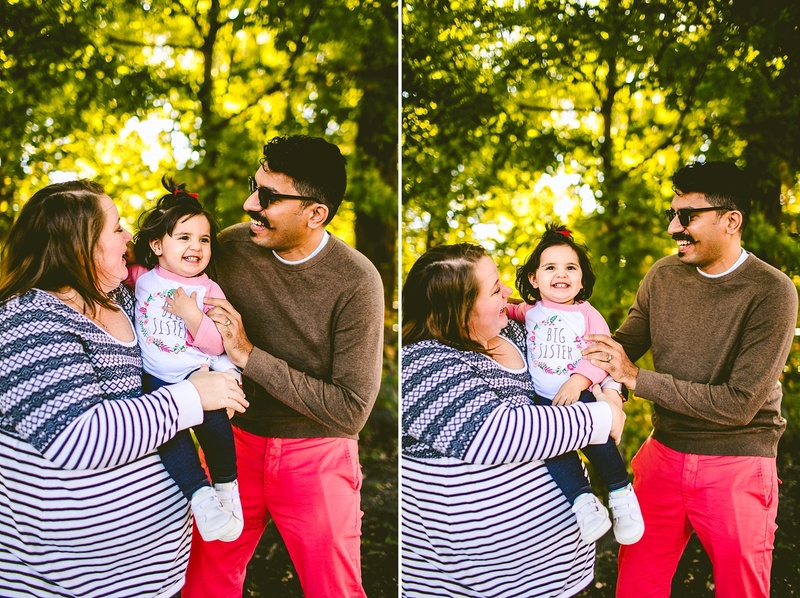 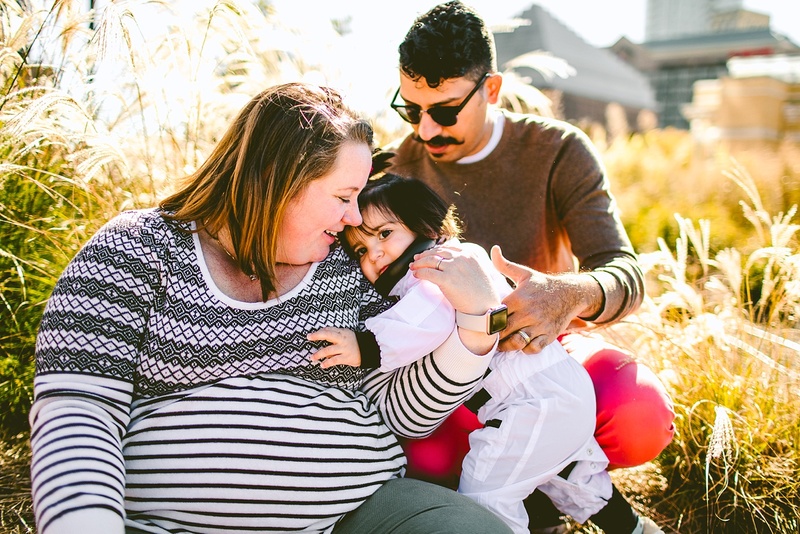 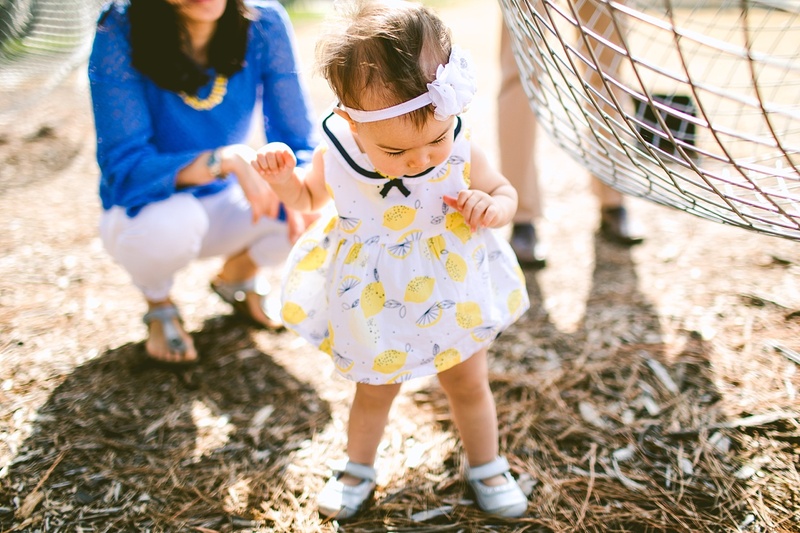 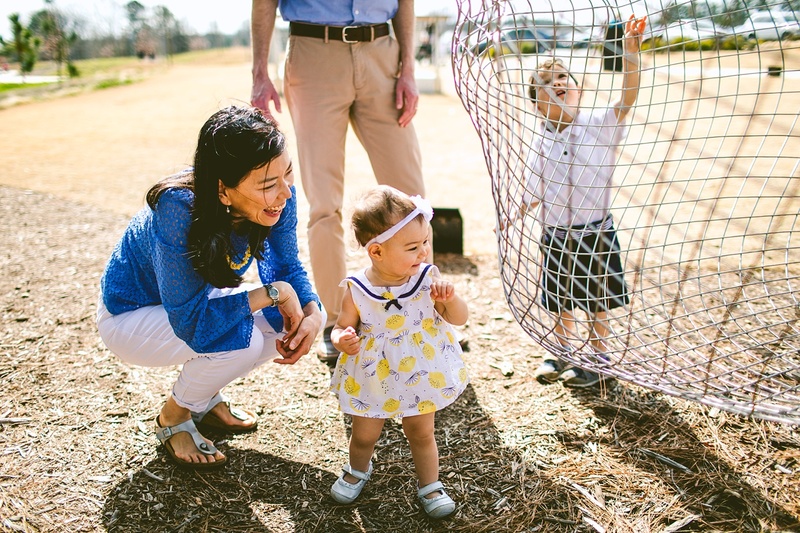 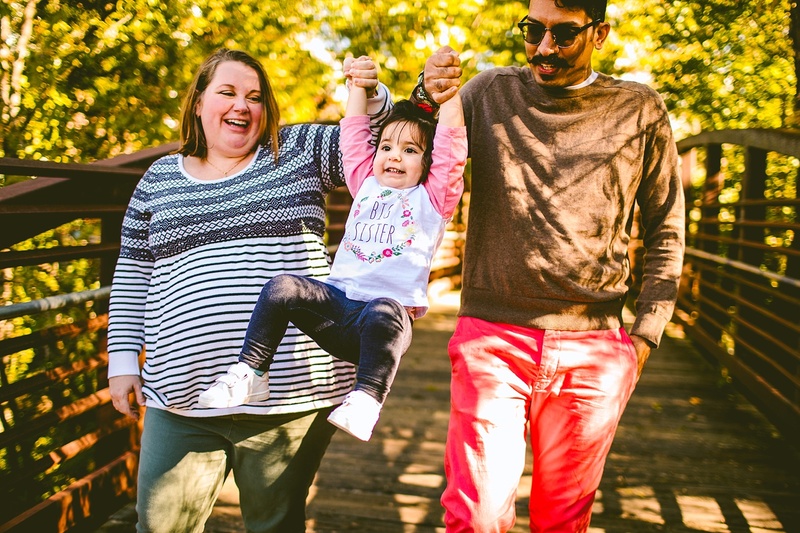 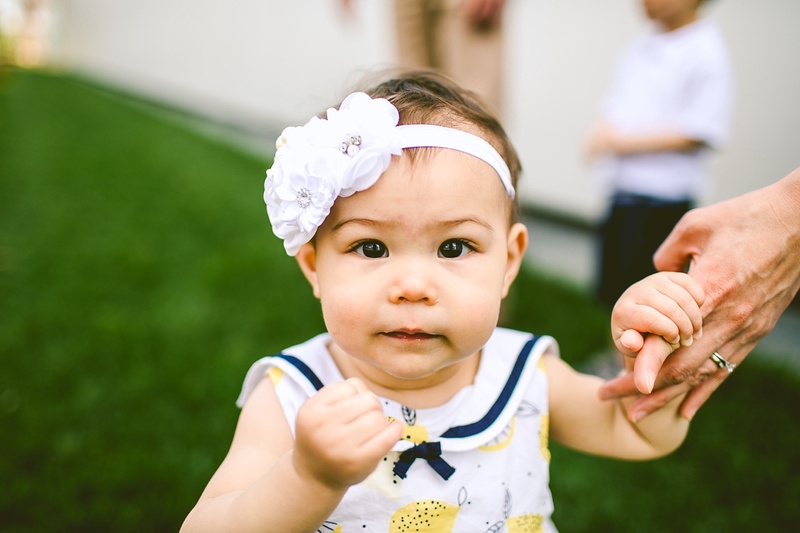 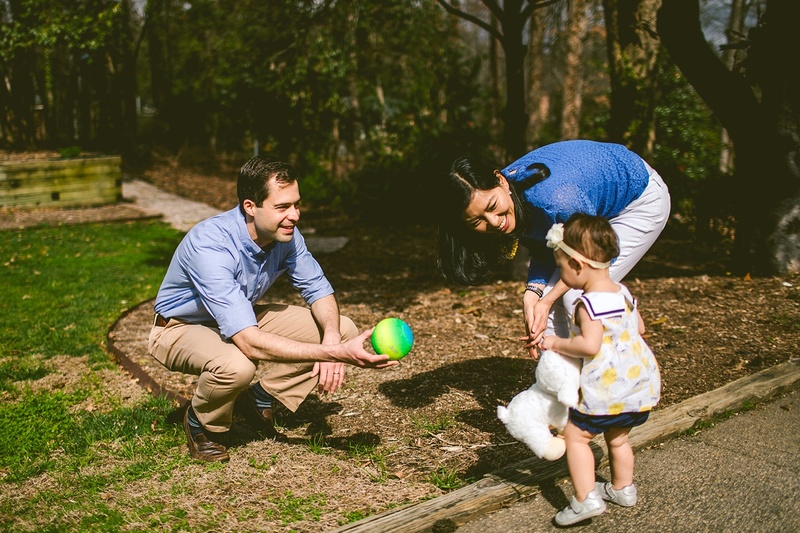 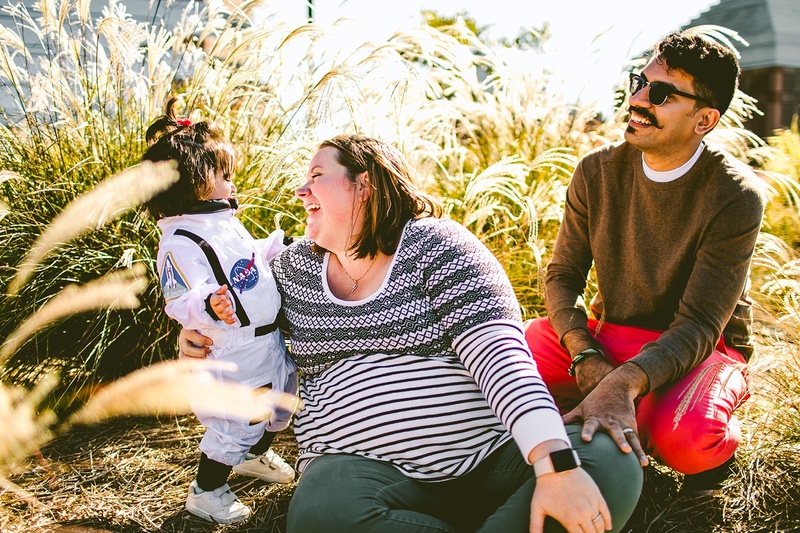 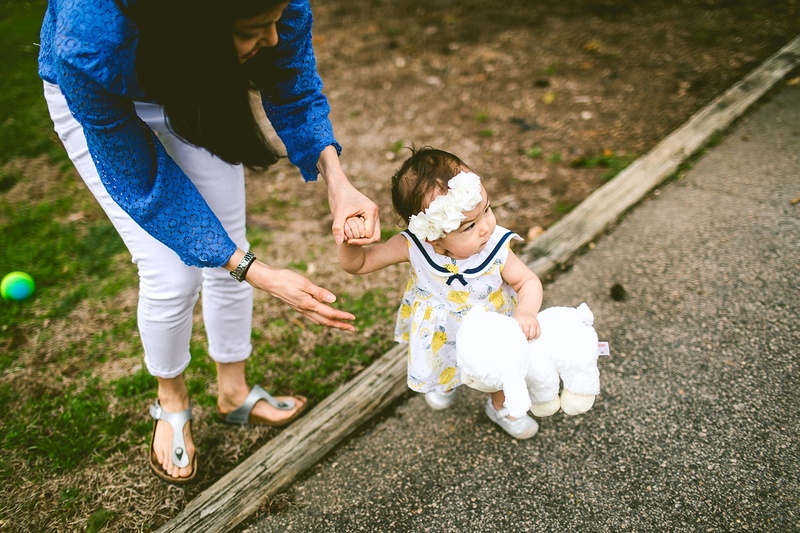 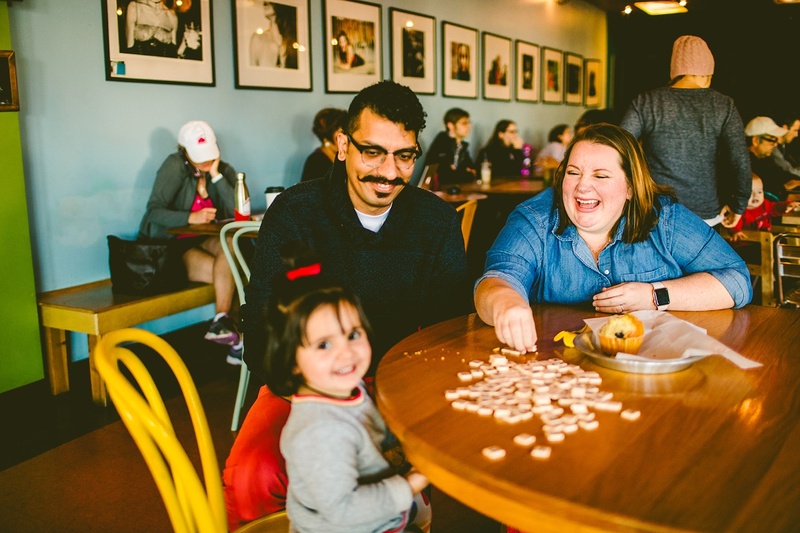 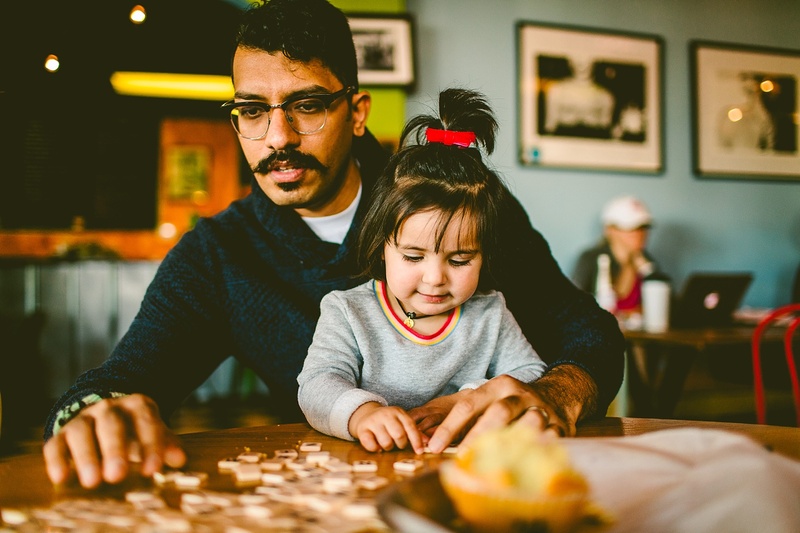 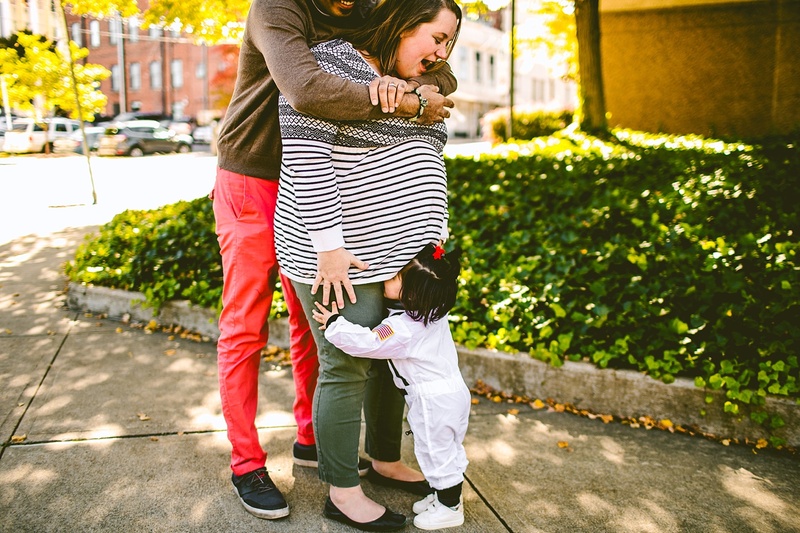 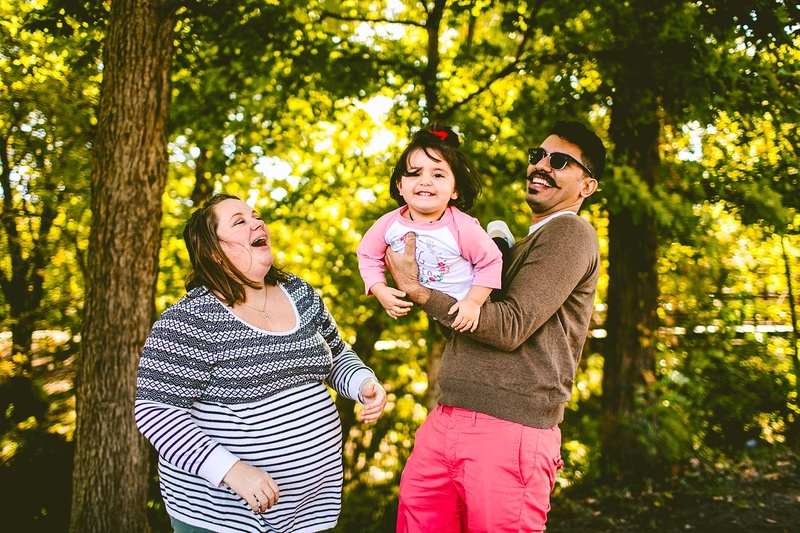 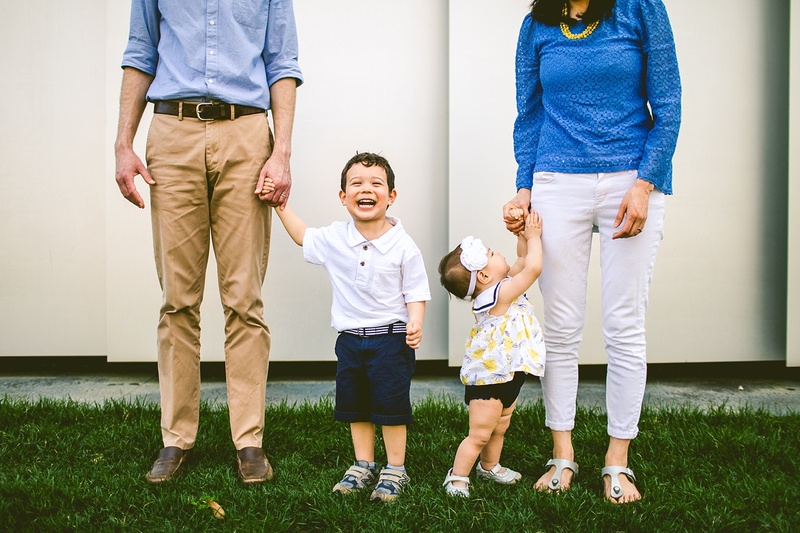 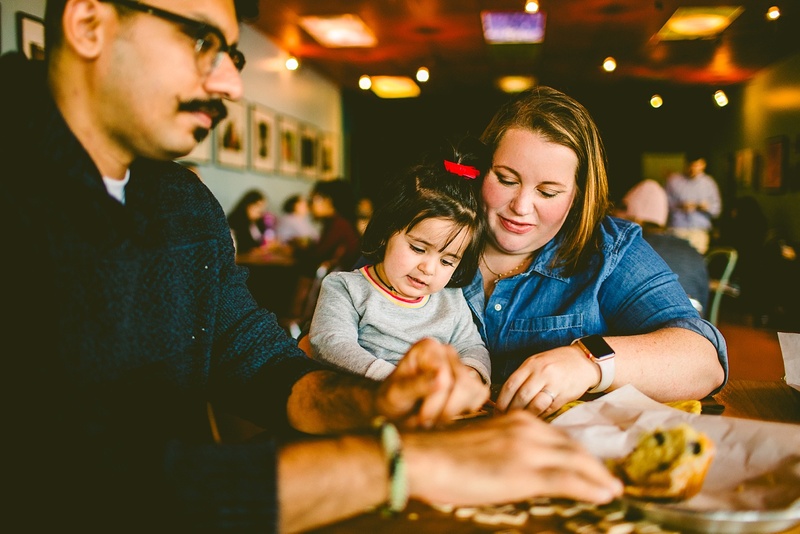 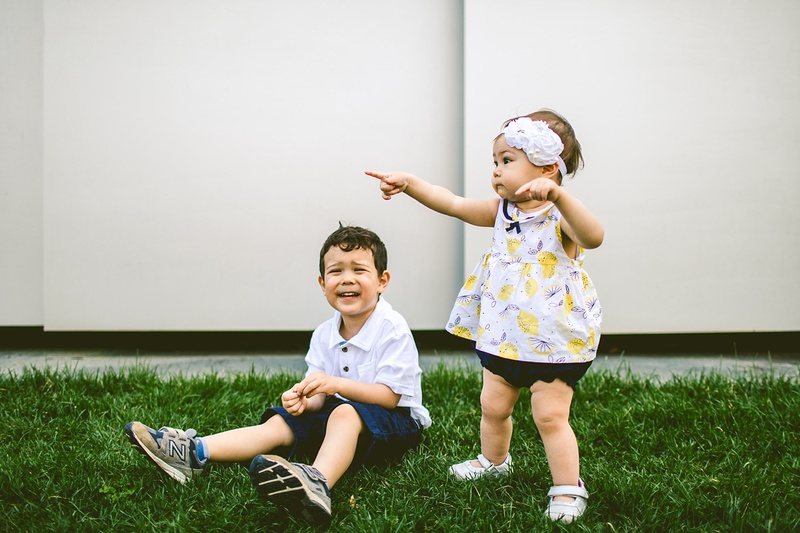 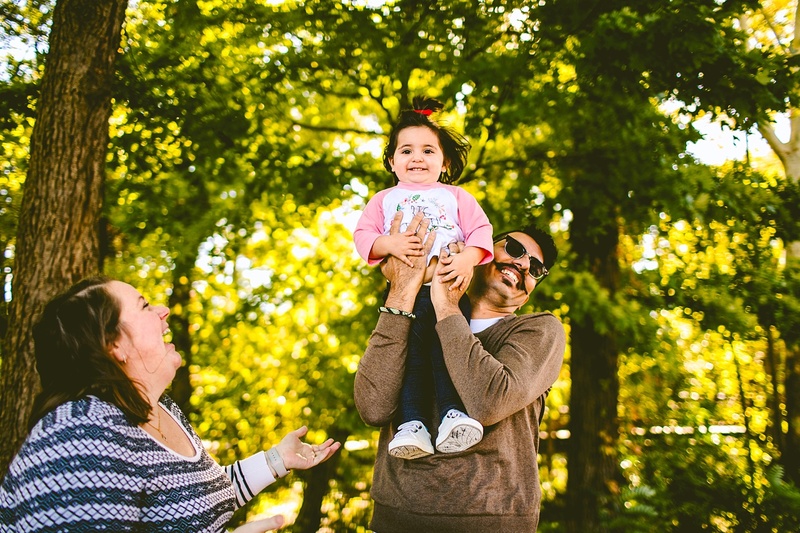 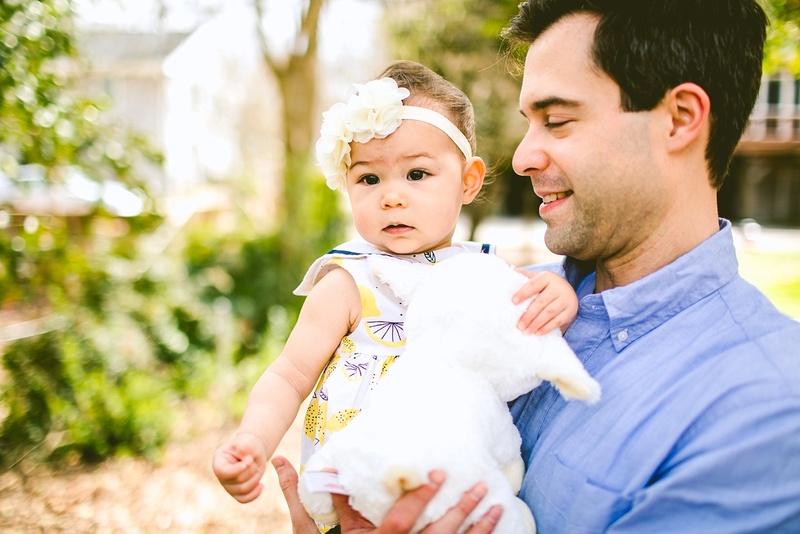 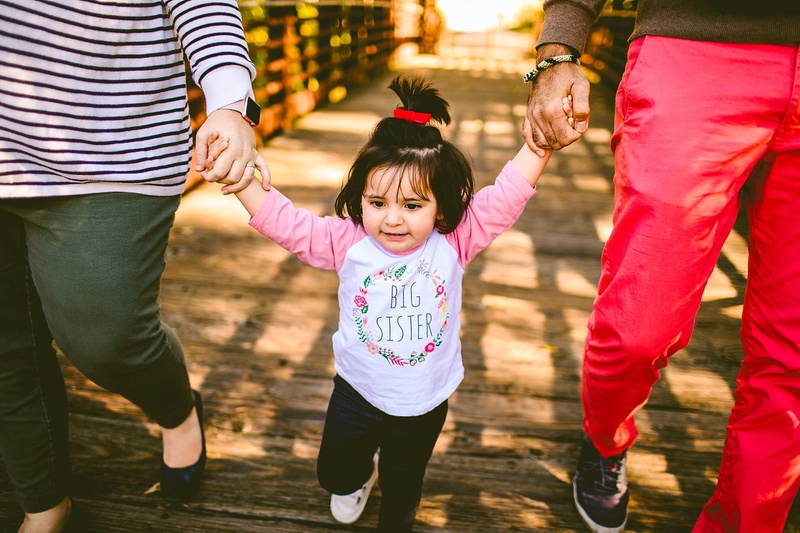 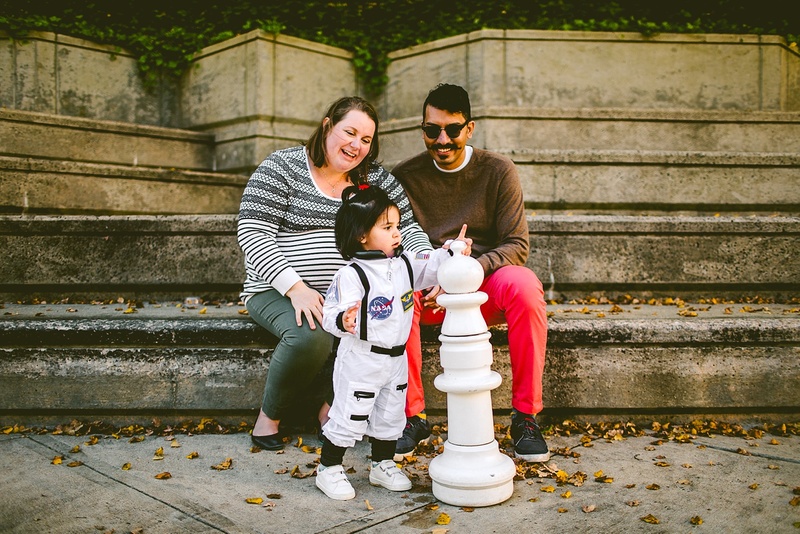 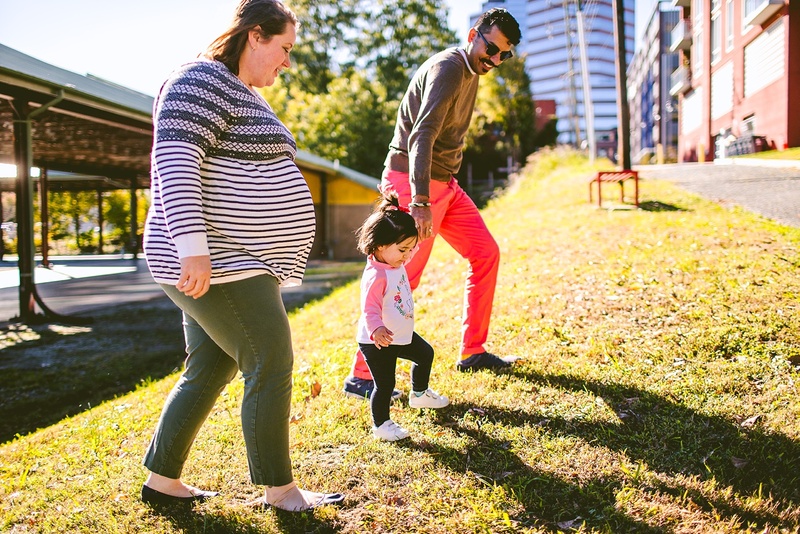 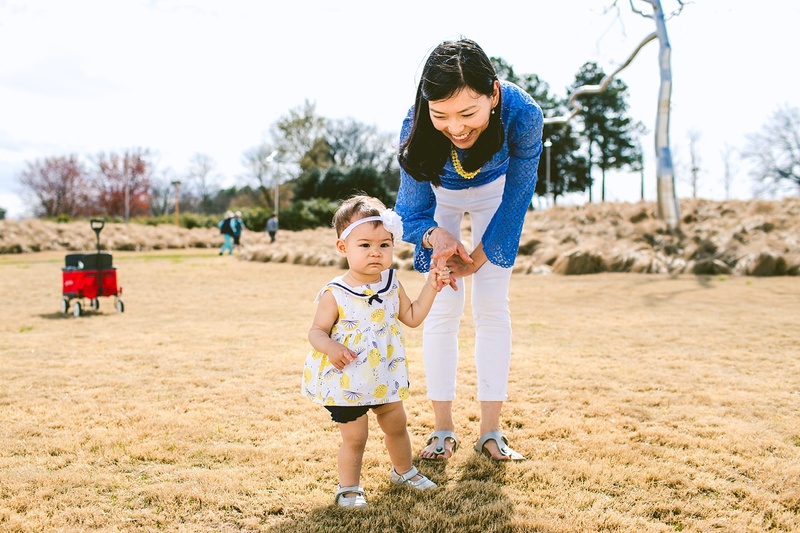 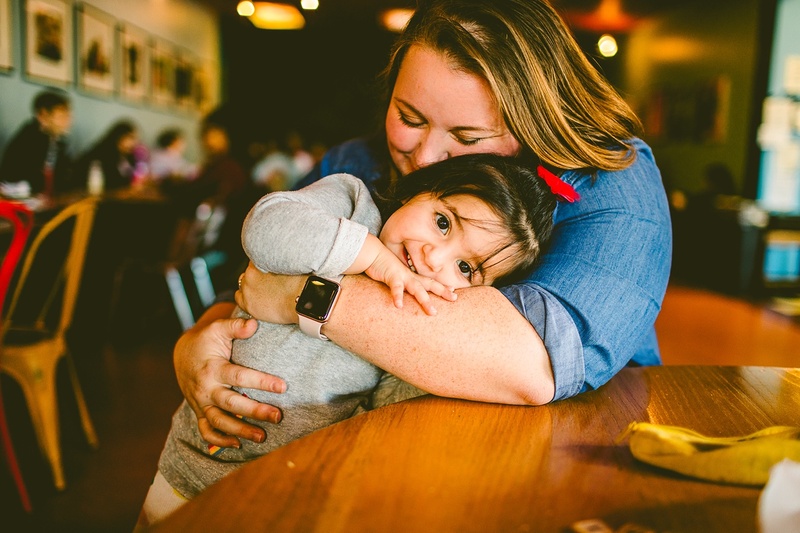 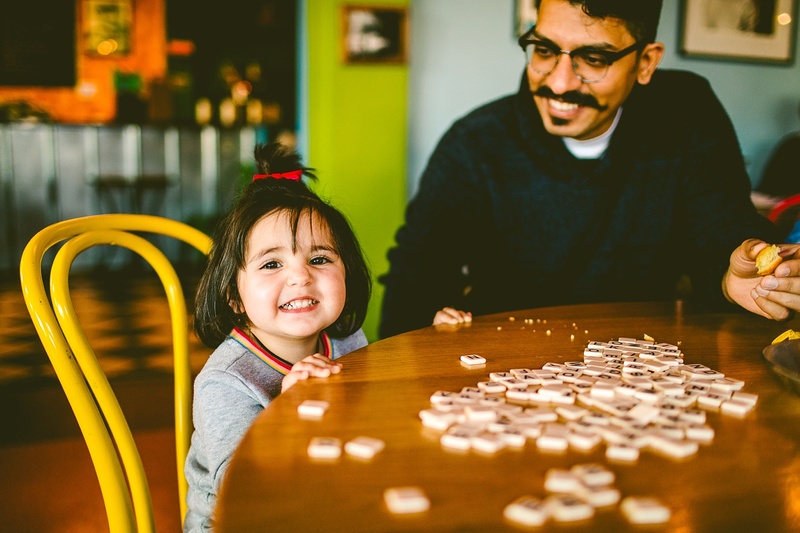 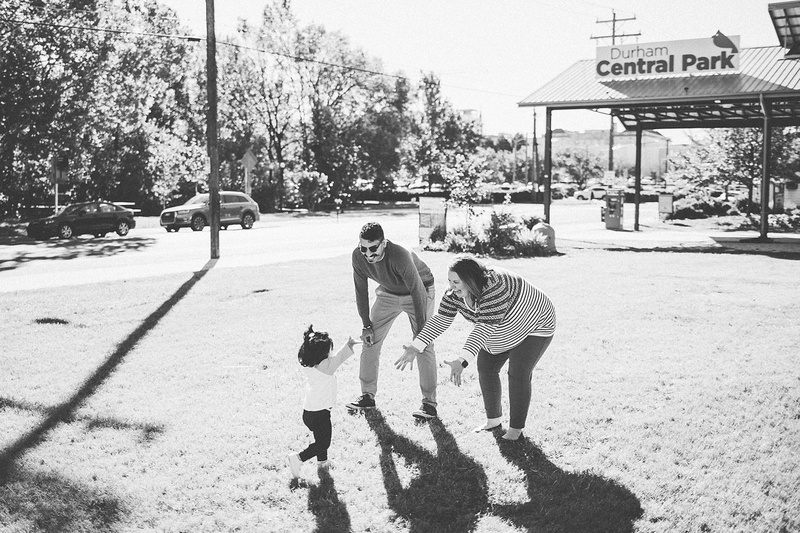 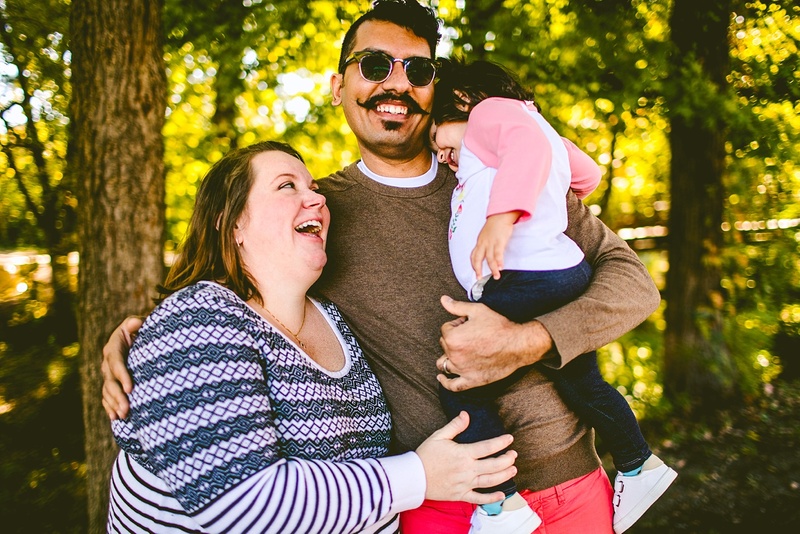 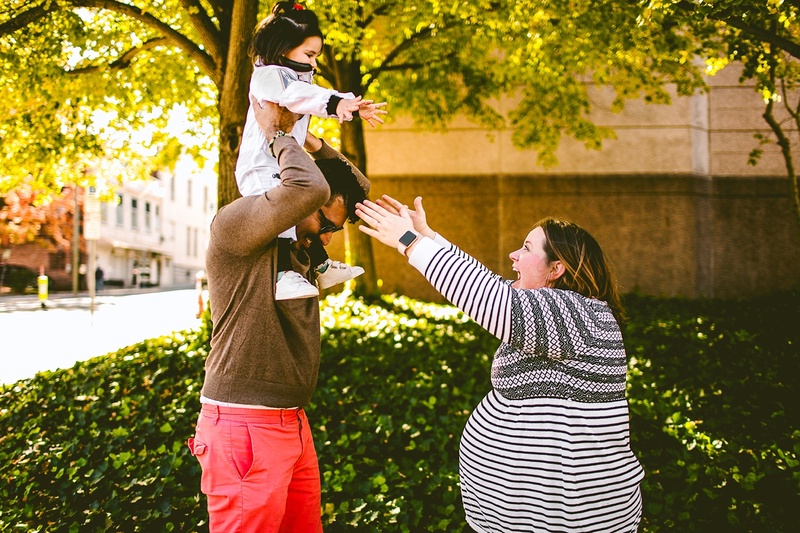 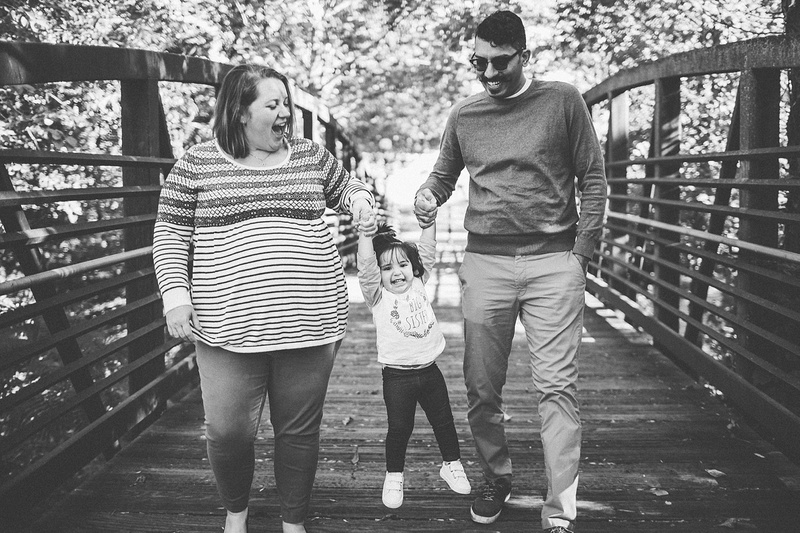 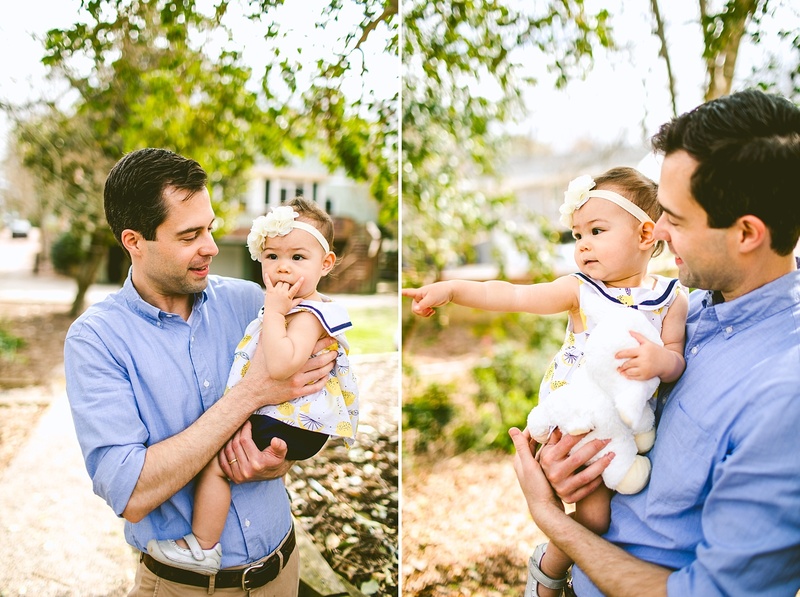 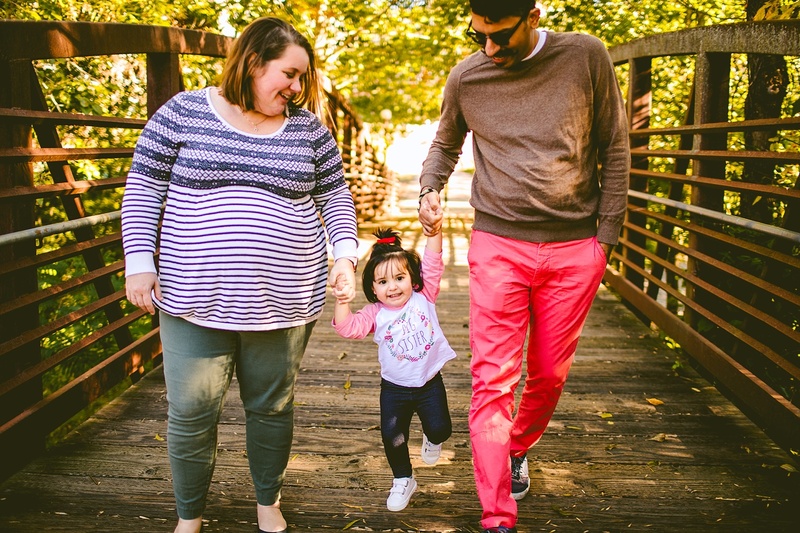 In addition to growing his hair and Annie doing doctory things, Annie and Kunal also had their first child, sweet Aashna, who is a bundle of energy and almost-two-year-old joy. 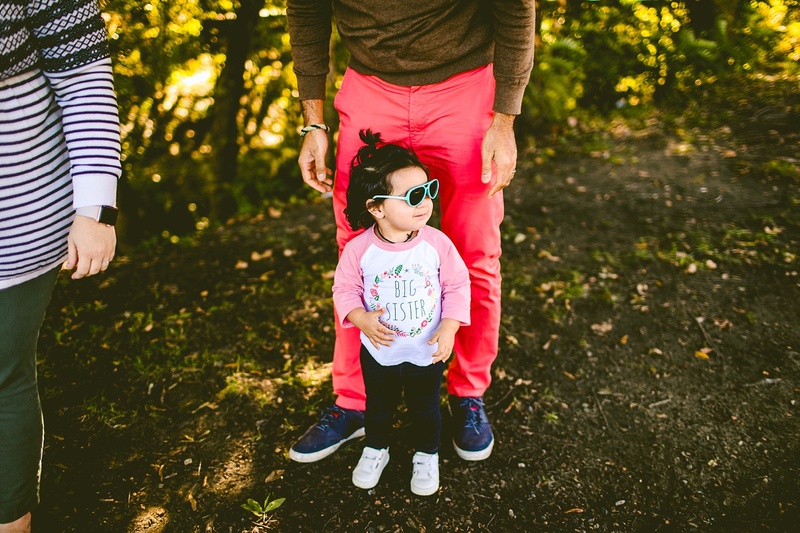 She enjoys sunglasses and foiling all of her parents’ plans by already being able to spell some food items that they try to discuss in secret. 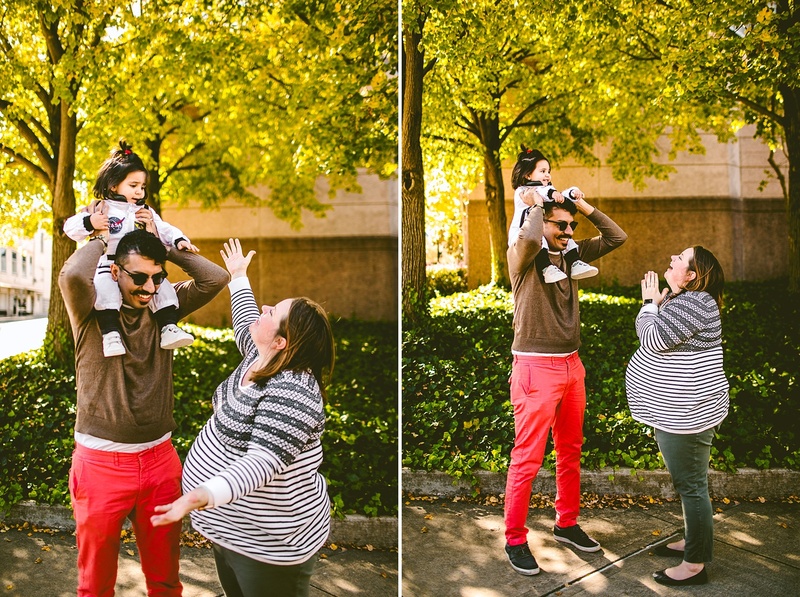 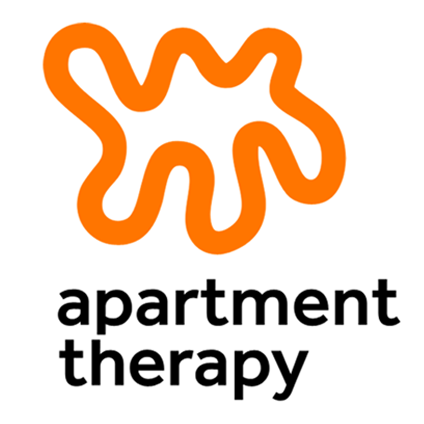 Recently Annie, Kunal, and Aashna all moved back to the Triangle area (YAY!) 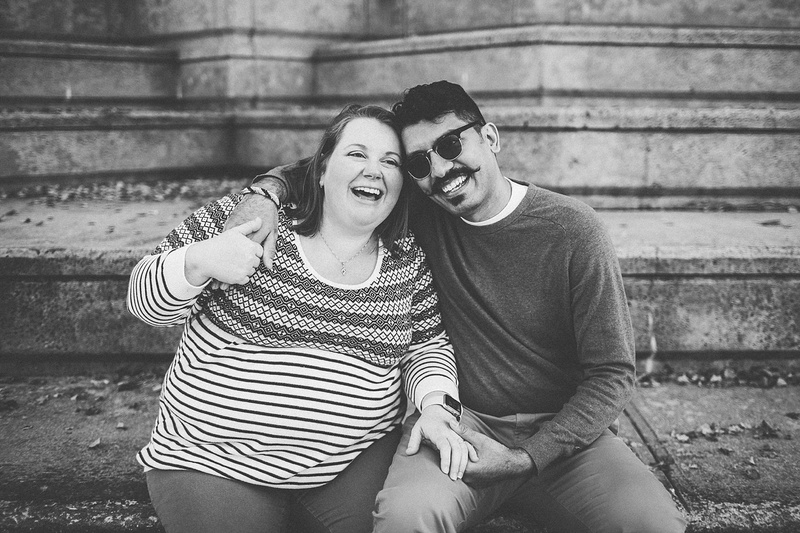 and are now expecting their second baby due this winter! 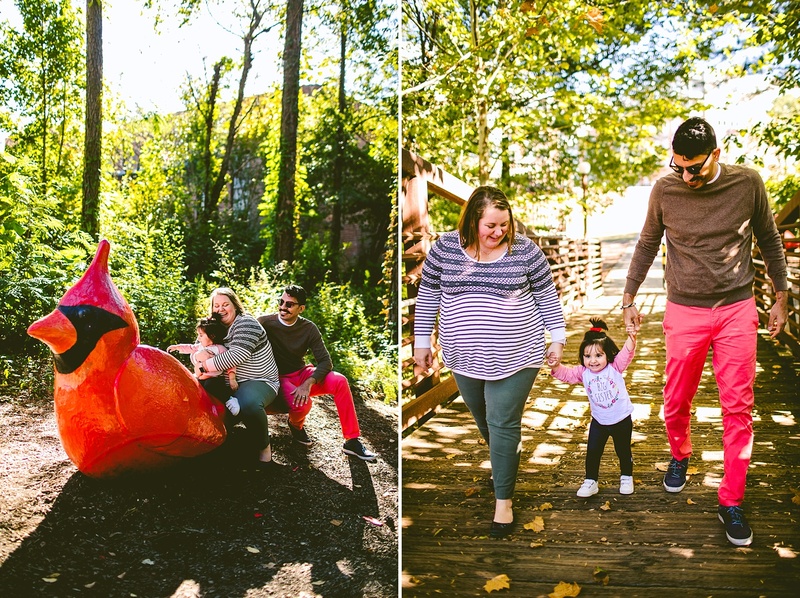 So for this our-family-right-now/kinda-maternity session, we visited their old haunts from their engagement session, now complete with an Aashna. 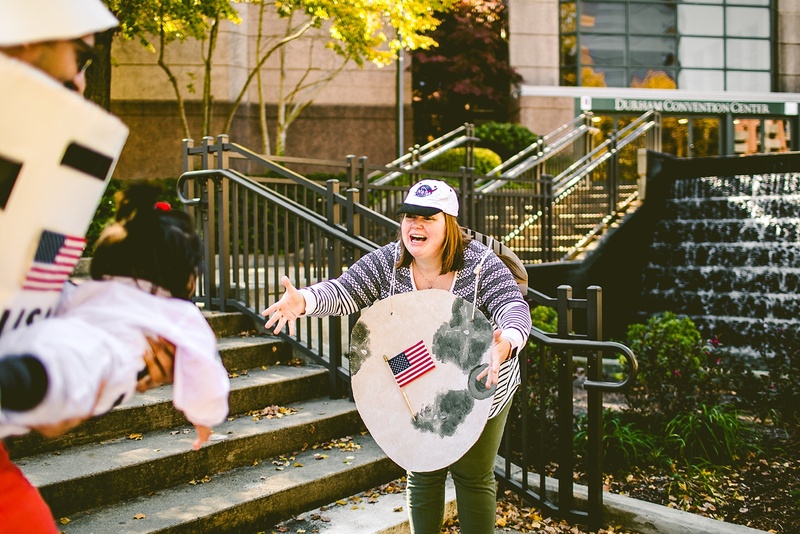 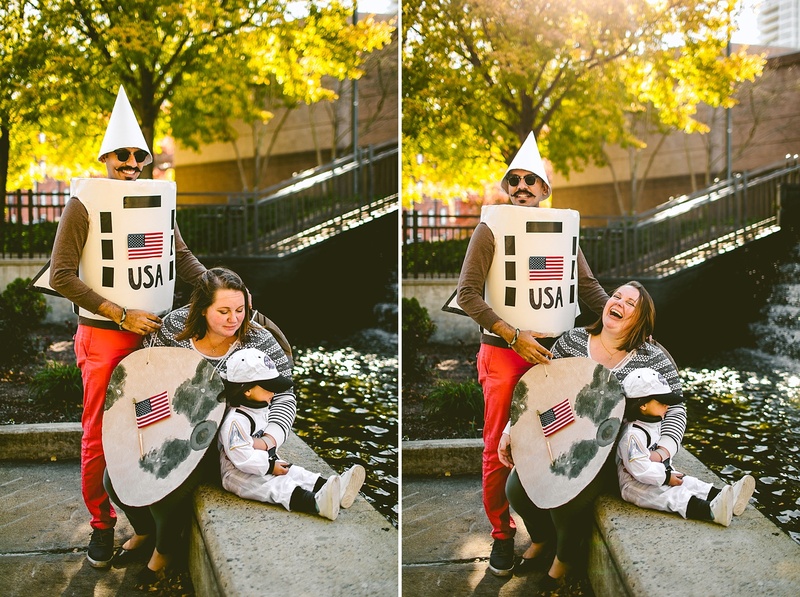 Also complete with the BEST HALLOWEEN COSTUMES EVER (that Annie handmade!!!) 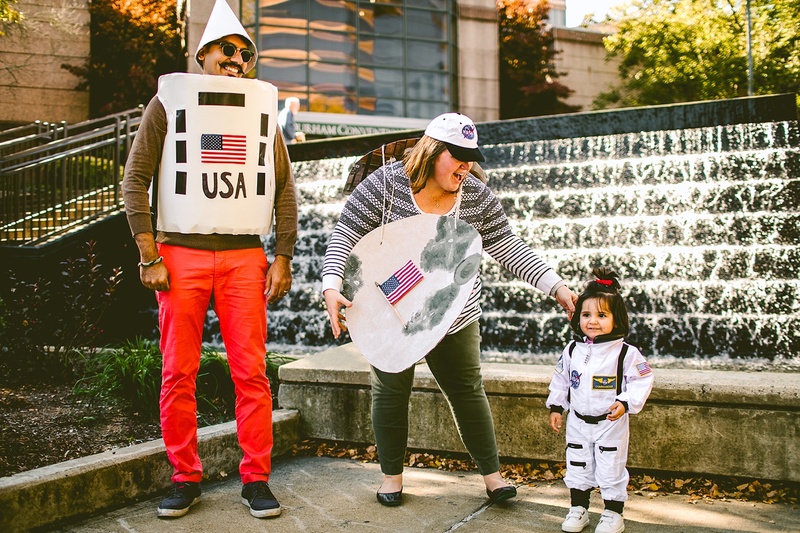 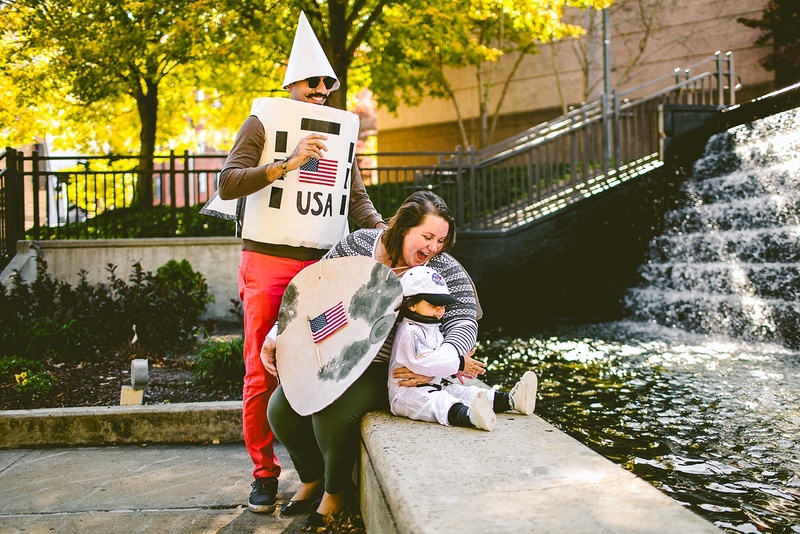 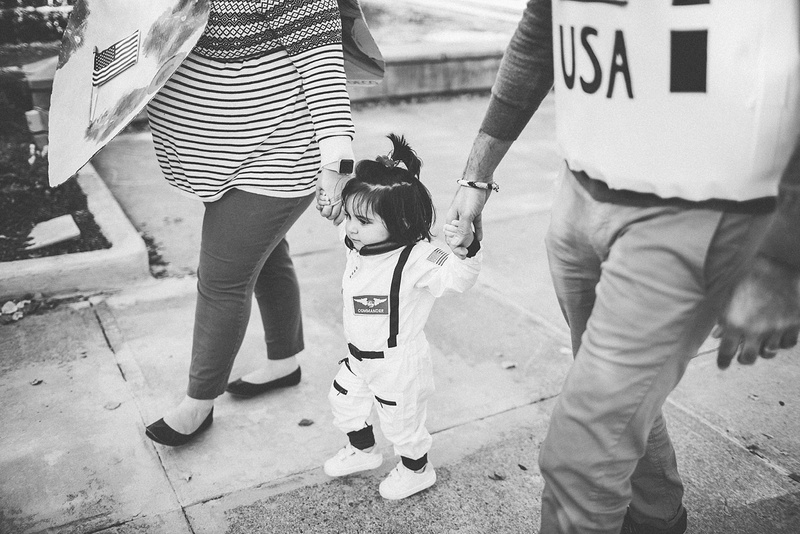 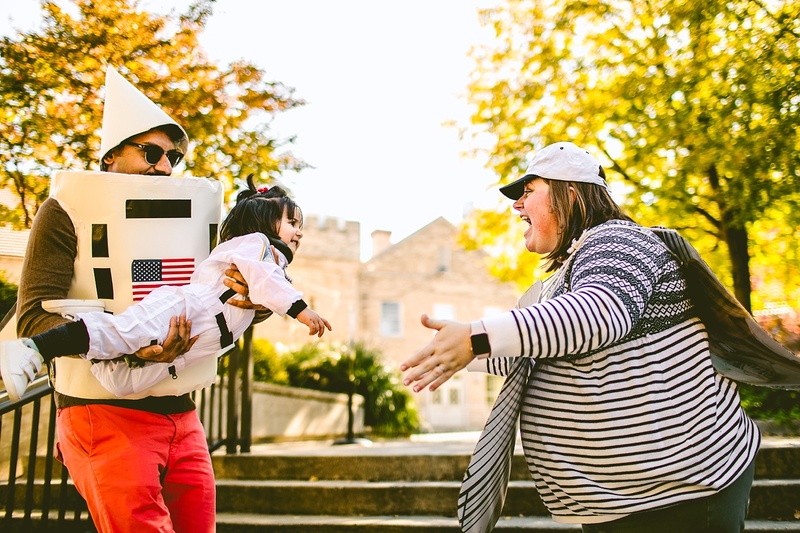 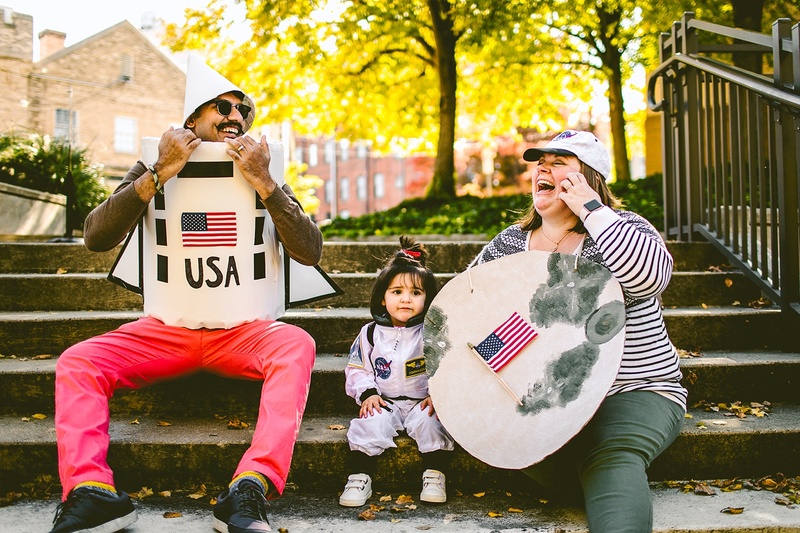 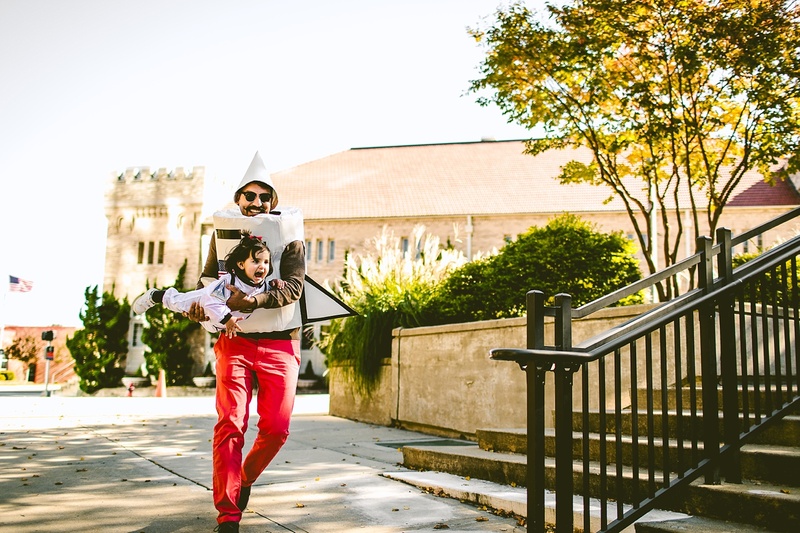 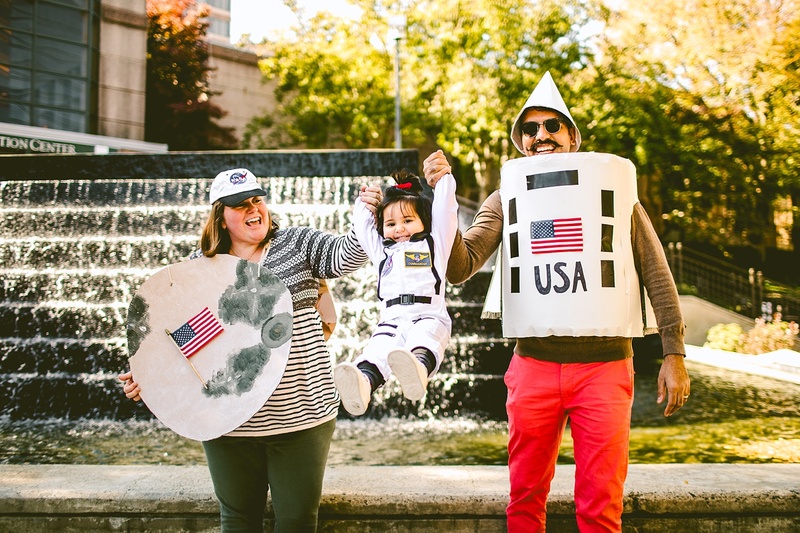 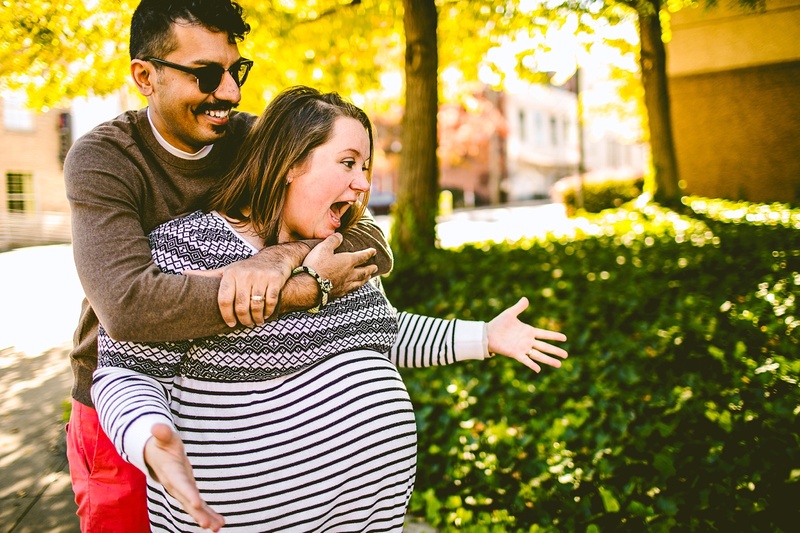 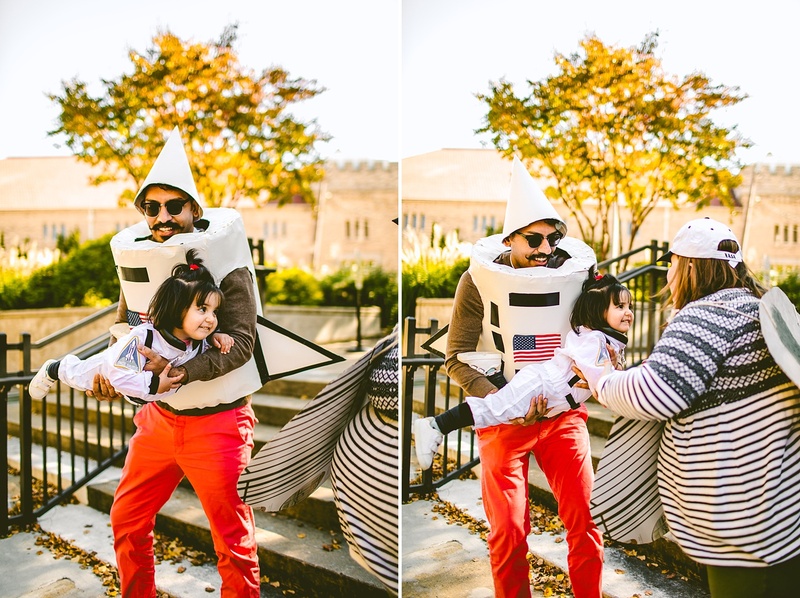 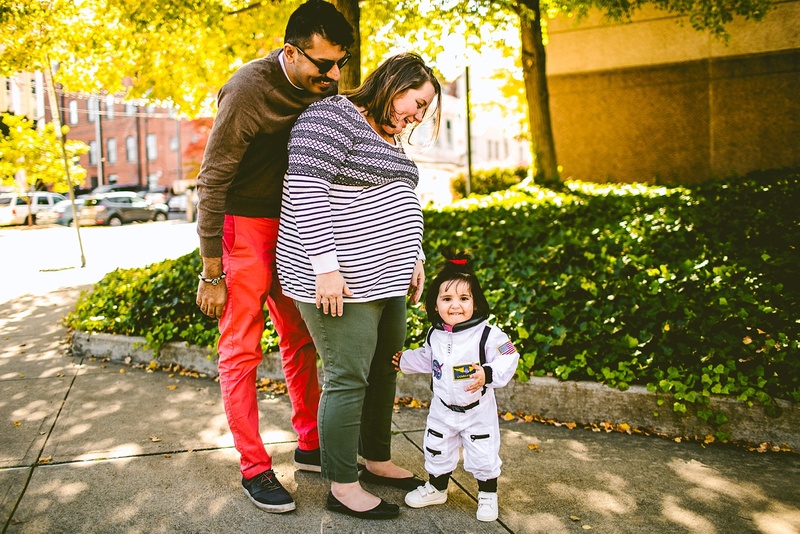 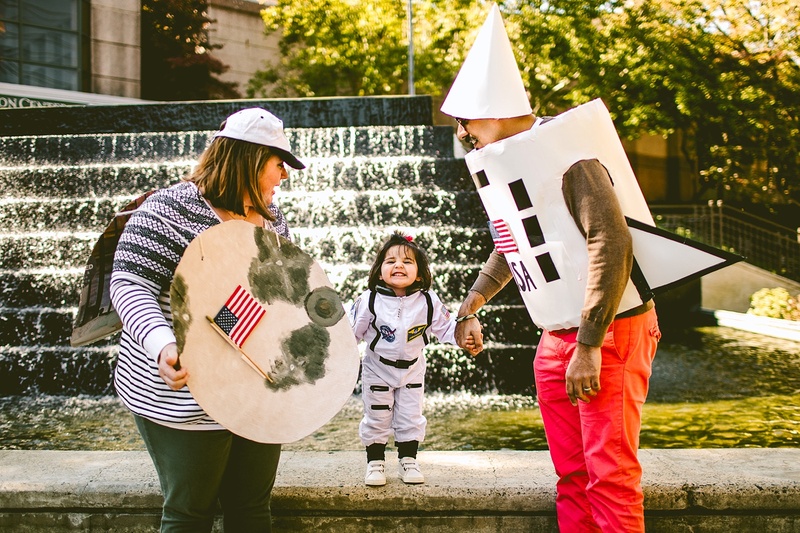 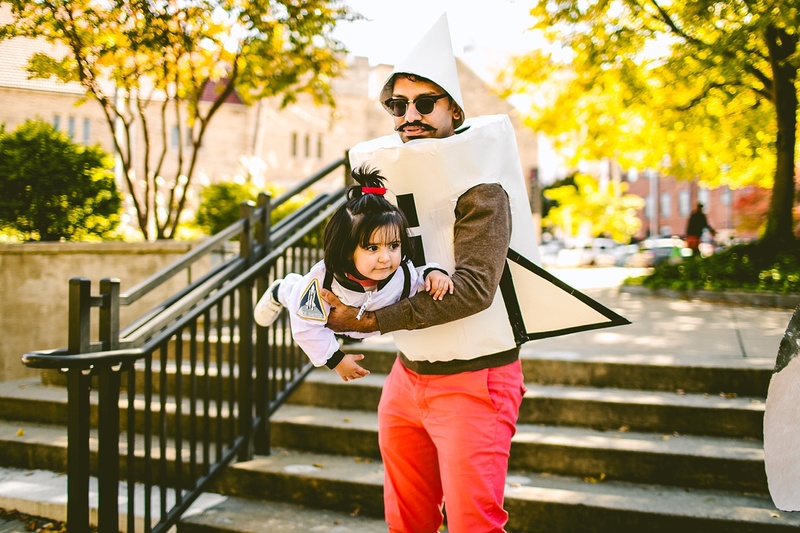 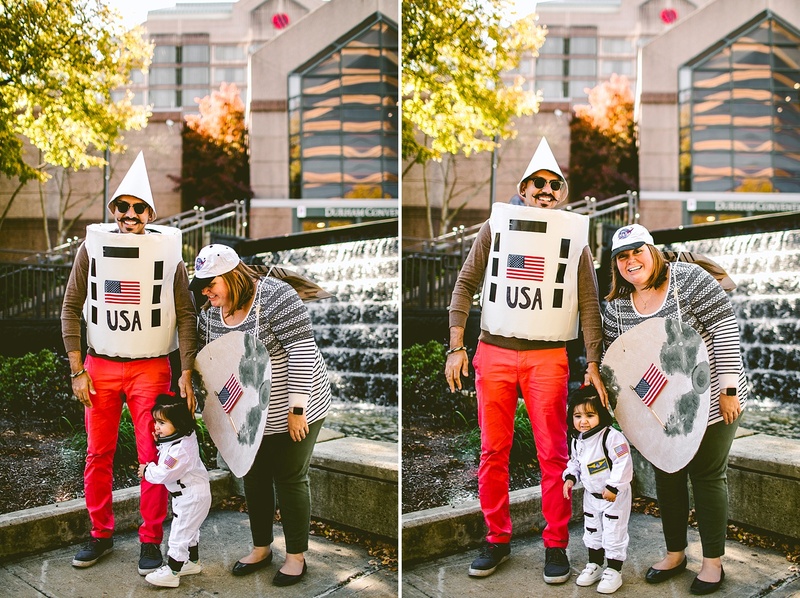 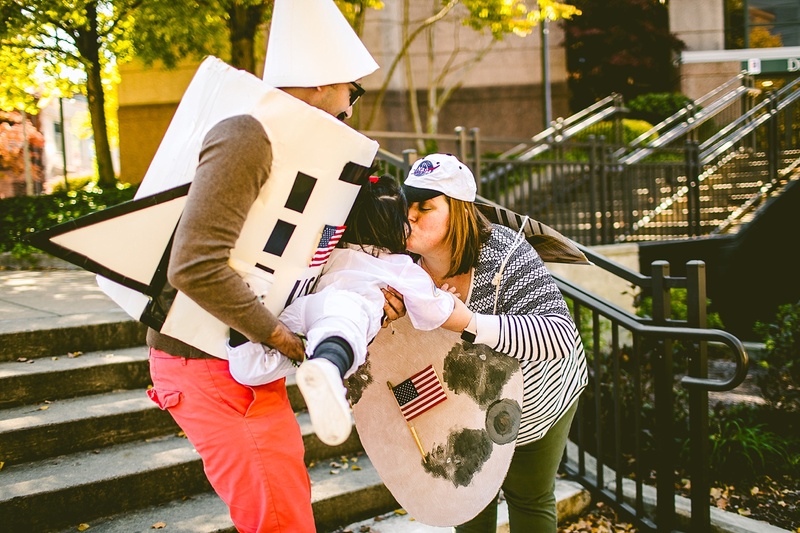 and I swear if Kunal doesn’t answer the door to their newborn session dressed as a rocket I will be so, so deeply disappointed. 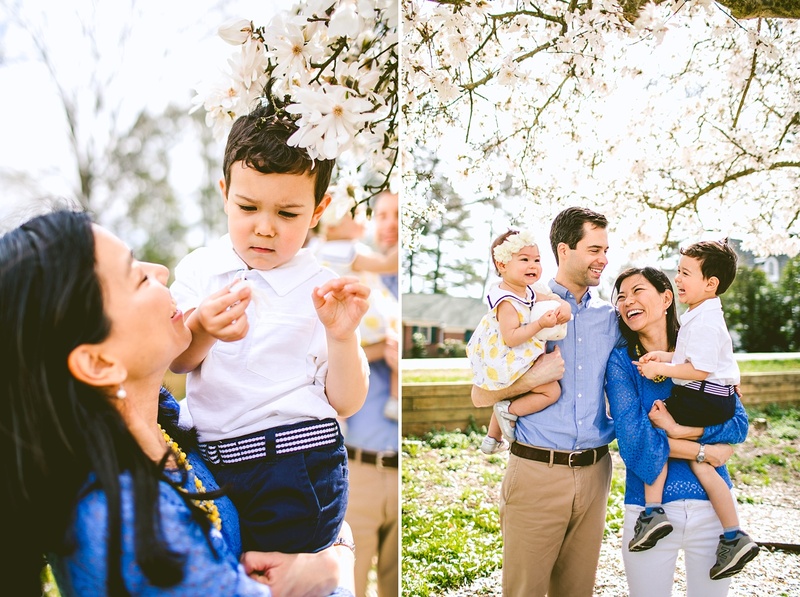 Love working with this family as always, and so excited to meet their new little one soon! 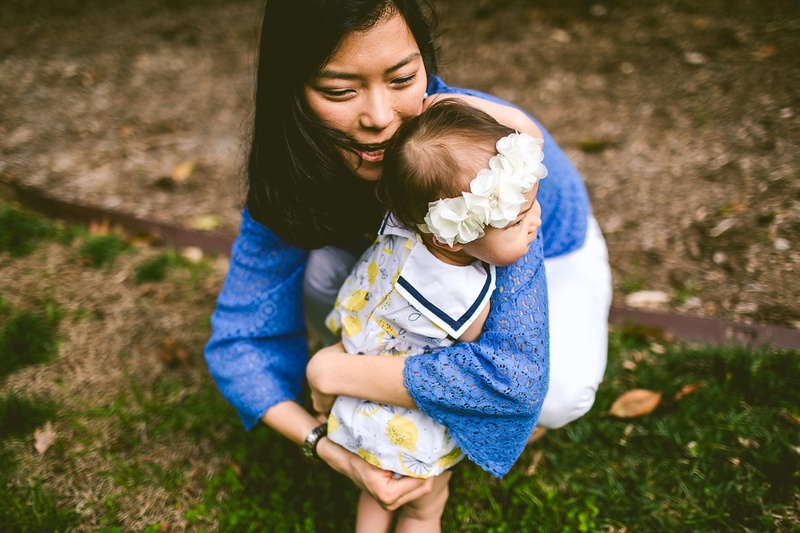 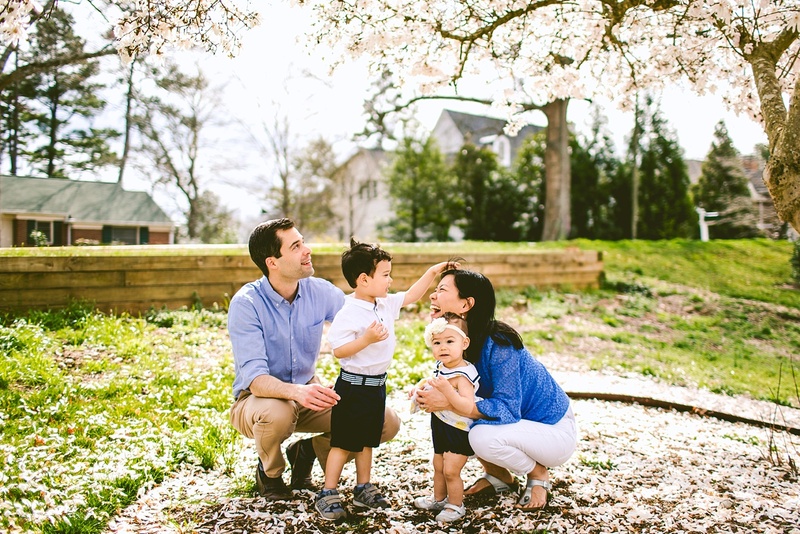 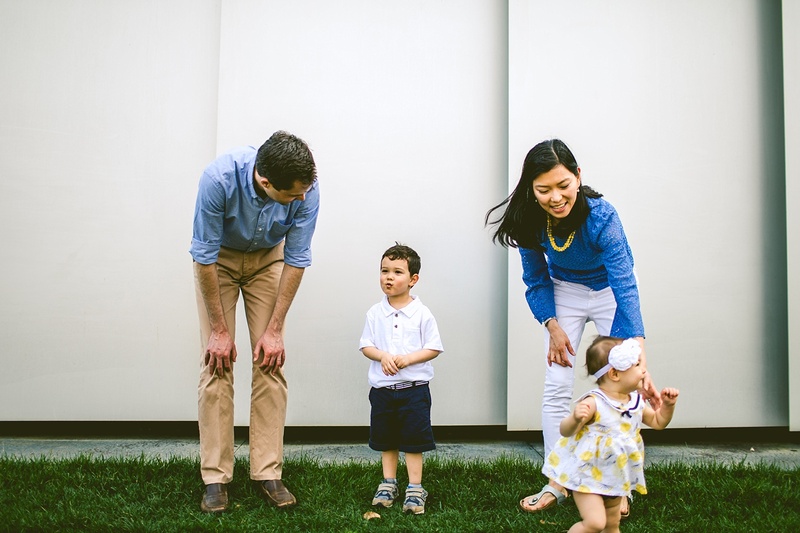 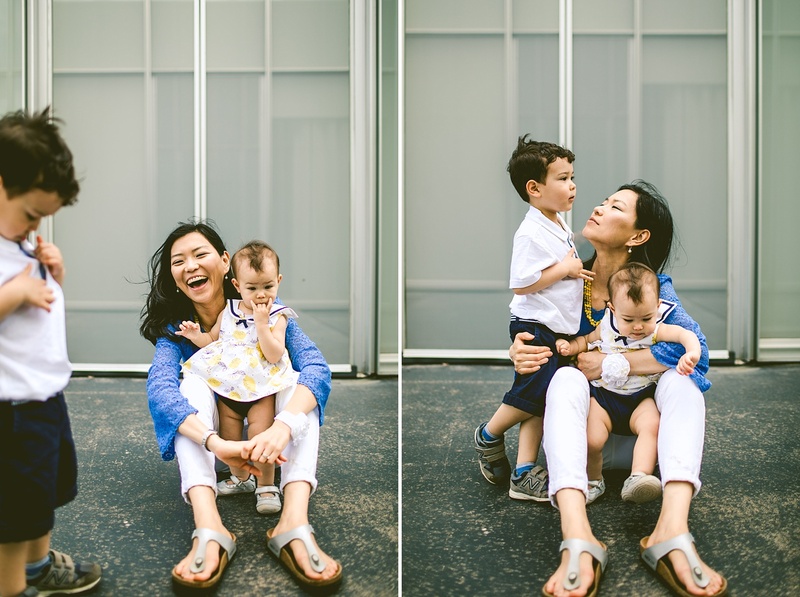 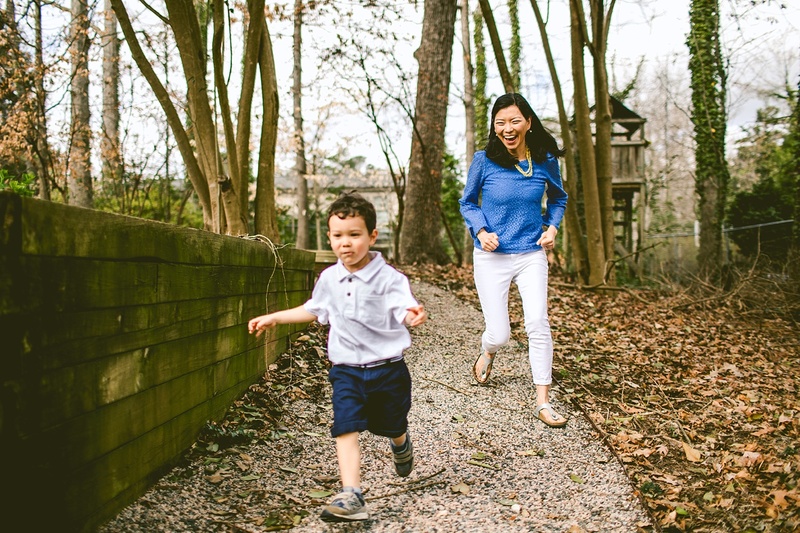 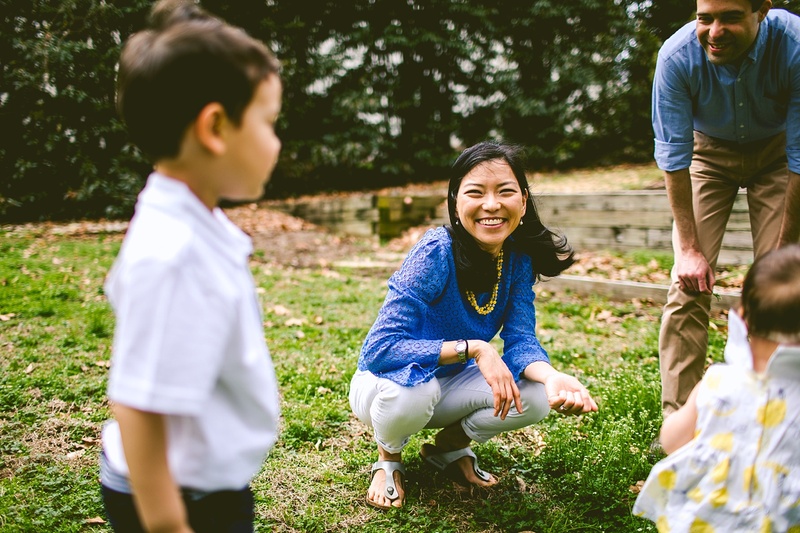 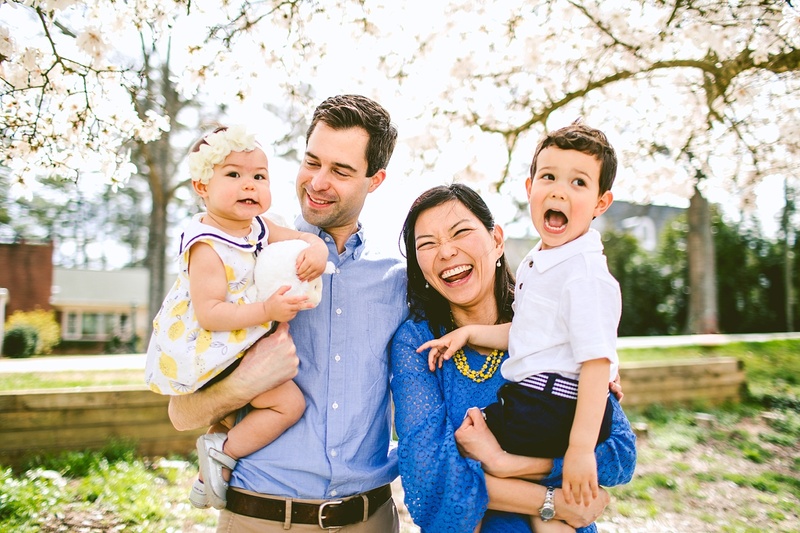 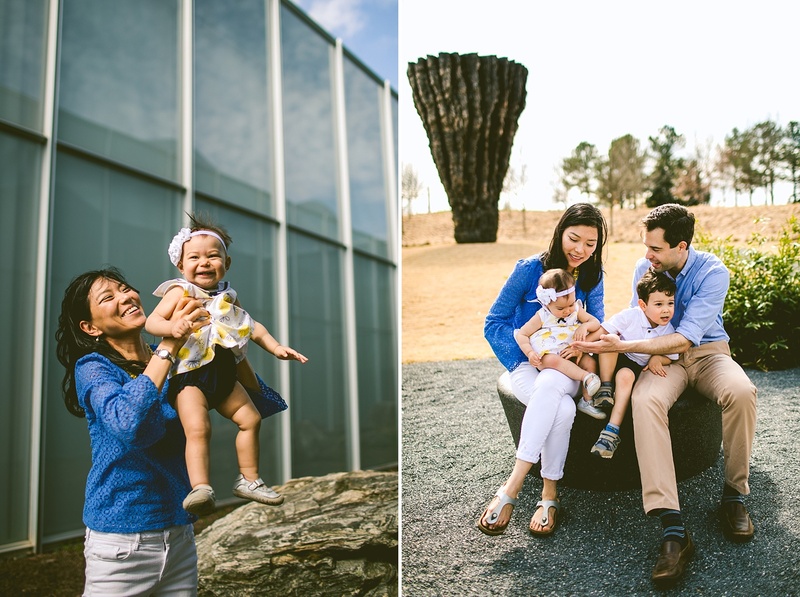 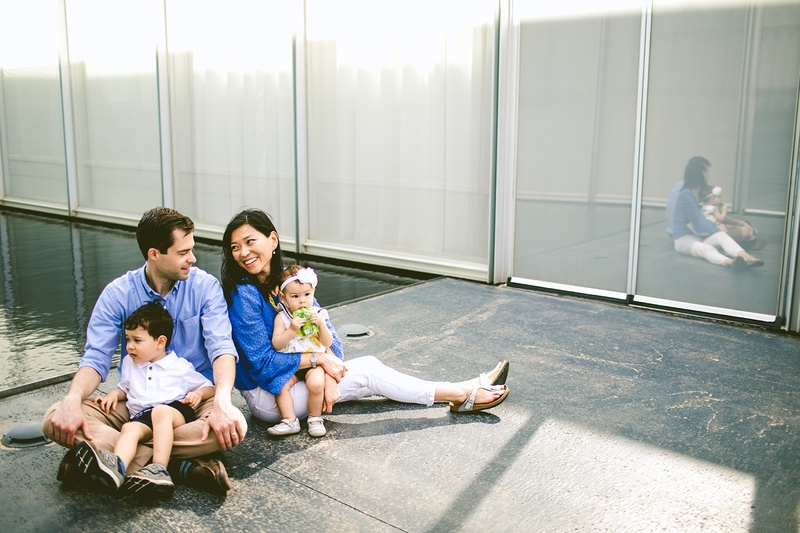 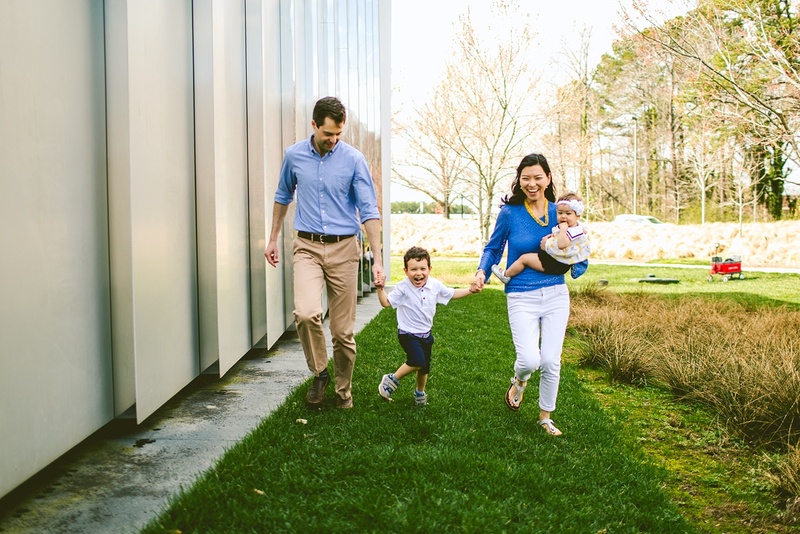 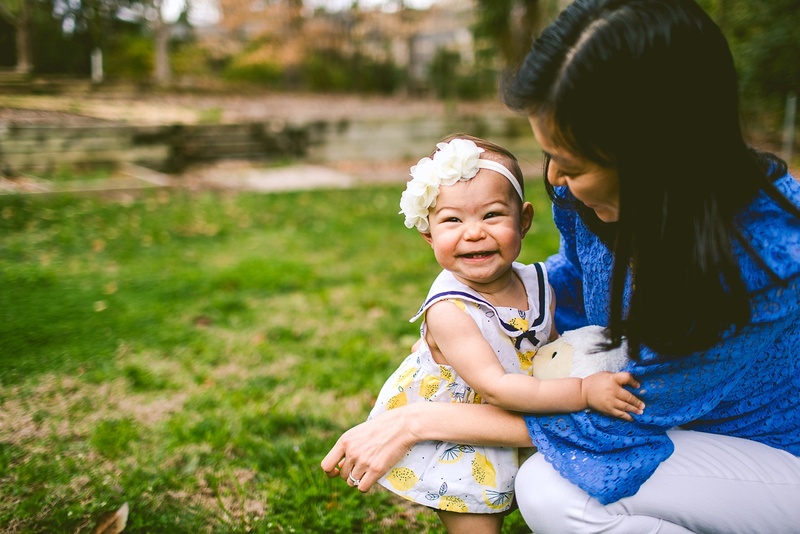 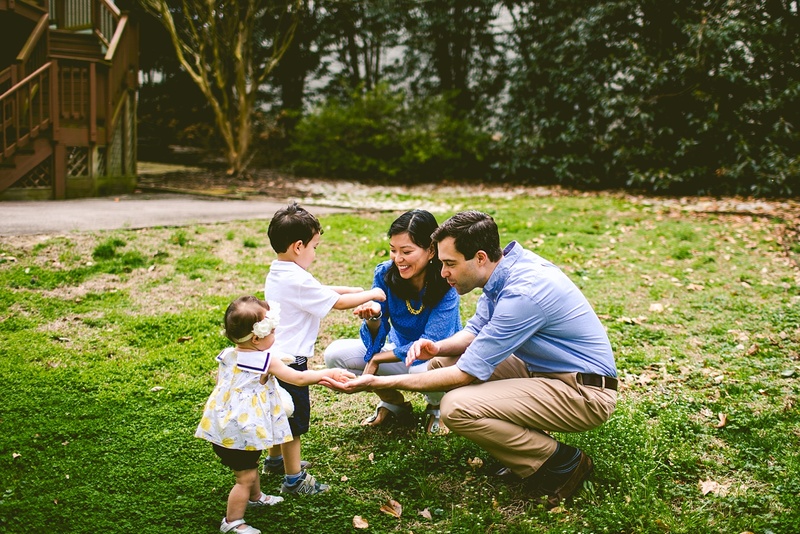 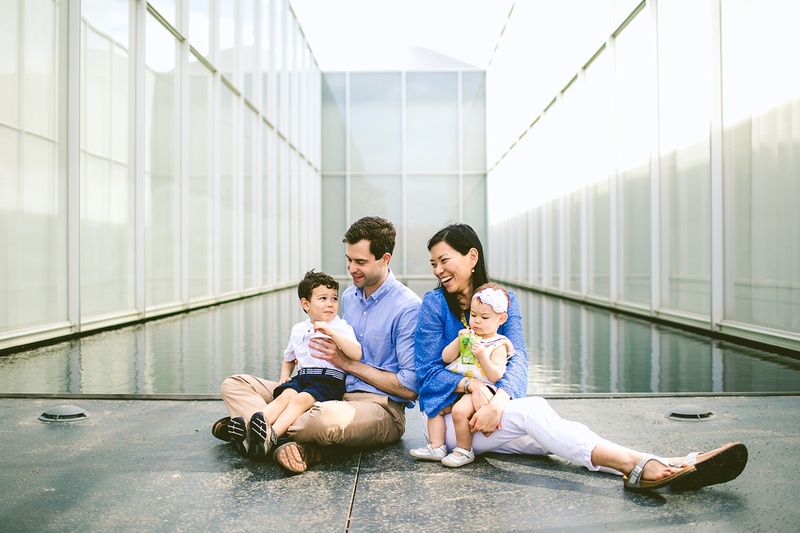 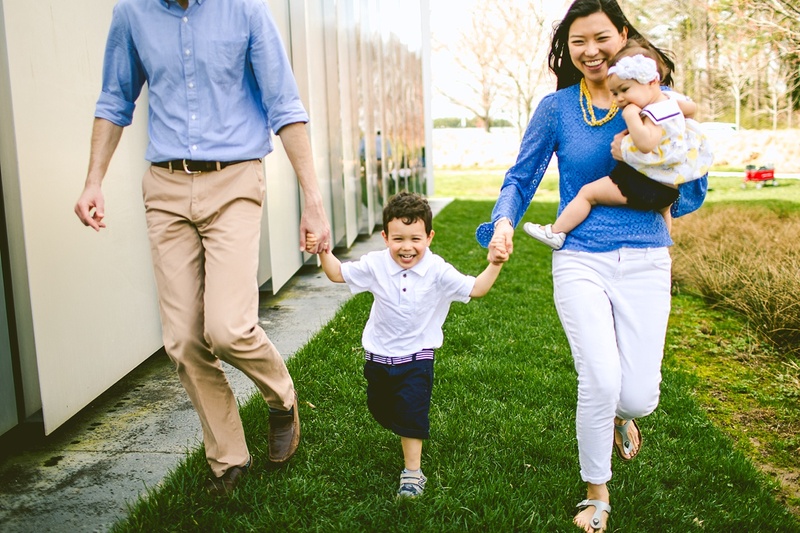 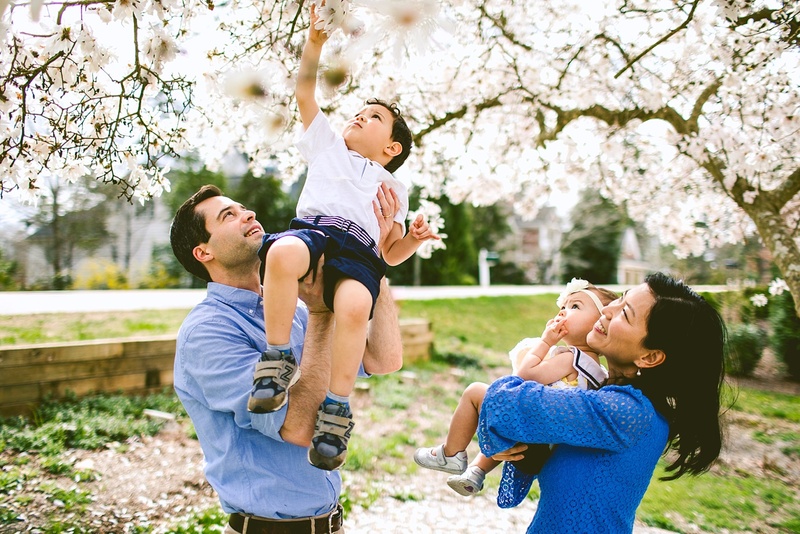 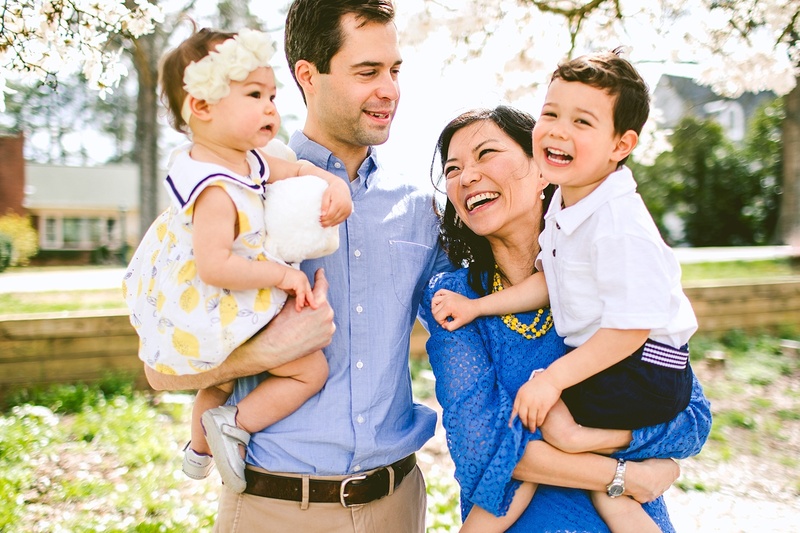 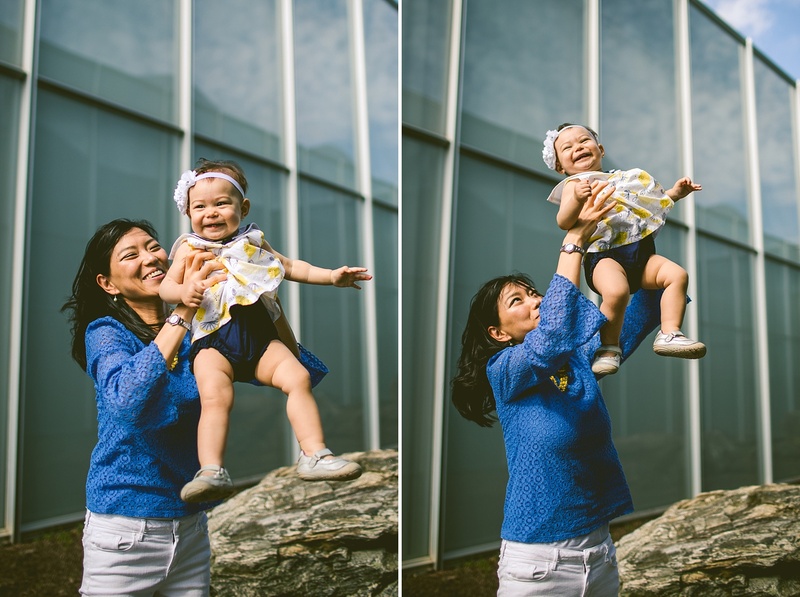 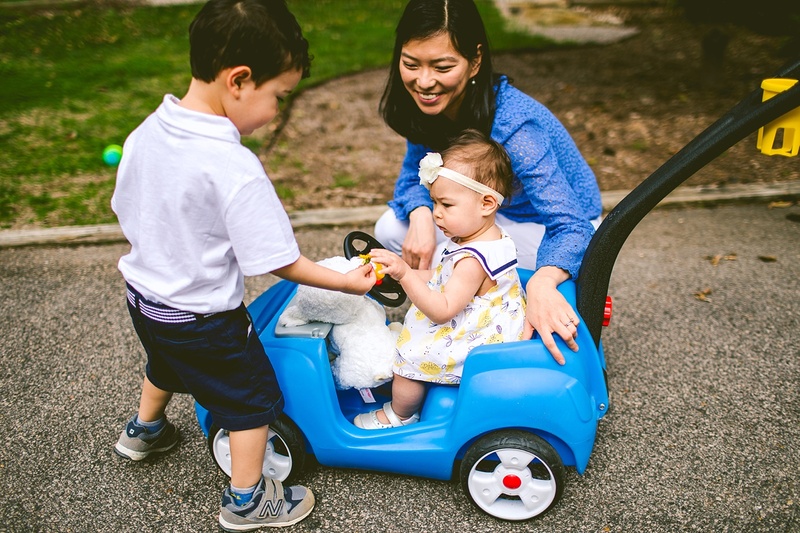 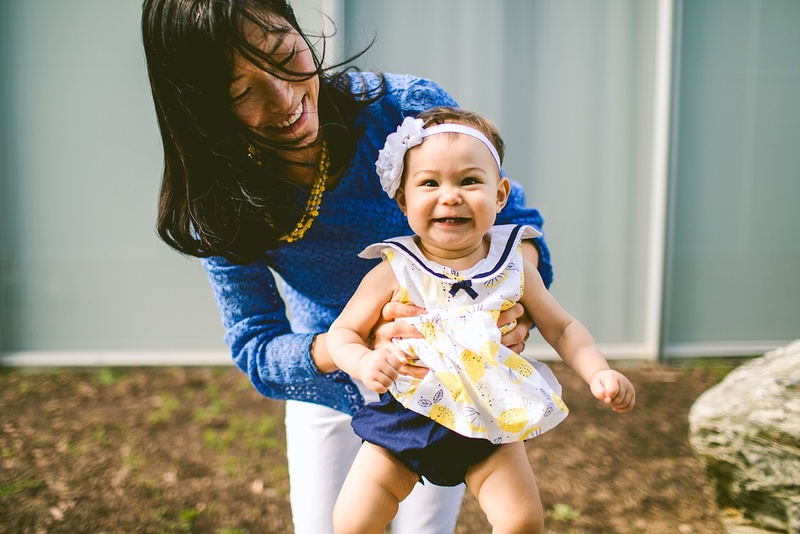 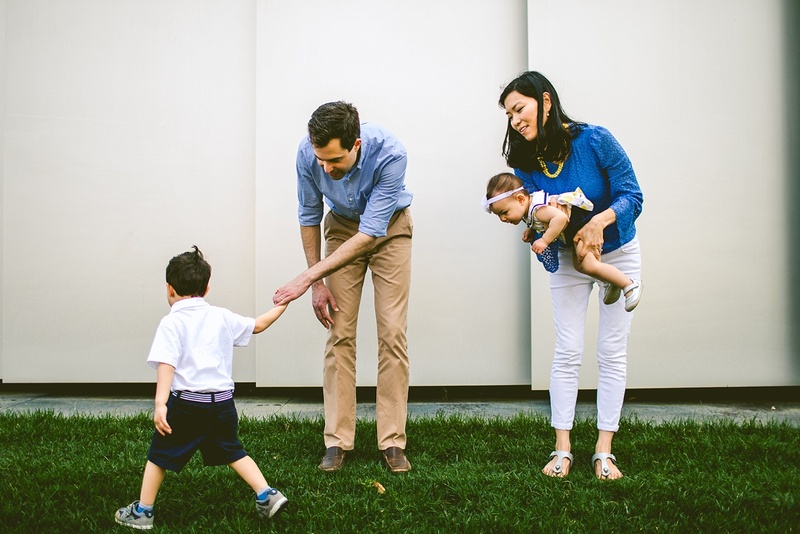 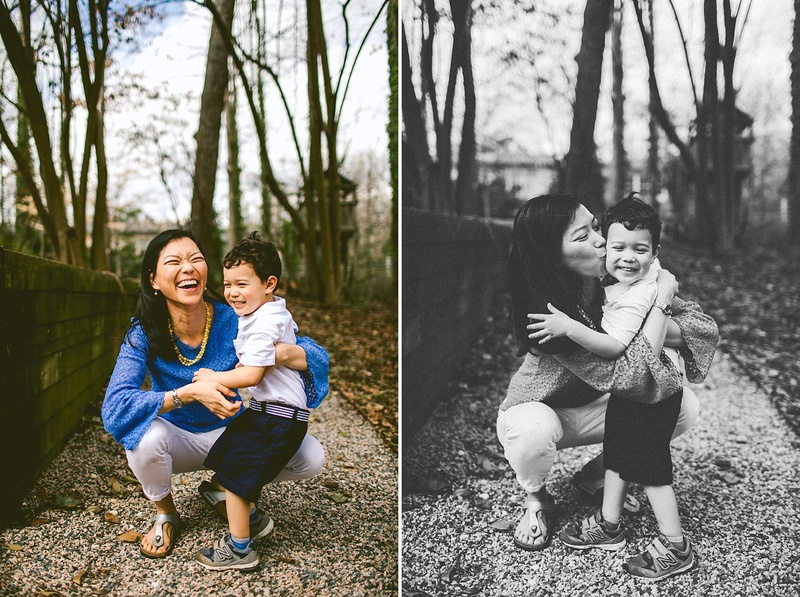 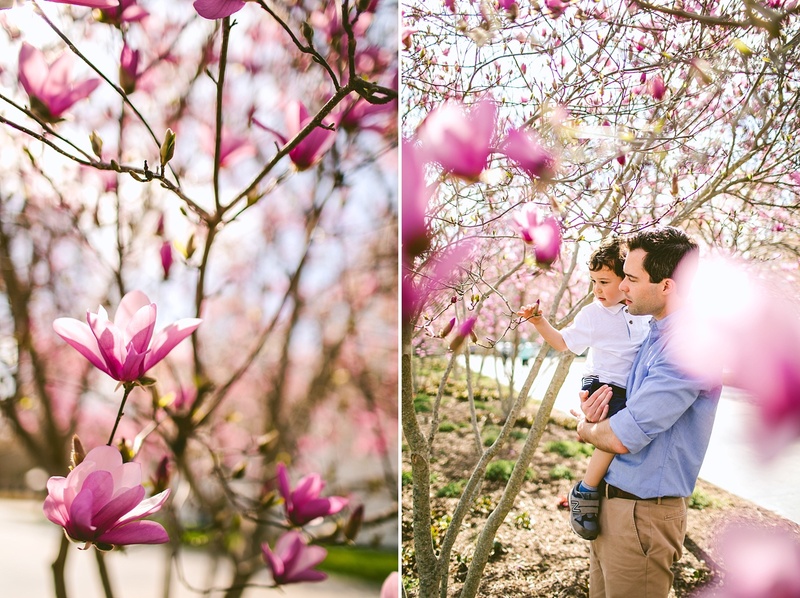 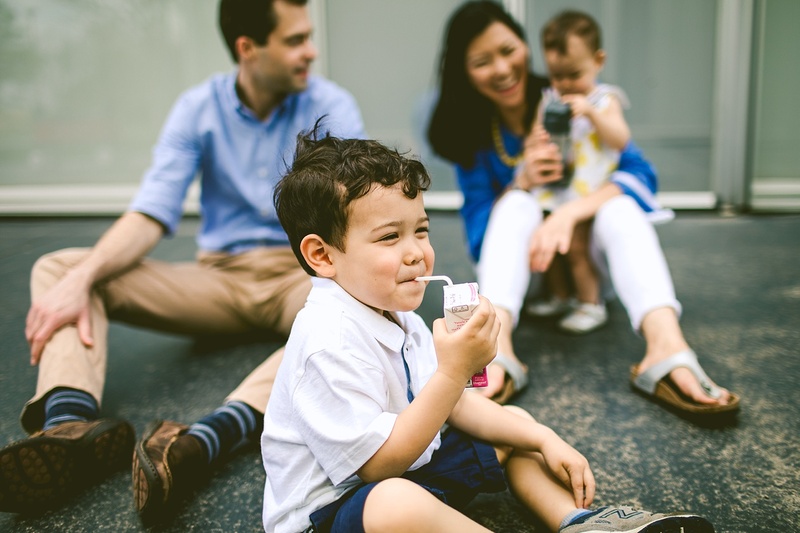 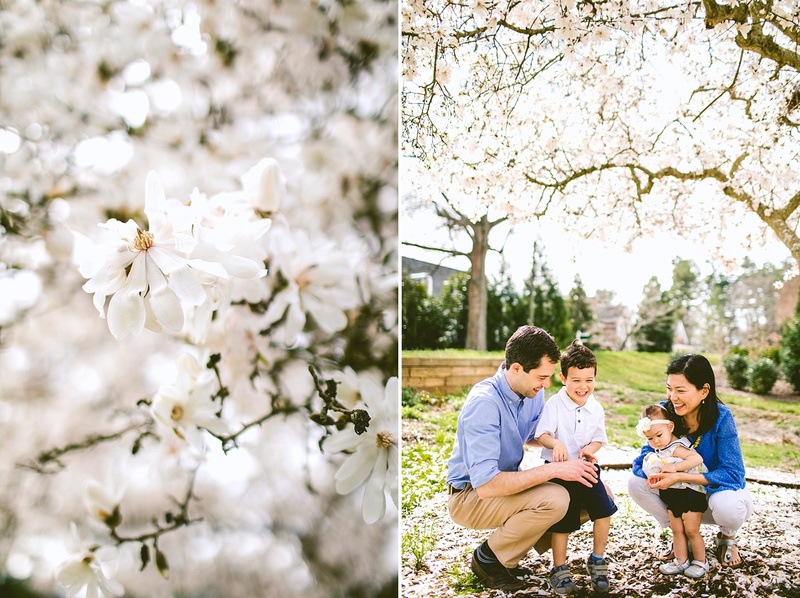 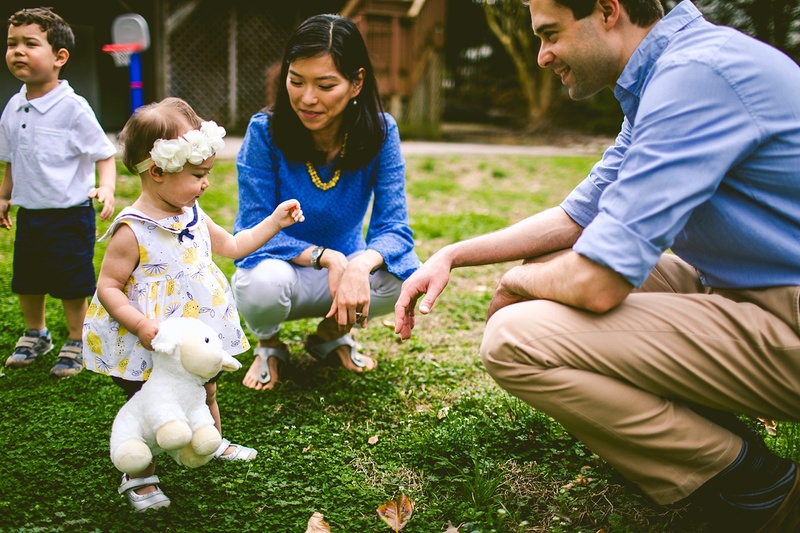 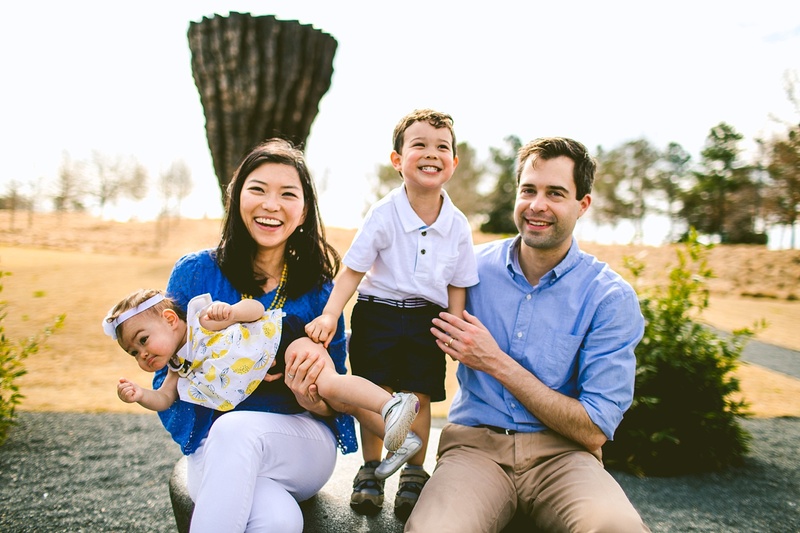 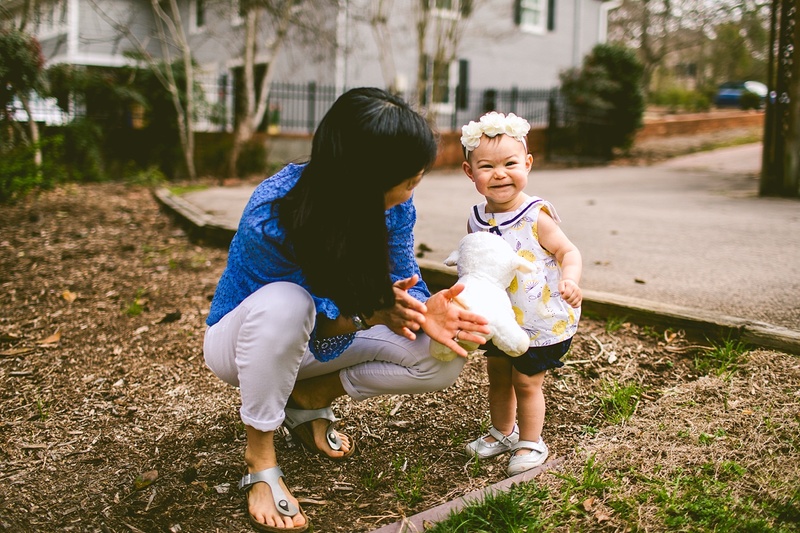 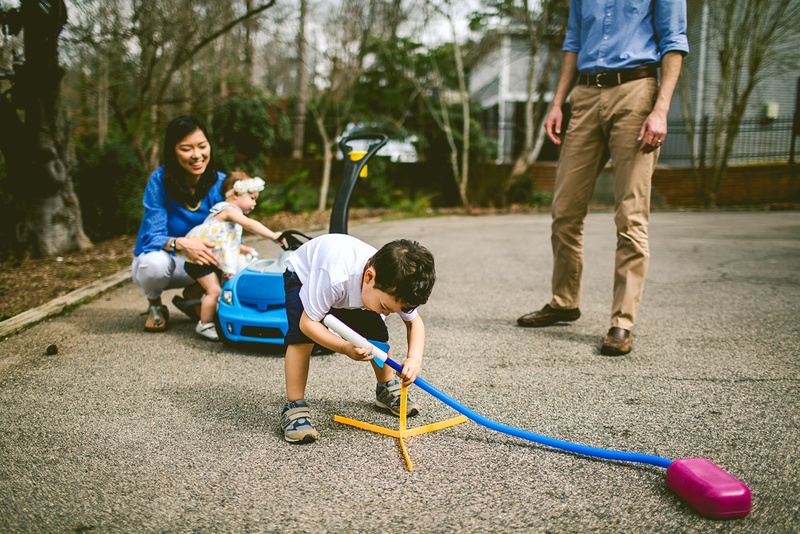 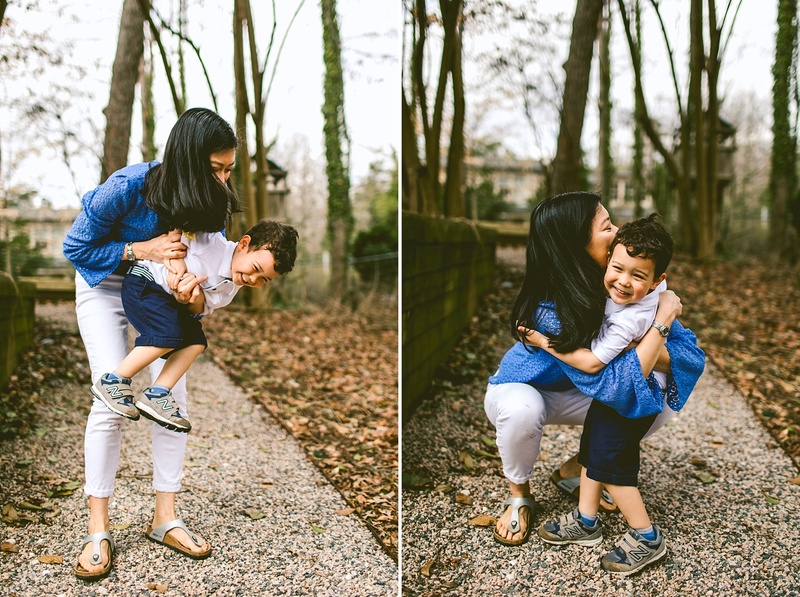 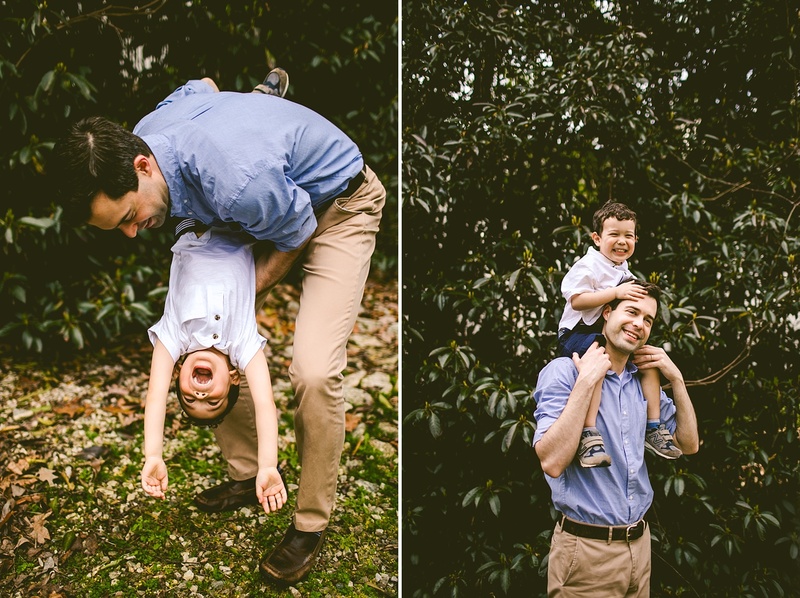 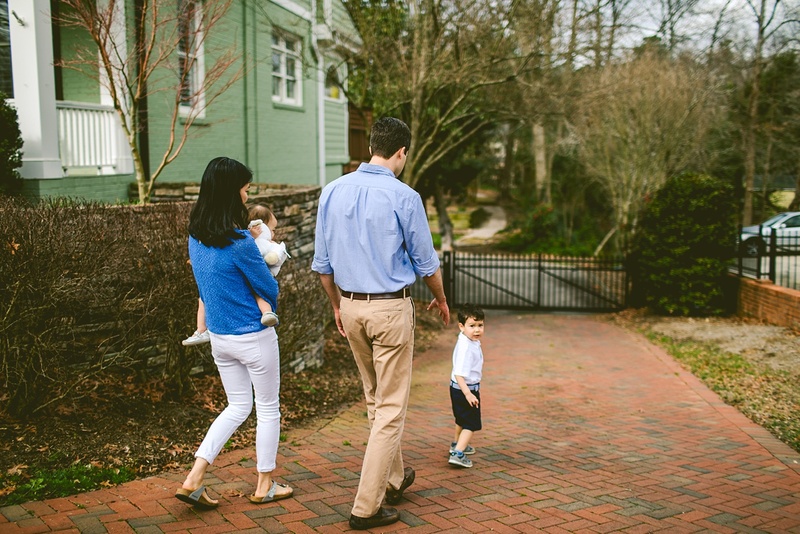 In 2012 we photographed a lovely wedding at Duke Chapel of an even more lovely couple named Eun and Matt, and now we’ve reunited to photograph their family! 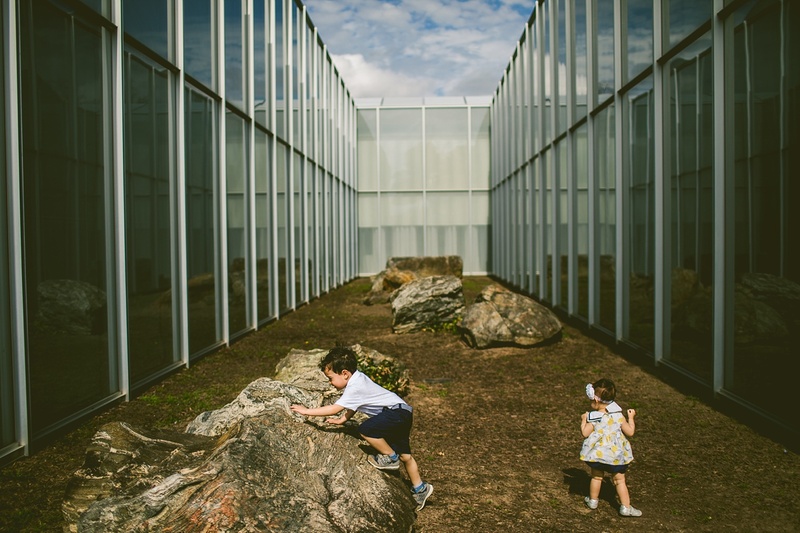 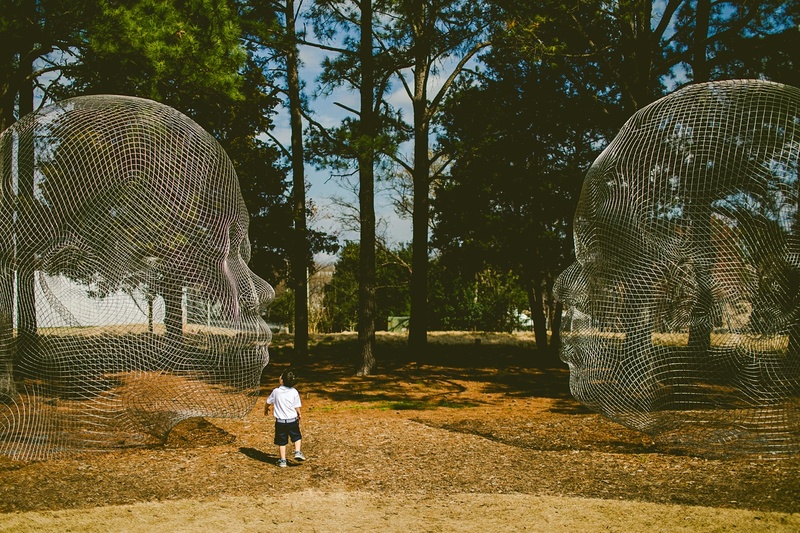 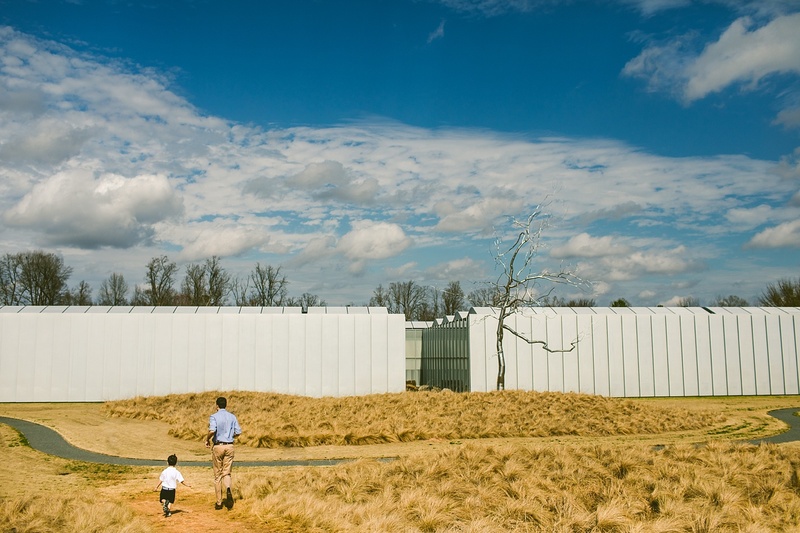 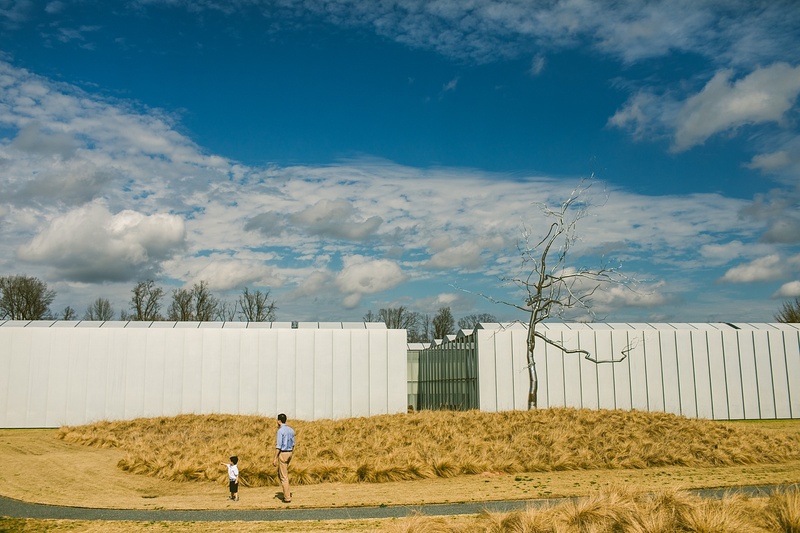 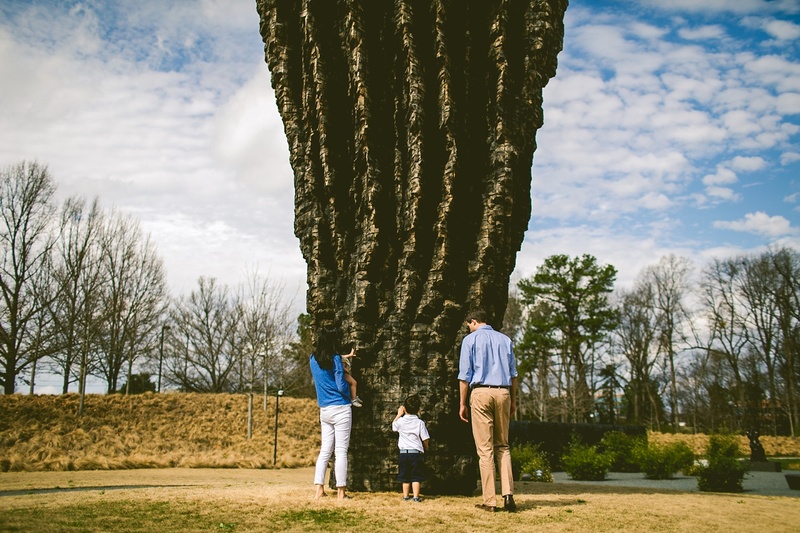 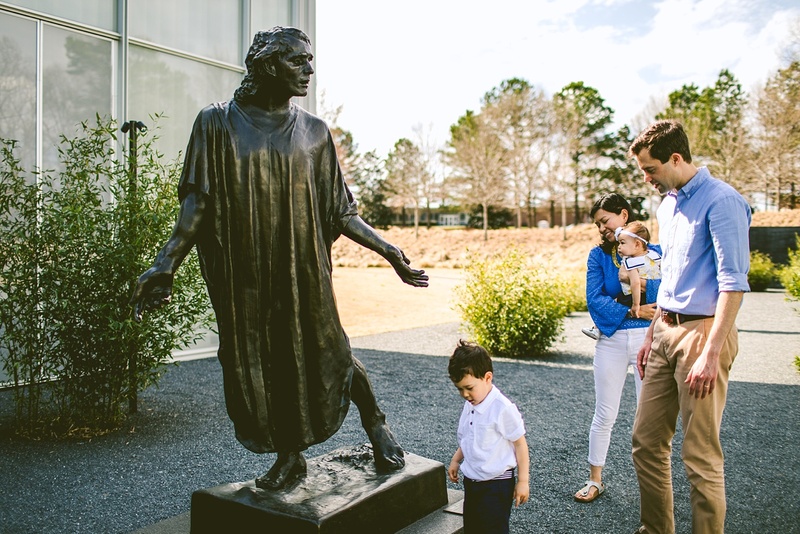 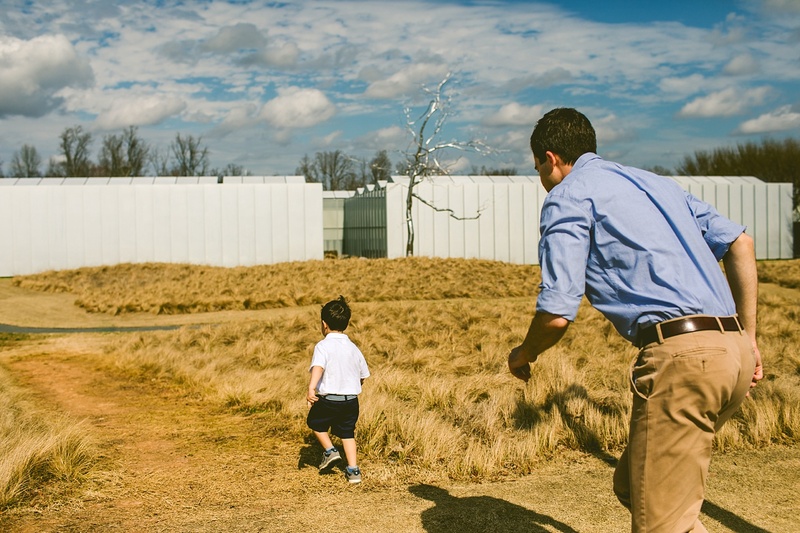 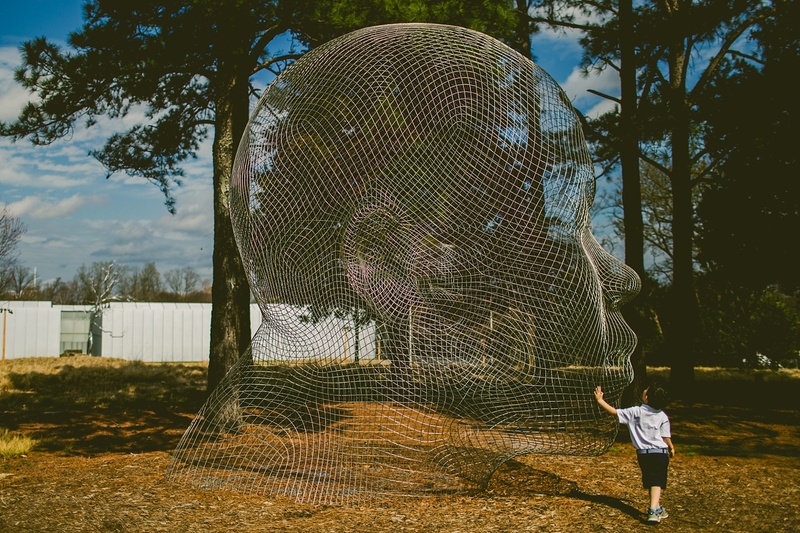 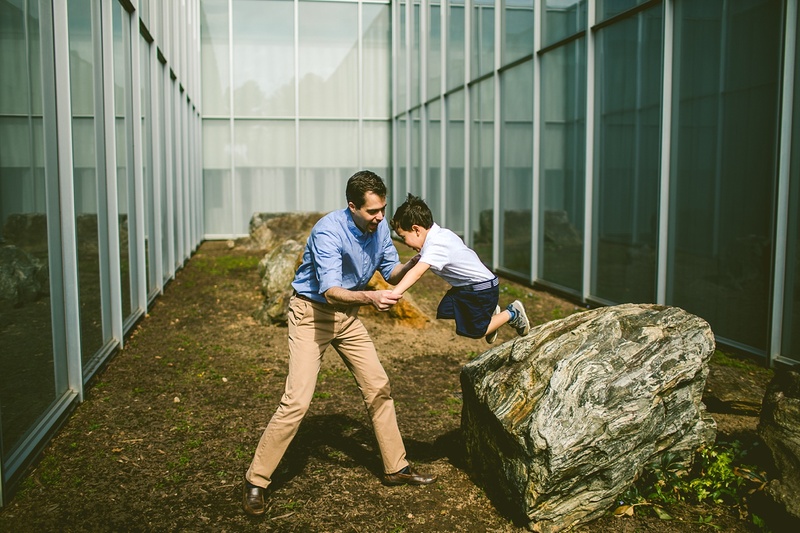 We got to meet their incredible kiddos Evan and Madeleine, and we played around their backyard and then spent some time at the NCMA. 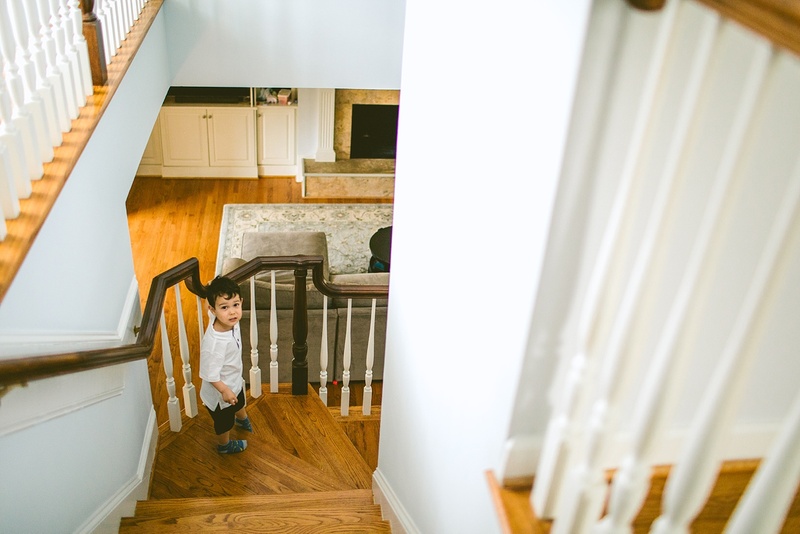 When we got to their house, Evan walked us around and gave us a detailed tour. 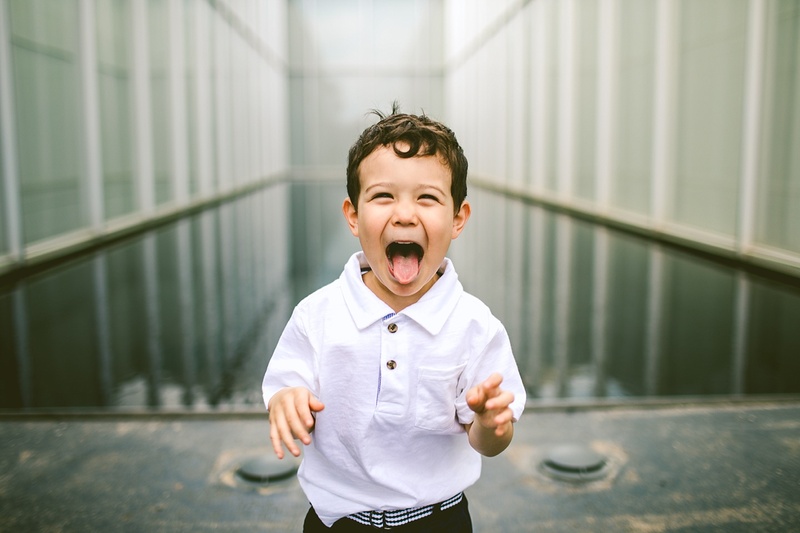 This included him telling us that it was impossible for him to accidentally go down the drain while taking a bath because he’s too big, but that bacteria and germs and other things in baths CAN go down the drain, but you can only see those under a microscope (where you can also see allergies). 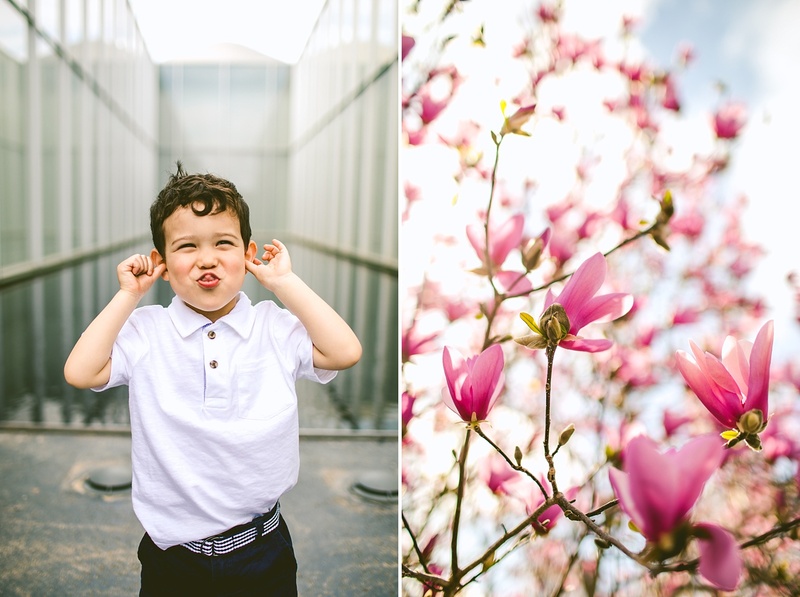 He also told us all about how washers and dryers work, except his instructions included filling the washing machine with milk to make the clothes clean (he quickly backpedaled on this information). 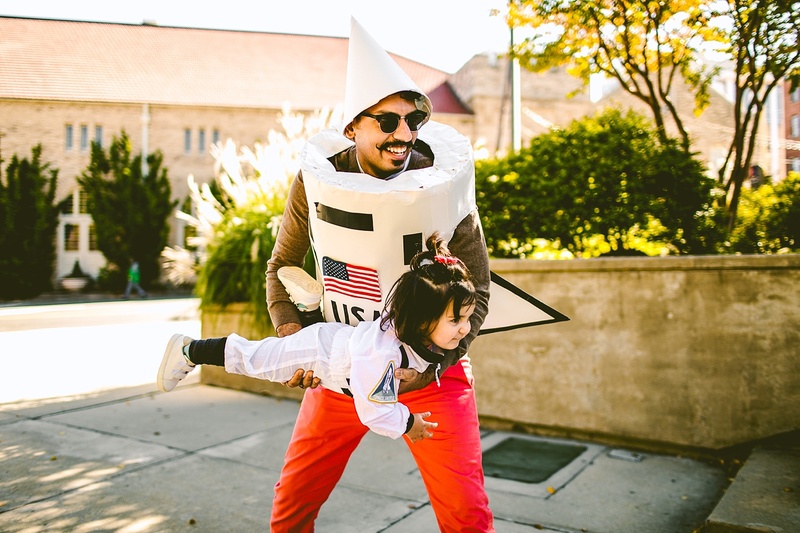 Interests also include rockets, spiders, singing songs from the movie Cars, picking and identifying spiders, and his new striped belt. 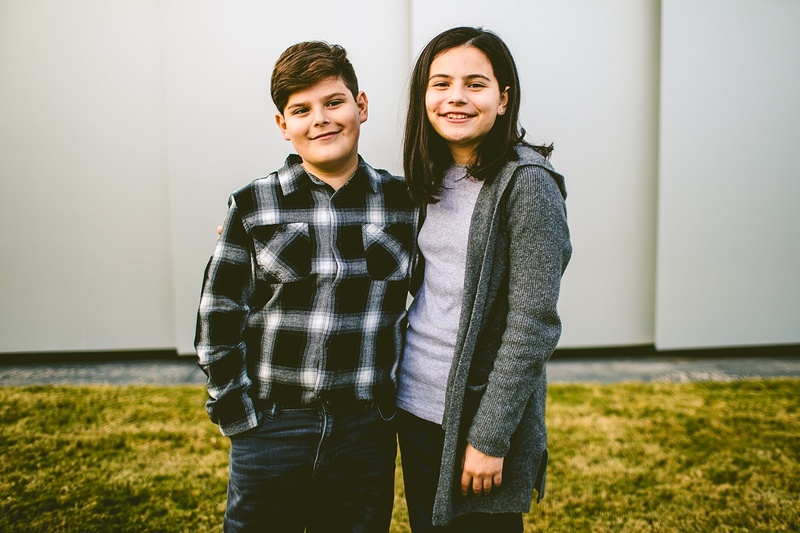 He also adores his little sister Madeleine. 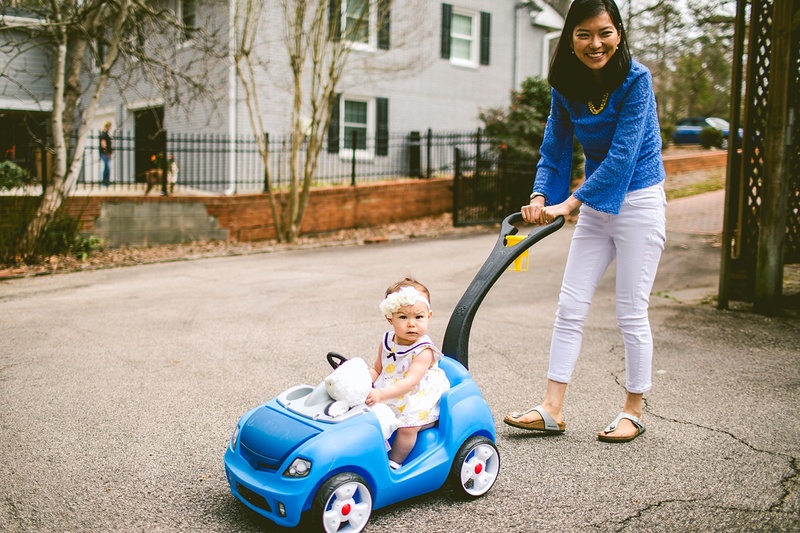 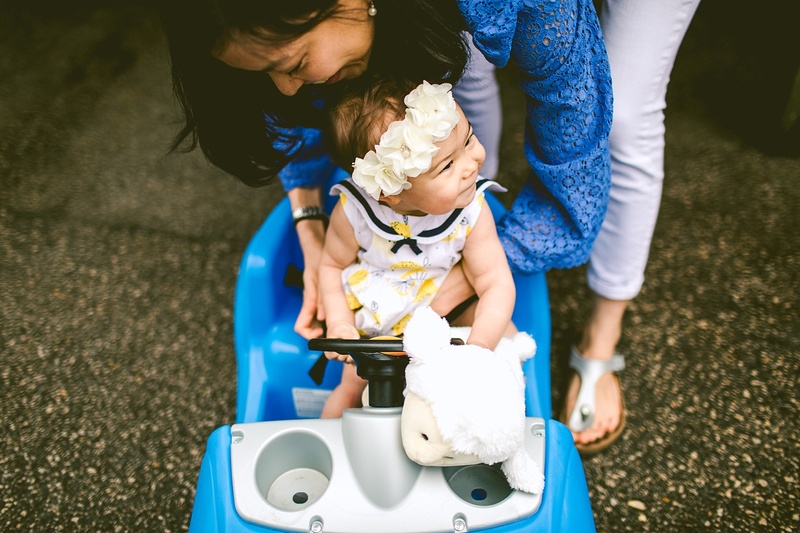 Madeleine just turned one, and her interests include her stuffed sheep, apple juice, applesauce, and getting pushed around in a blue plastic car. 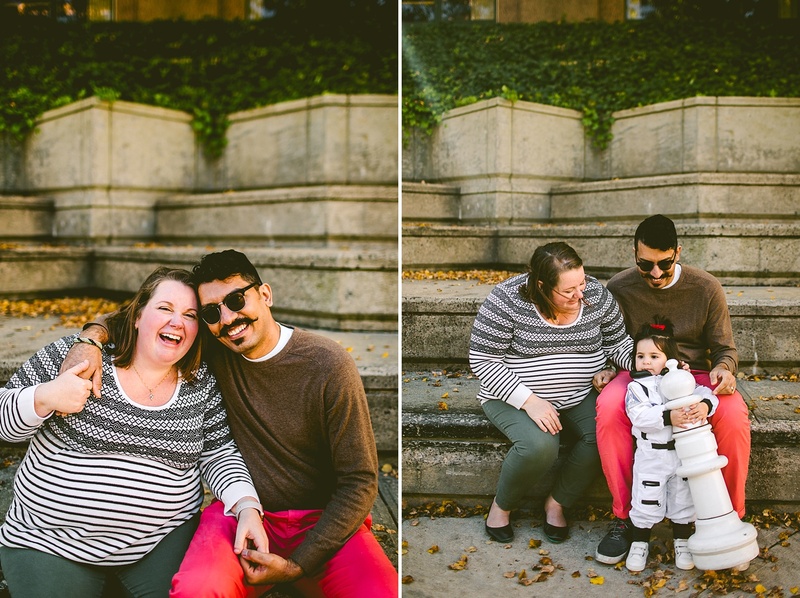 They are both pretty great, as are their awesome parents whom we adore! 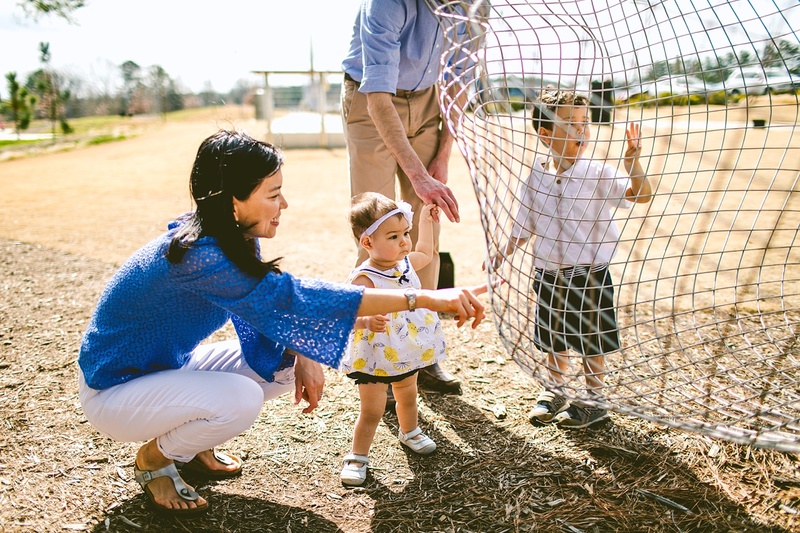 It was so nice to see them again and meet their great kids – love seeing our couples again! 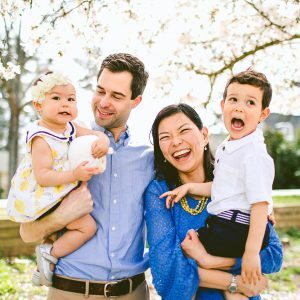 Thank you, Eun+Matt!